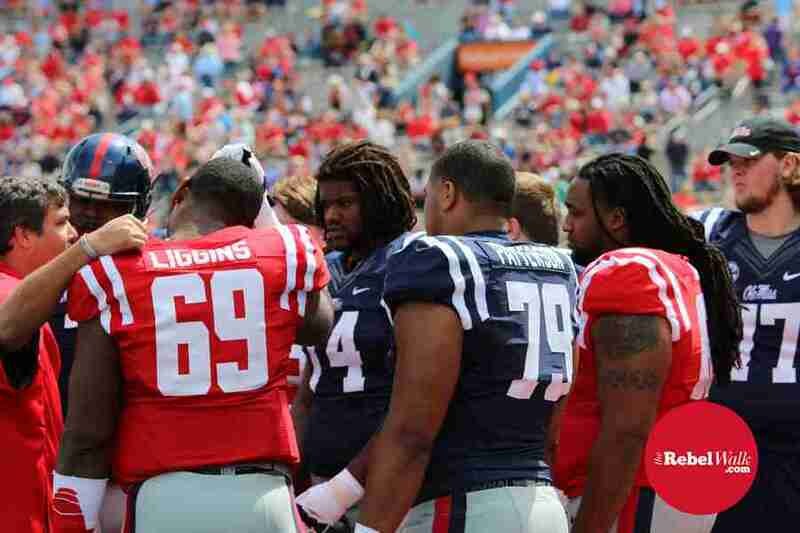 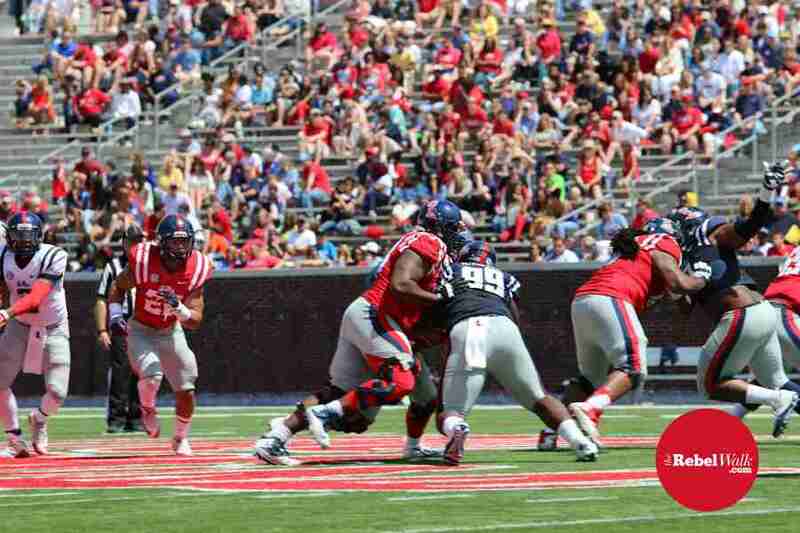 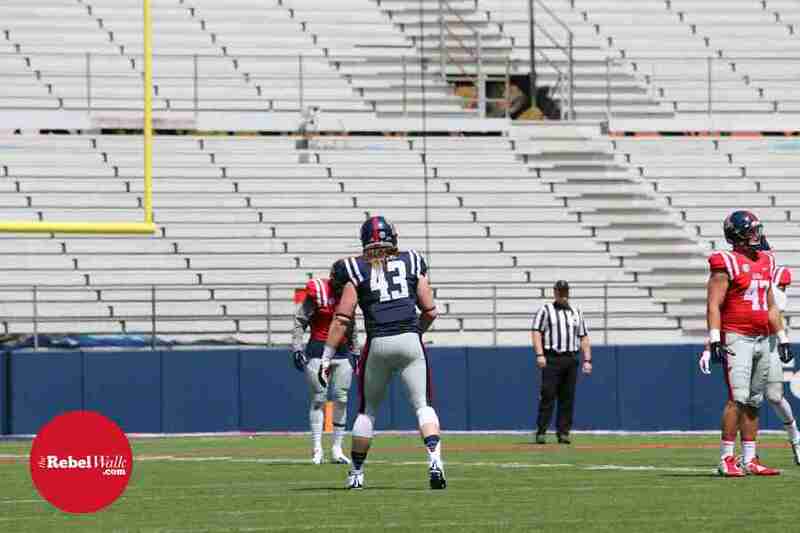 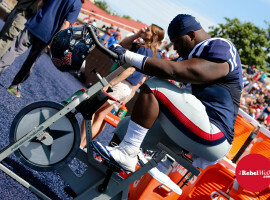 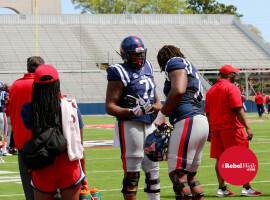 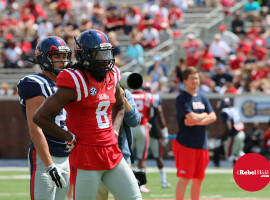 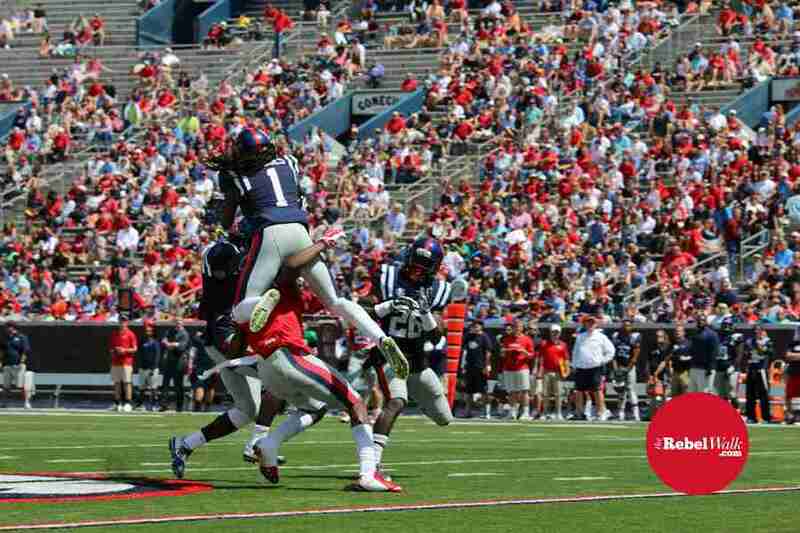 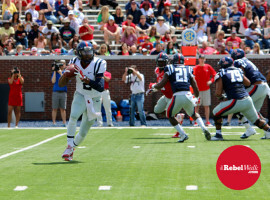 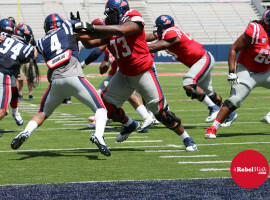 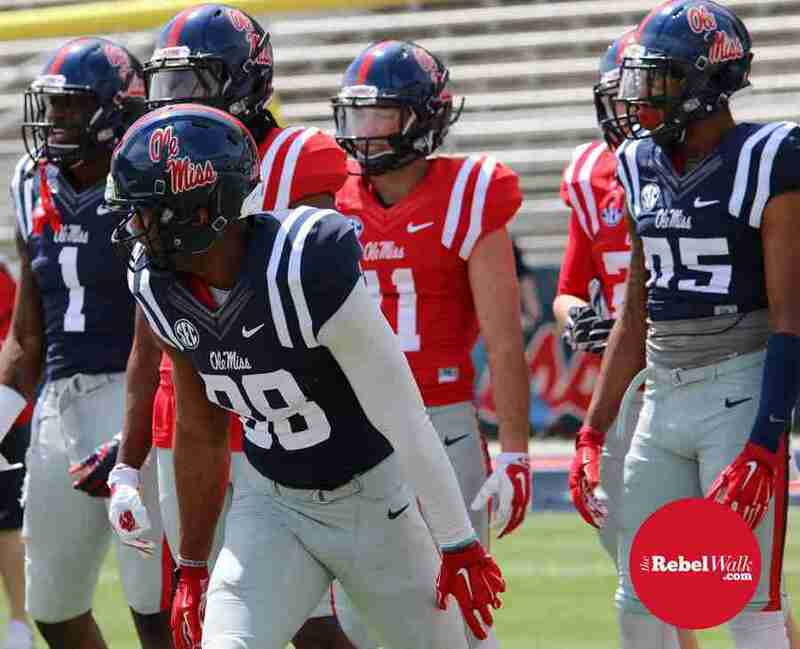 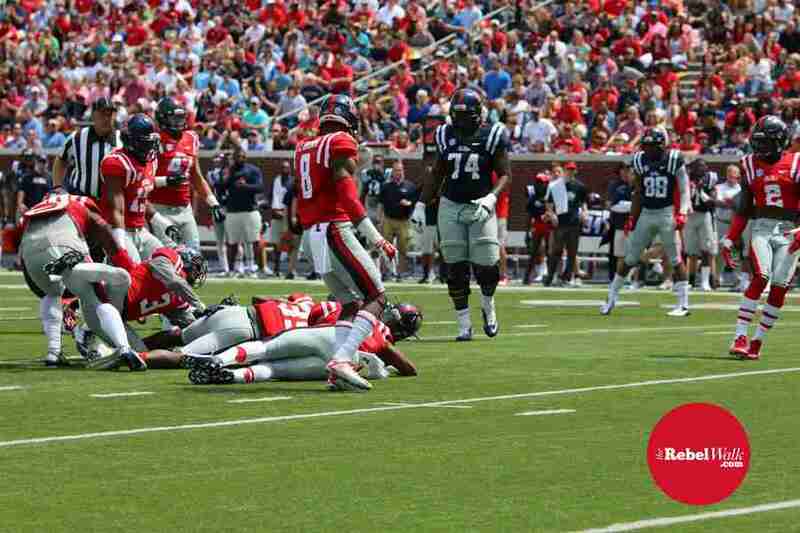 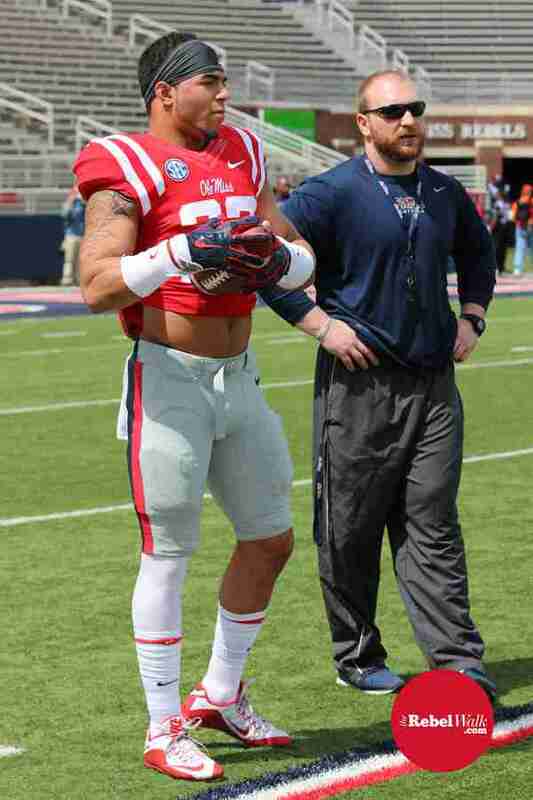 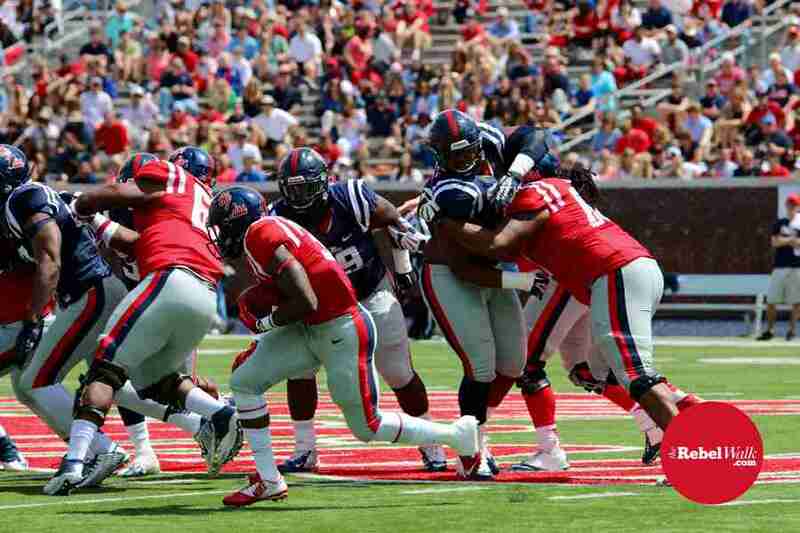 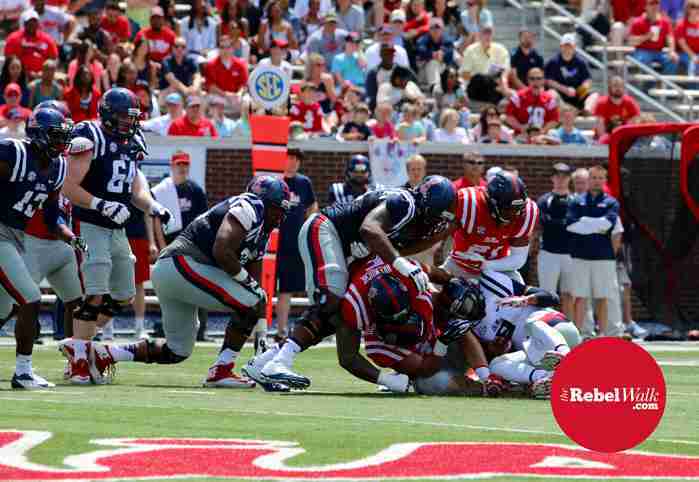 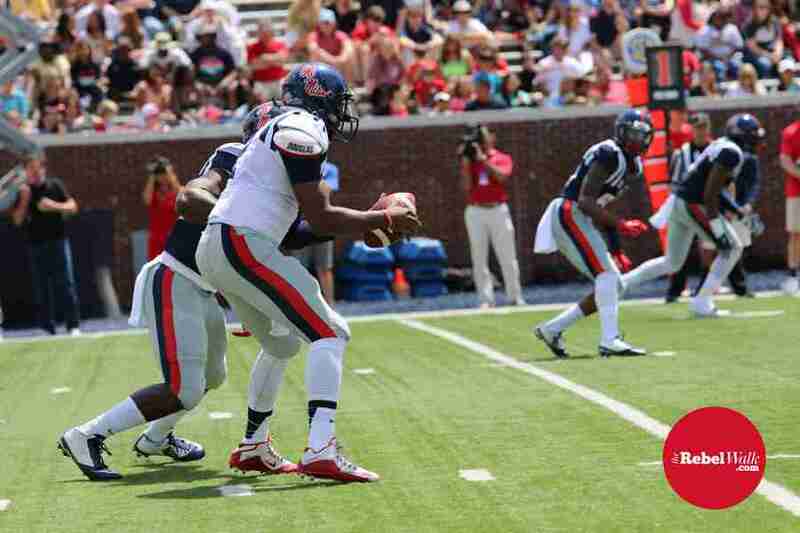 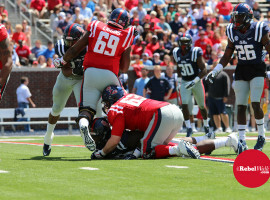 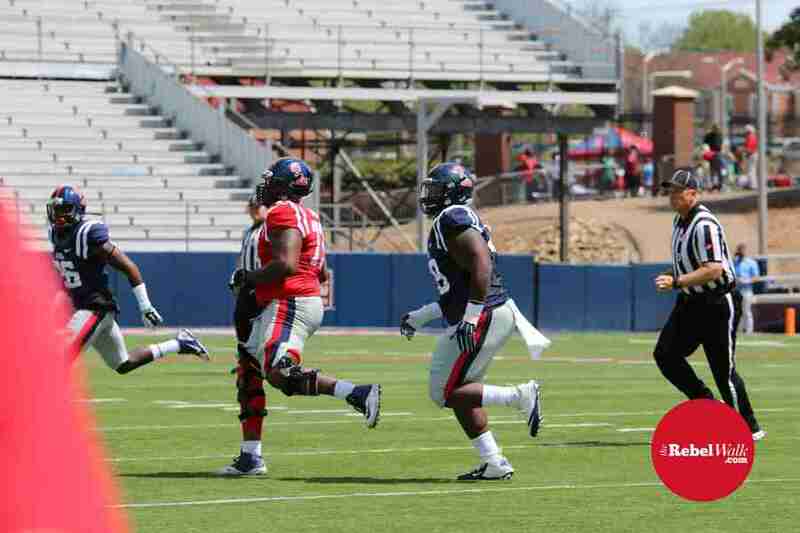 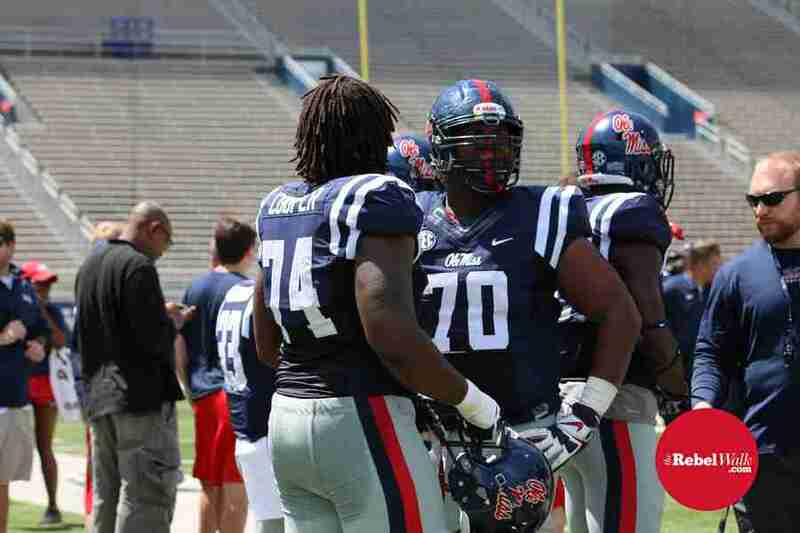 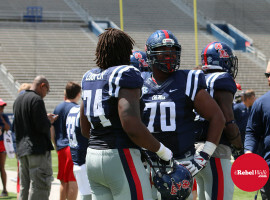 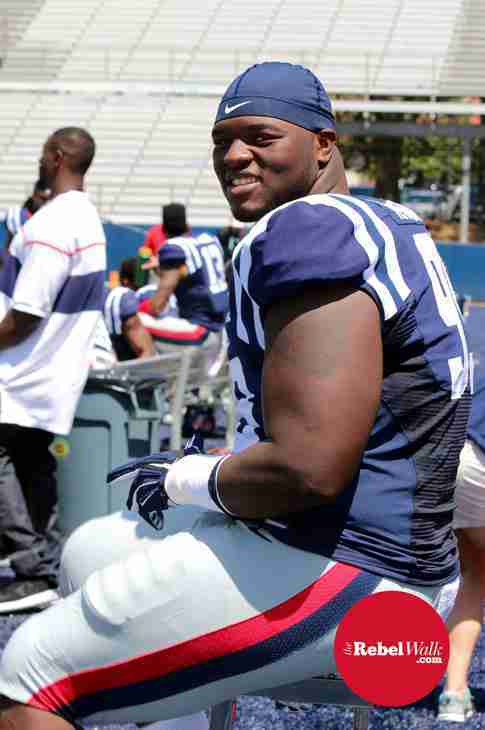 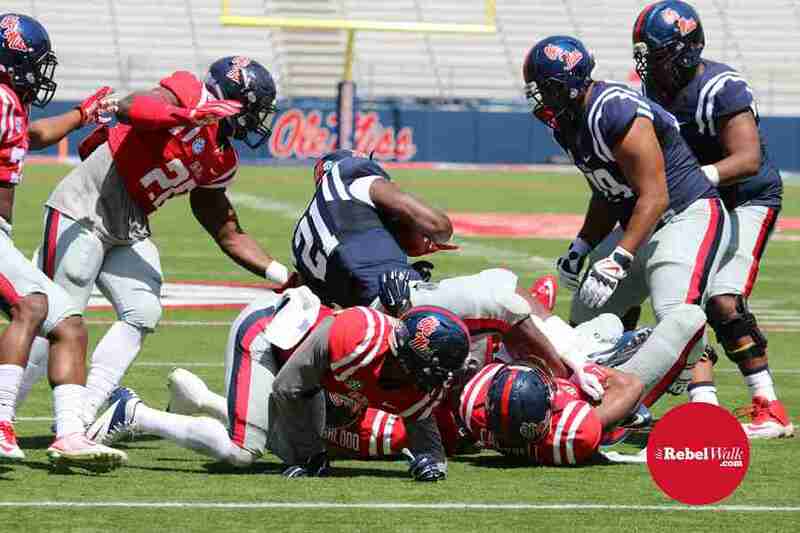 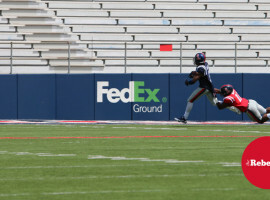 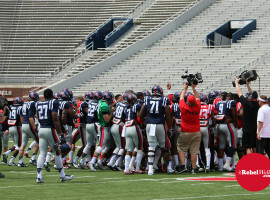 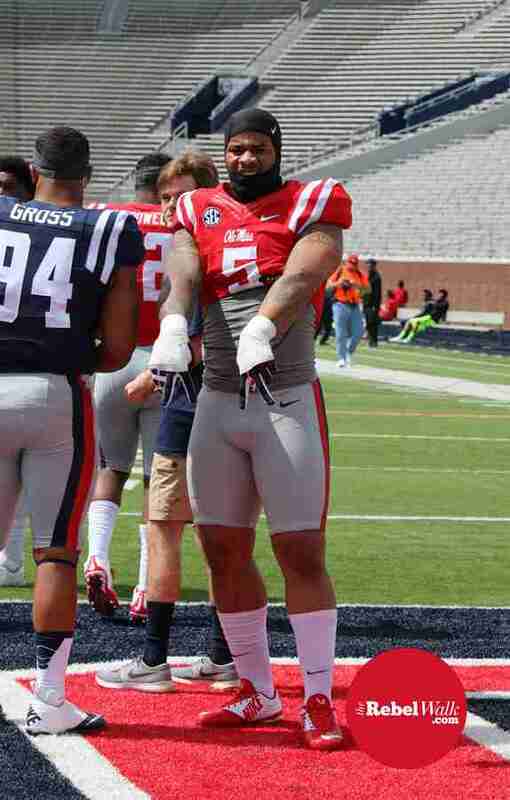 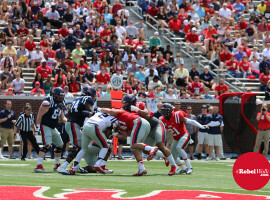 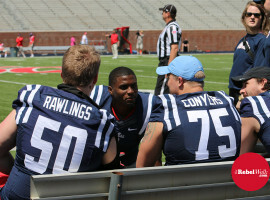 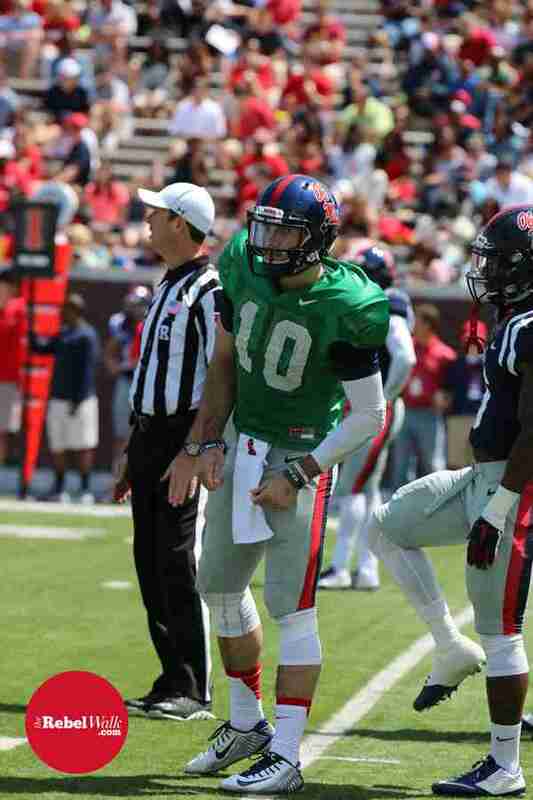 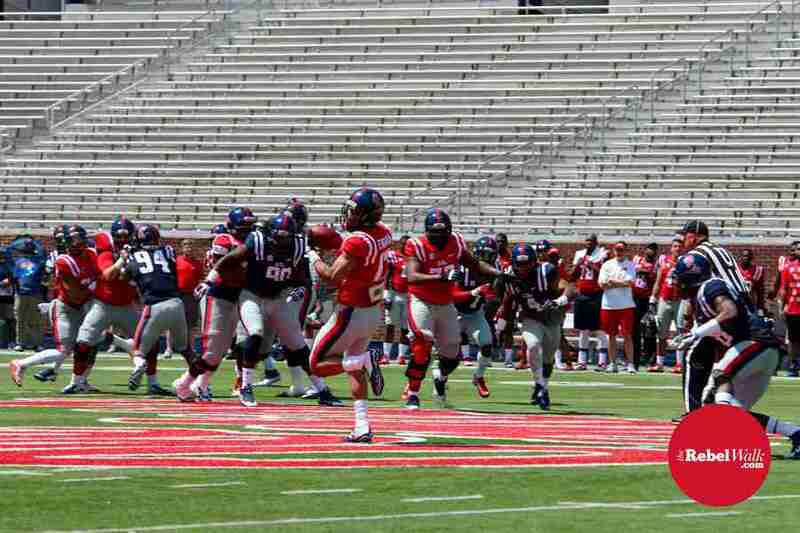 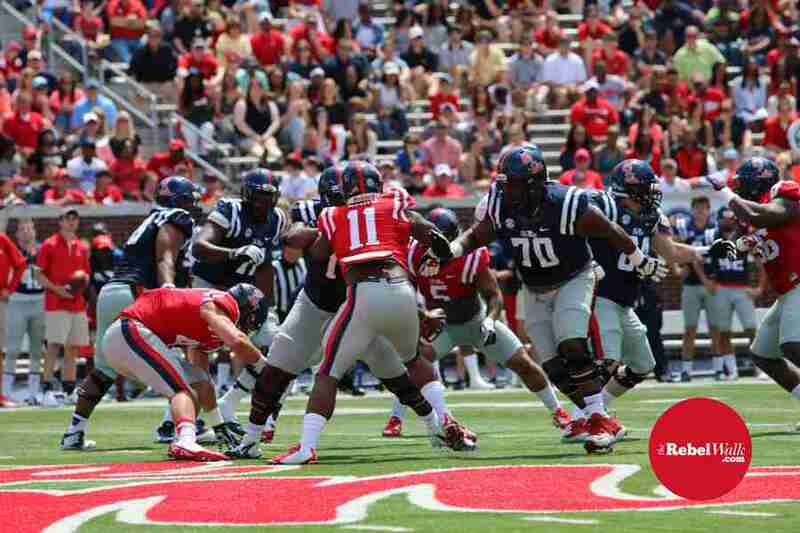 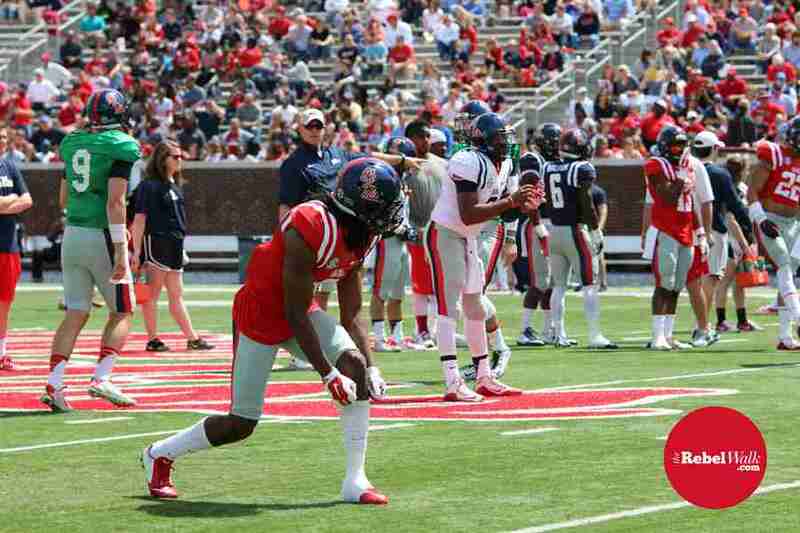 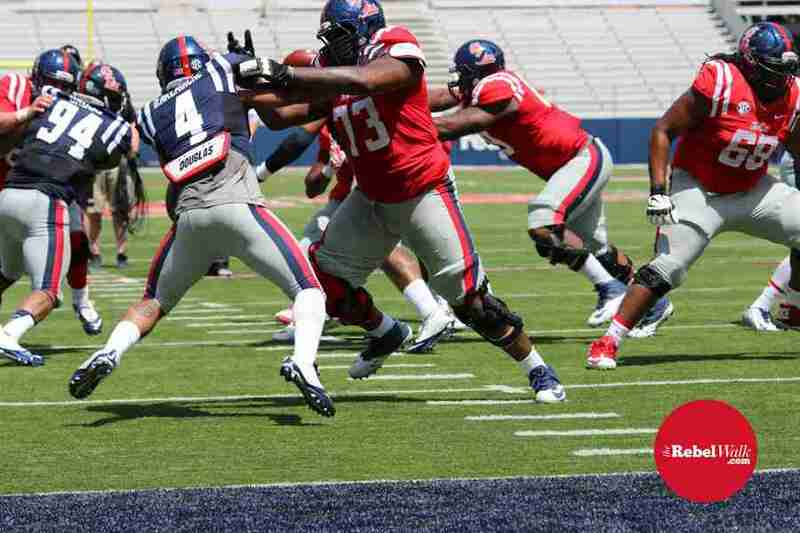 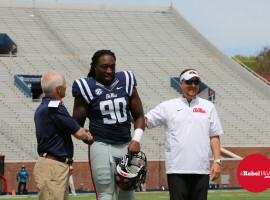 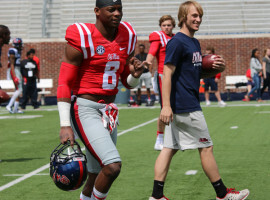 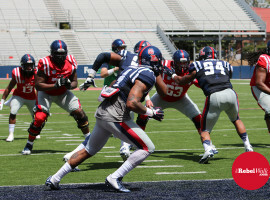 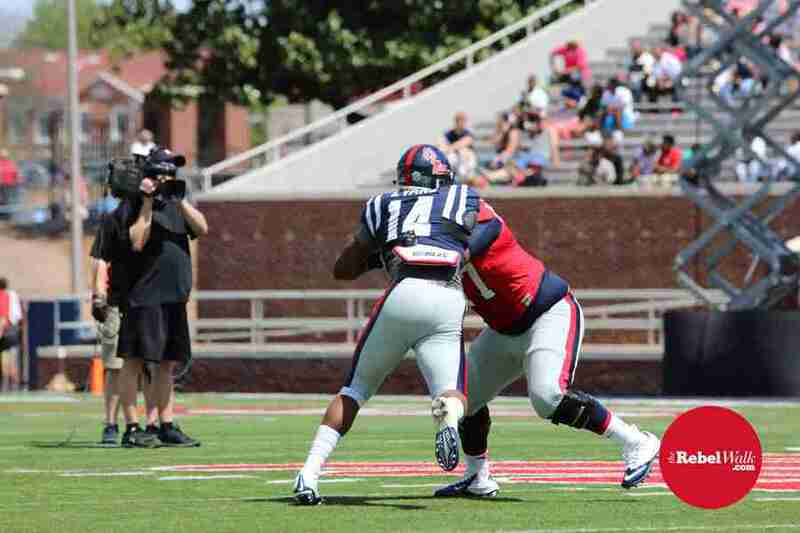 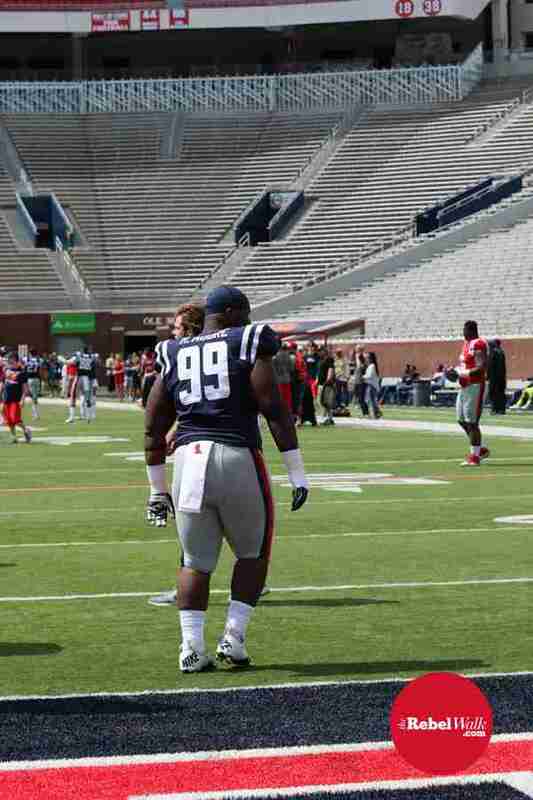 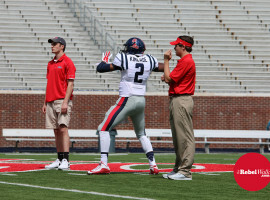 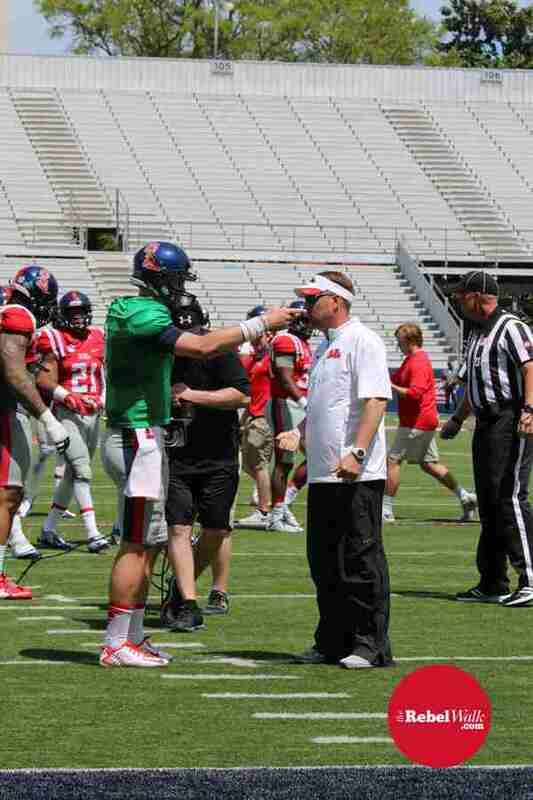 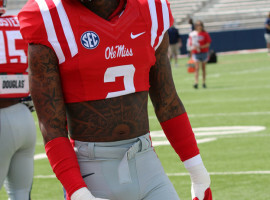 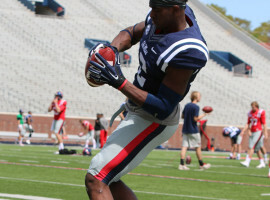 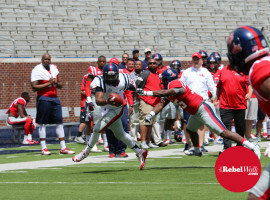 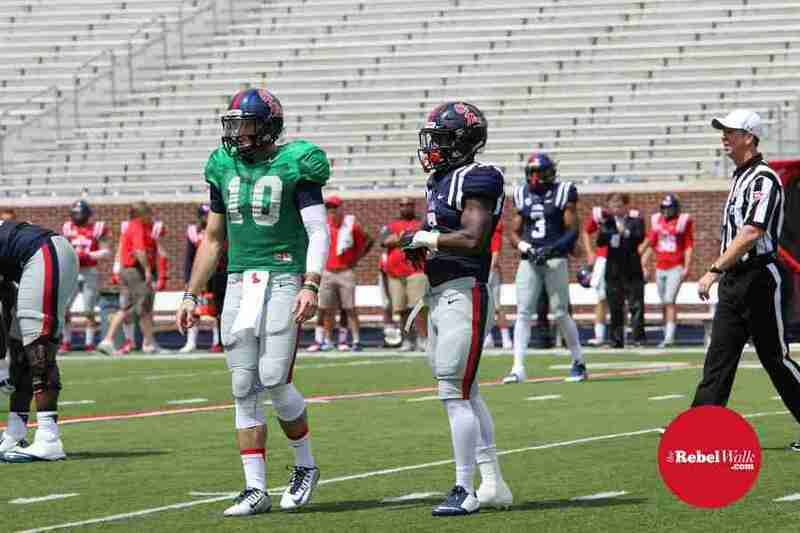 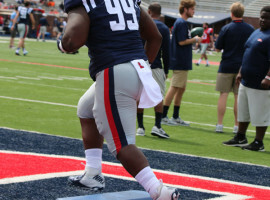 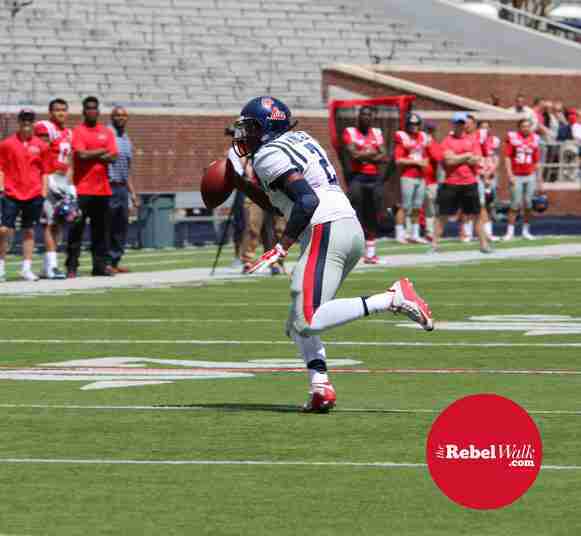 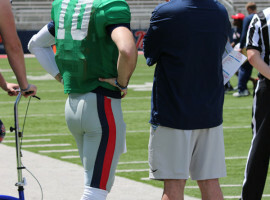 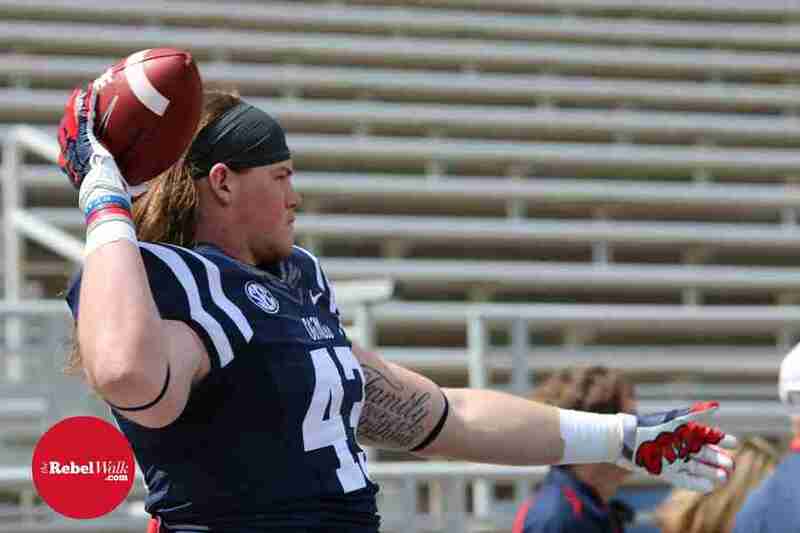 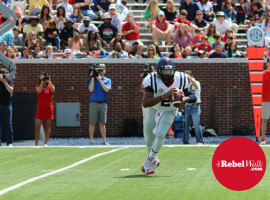 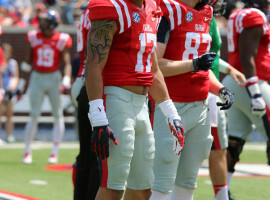 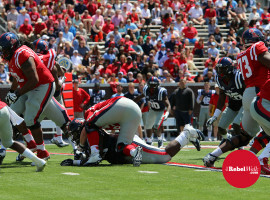 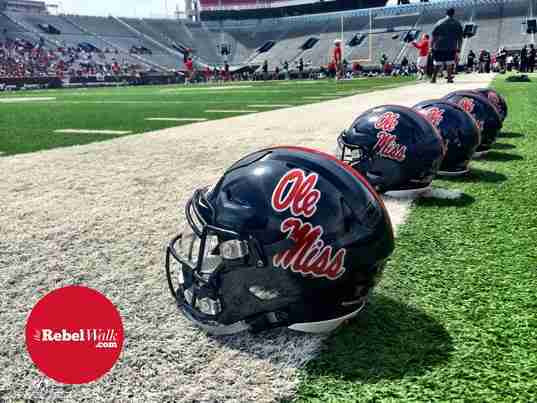 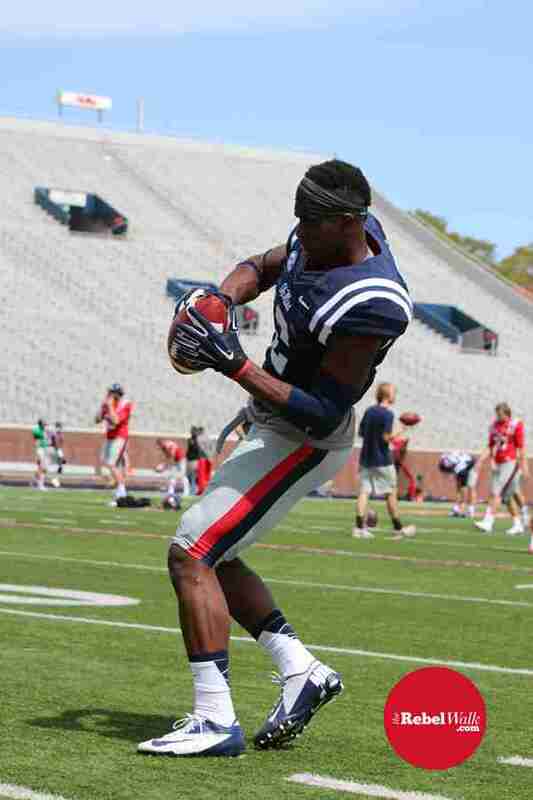 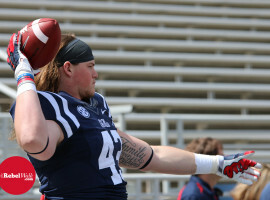 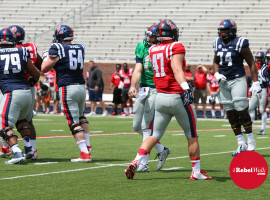 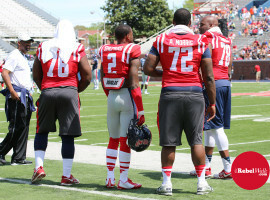 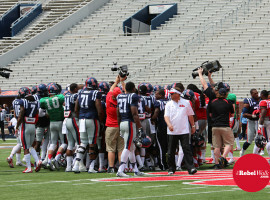 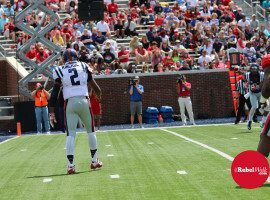 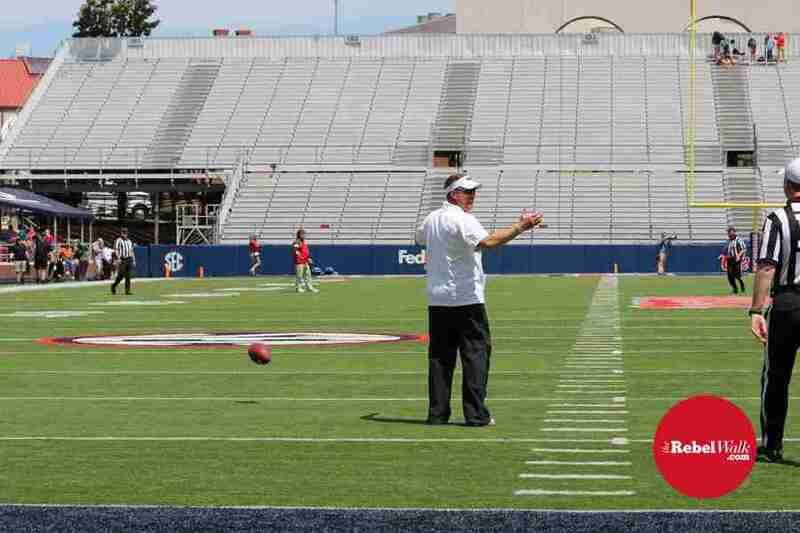 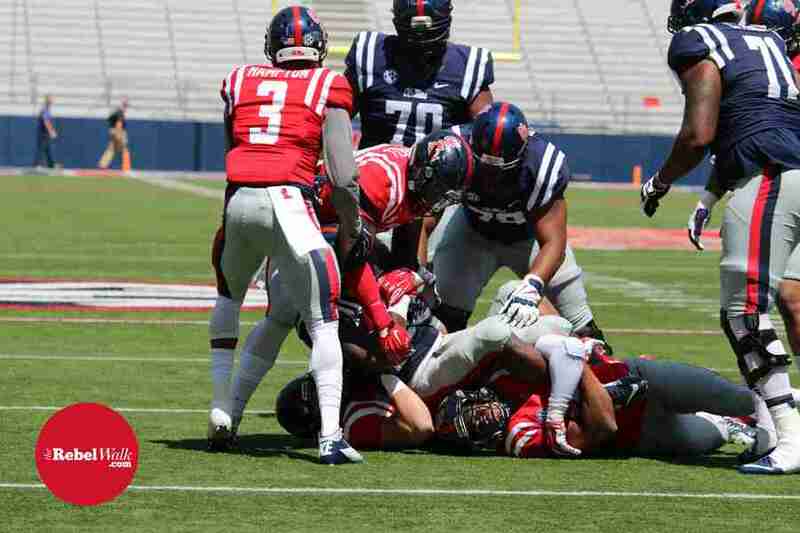 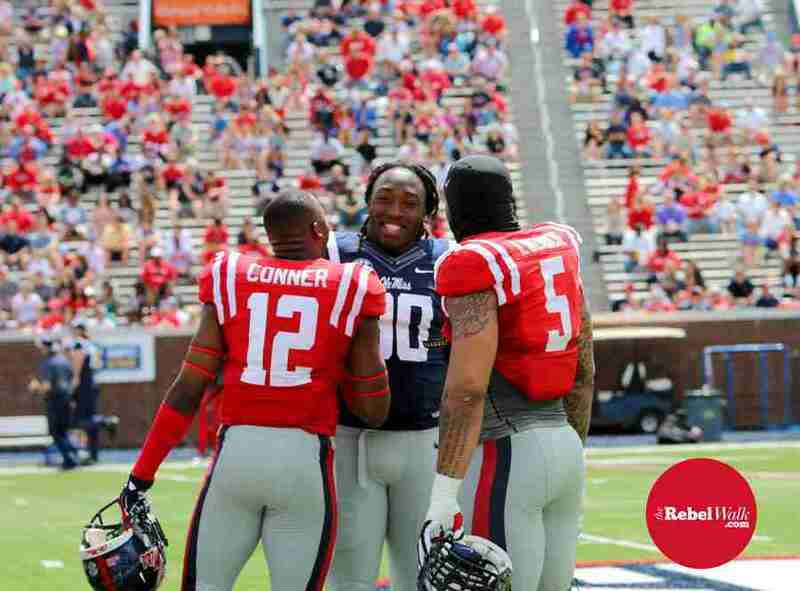 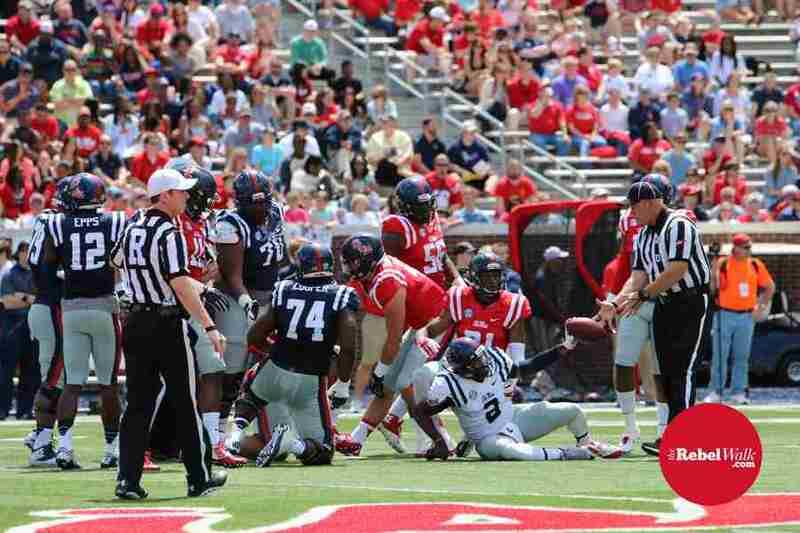 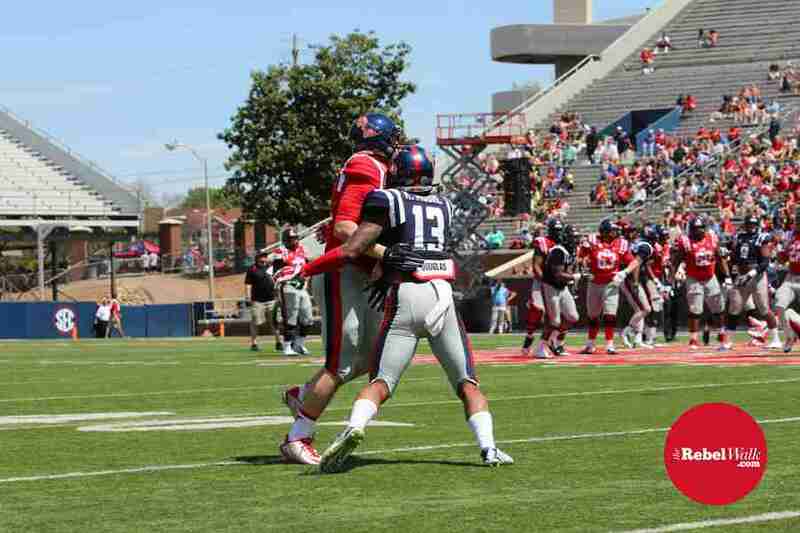 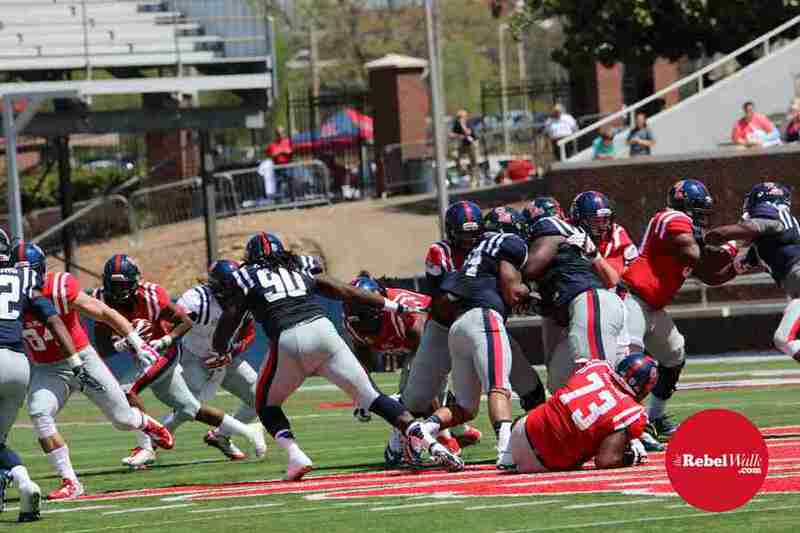 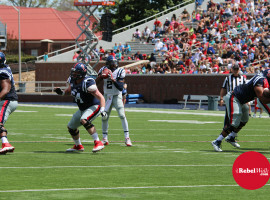 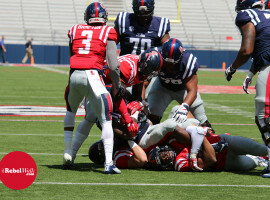 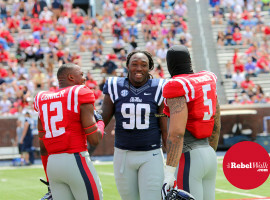 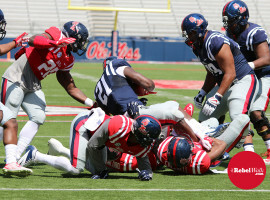 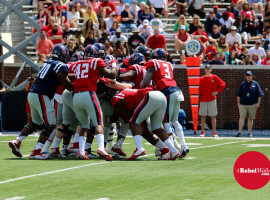 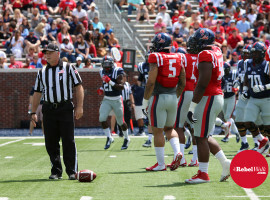 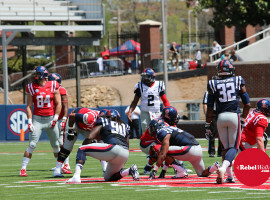 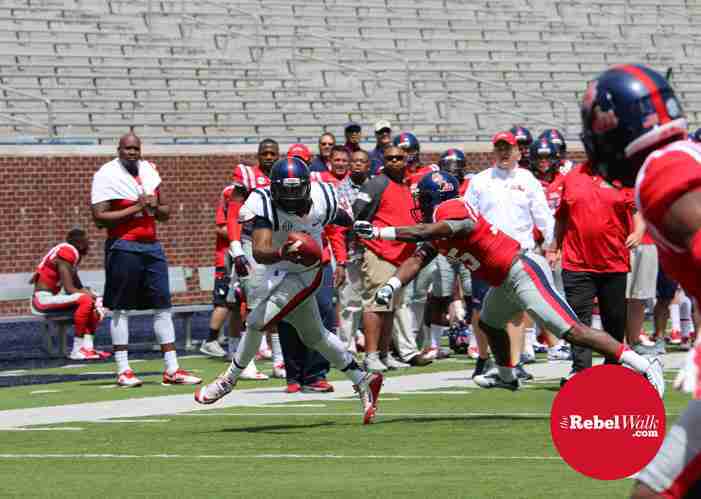 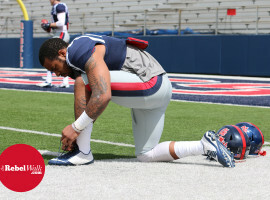 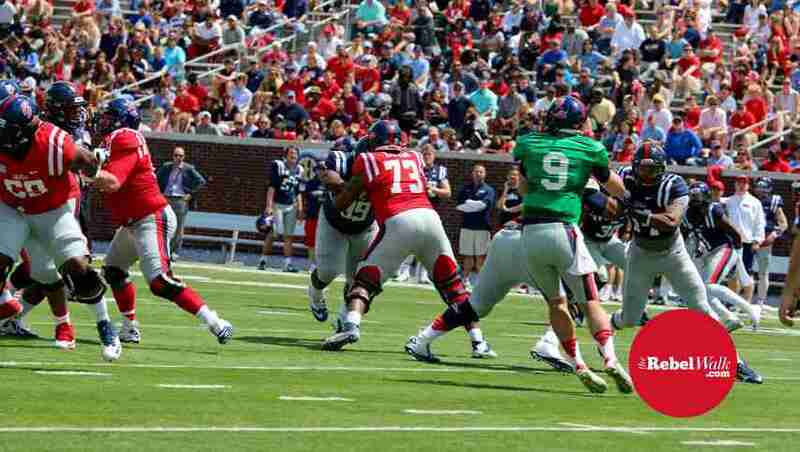 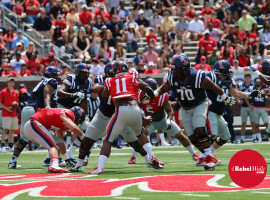 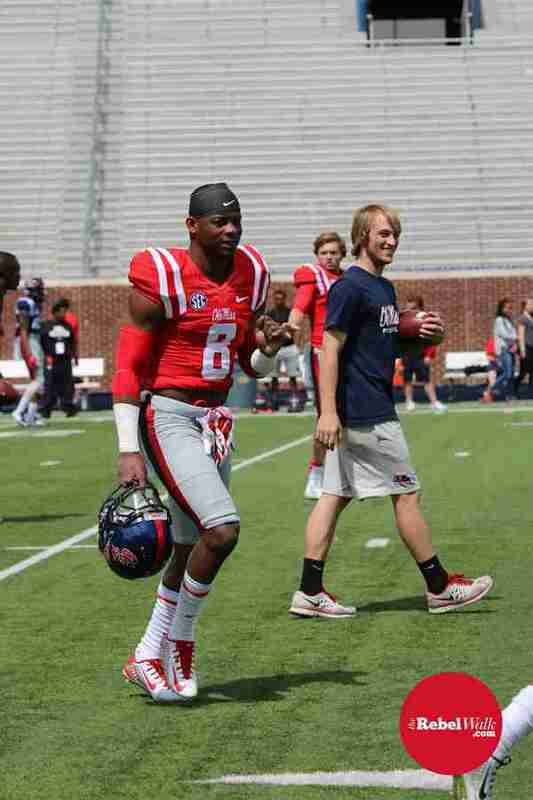 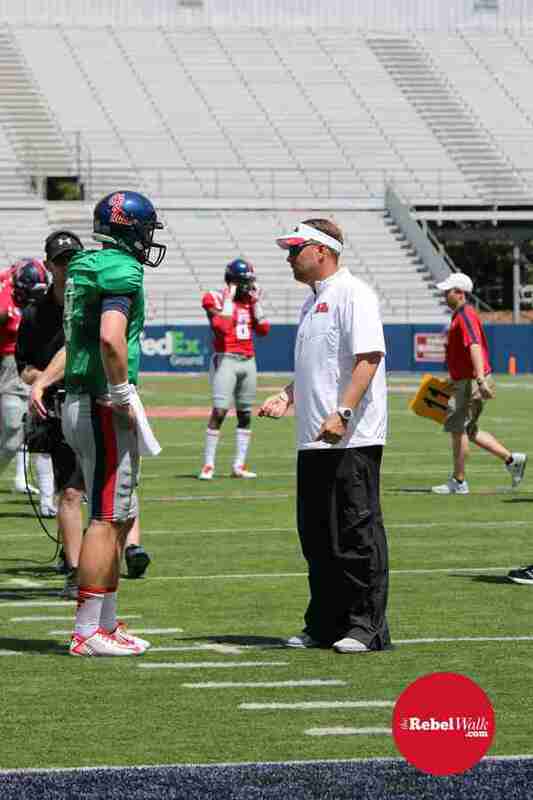 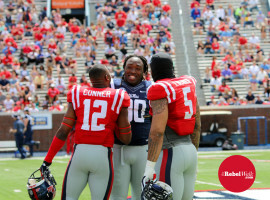 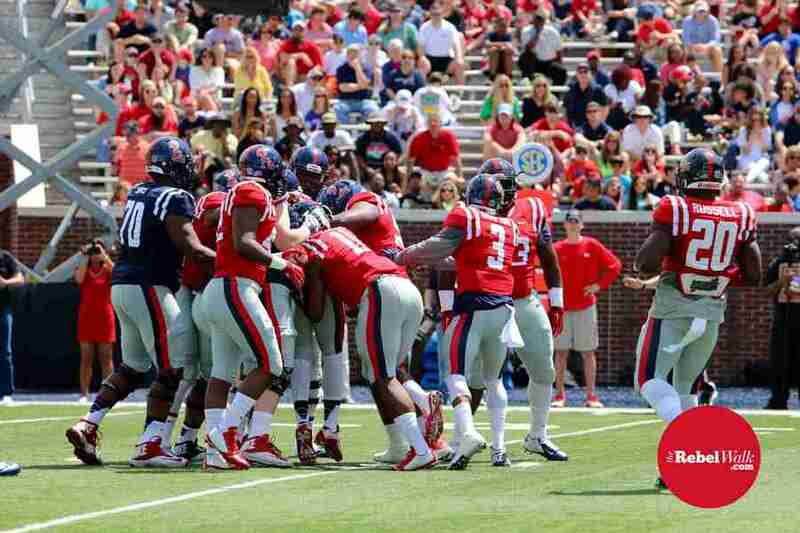 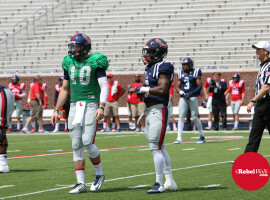 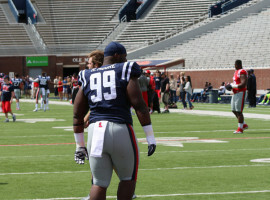 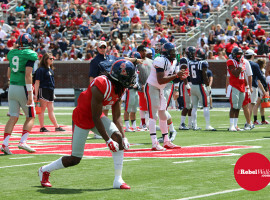 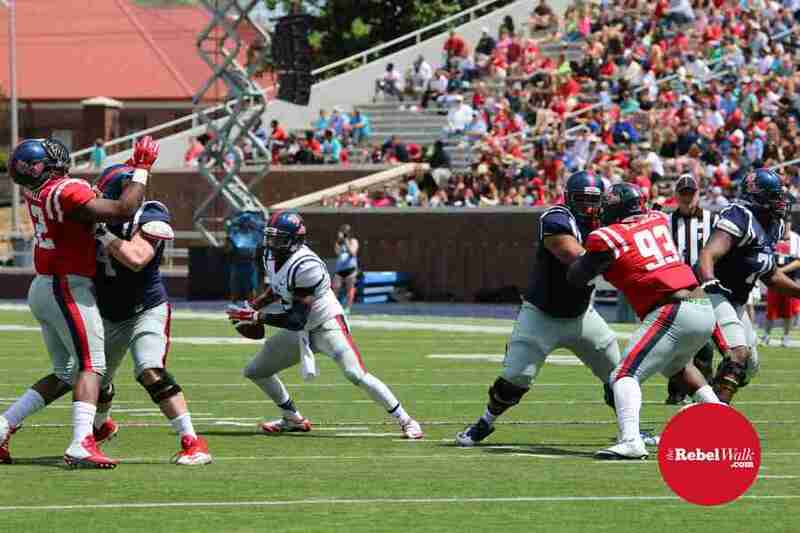 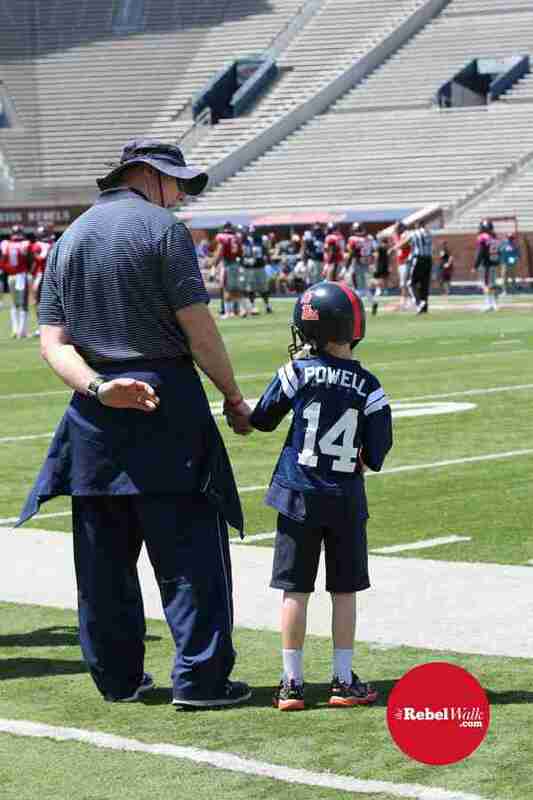 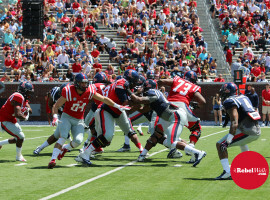 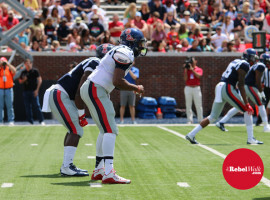 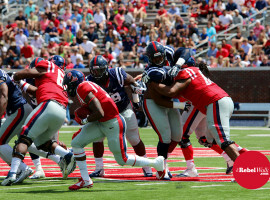 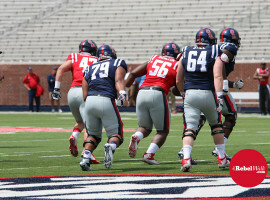 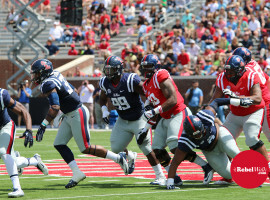 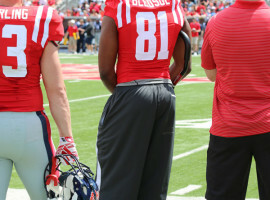 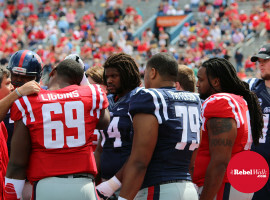 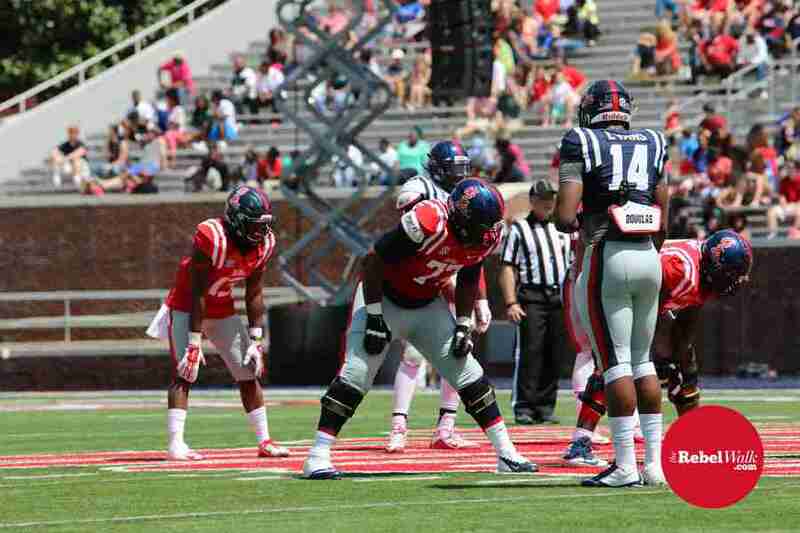 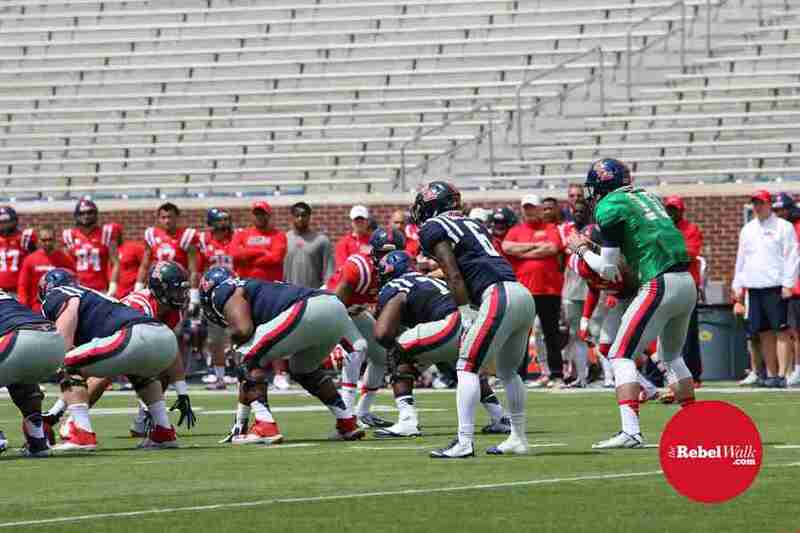 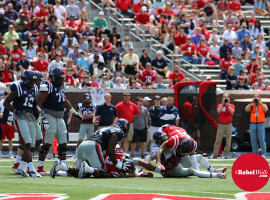 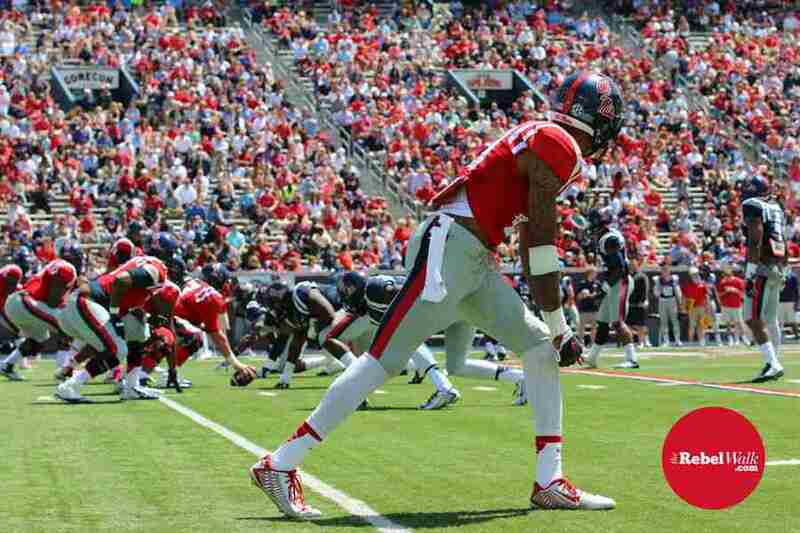 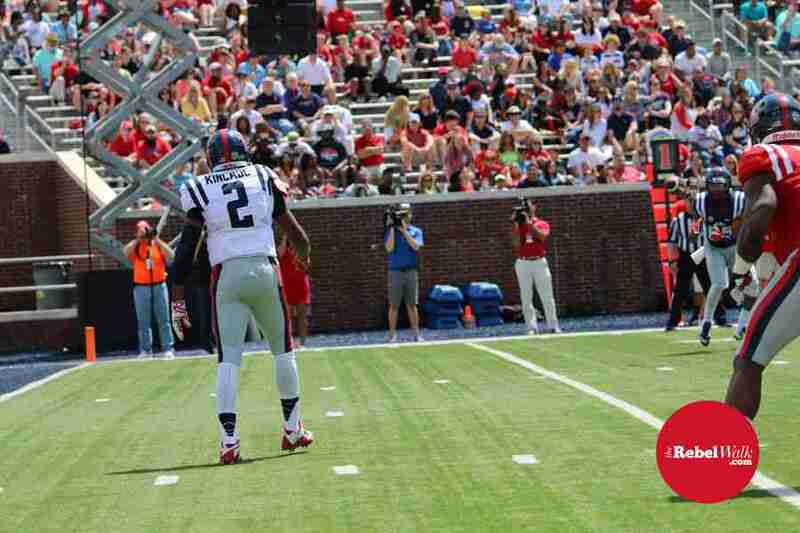 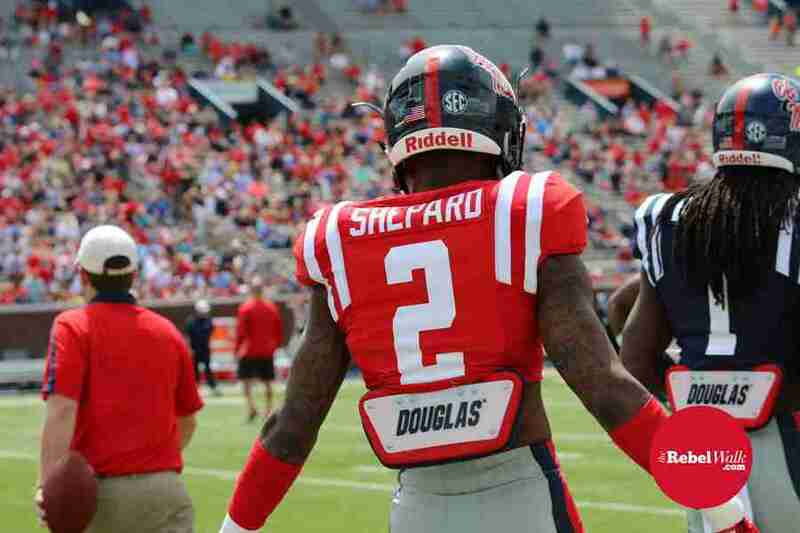 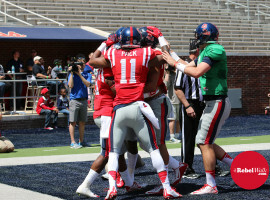 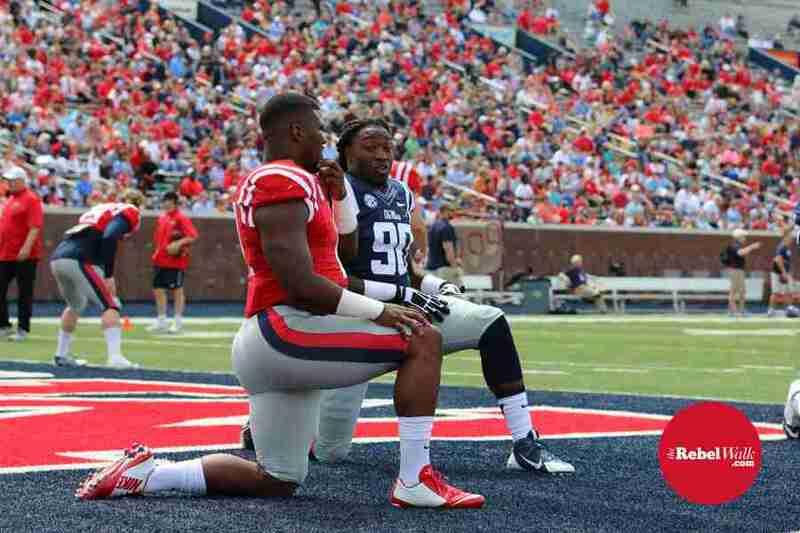 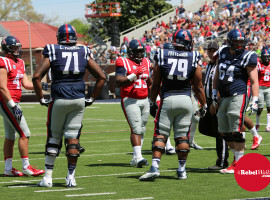 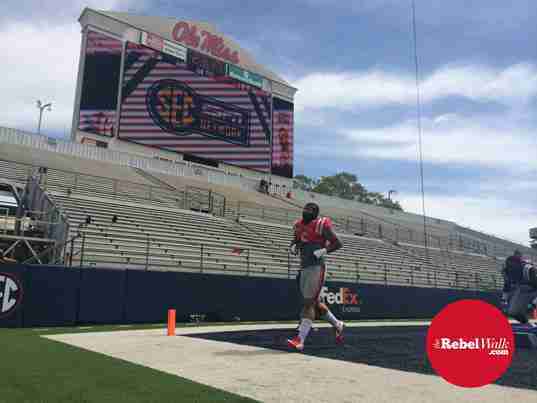 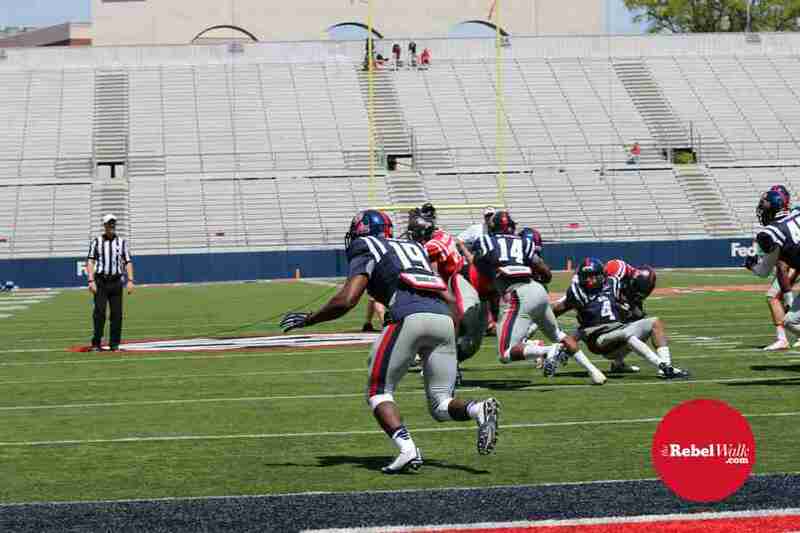 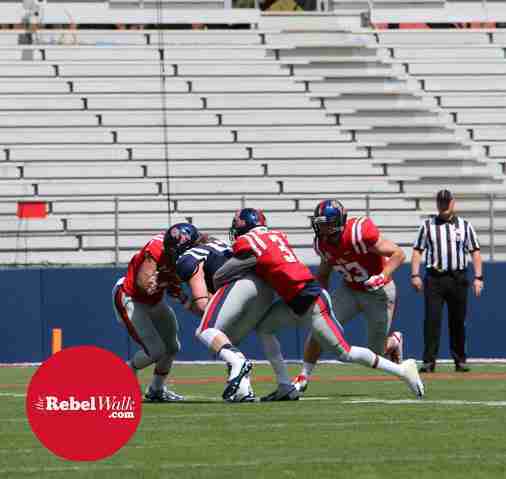 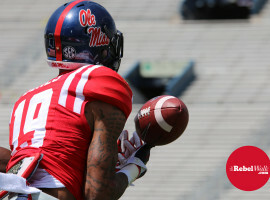 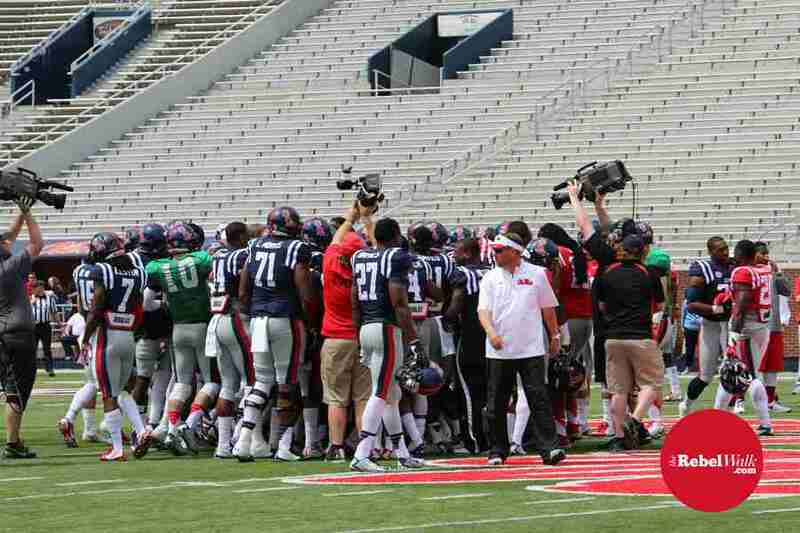 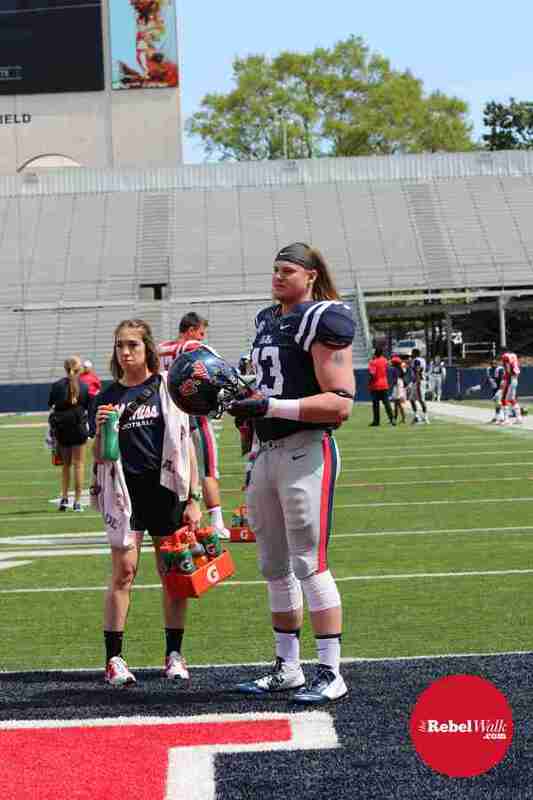 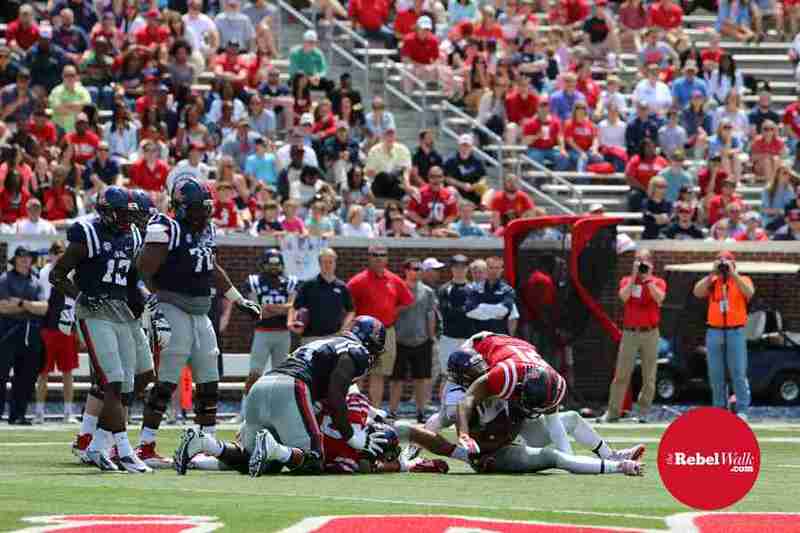 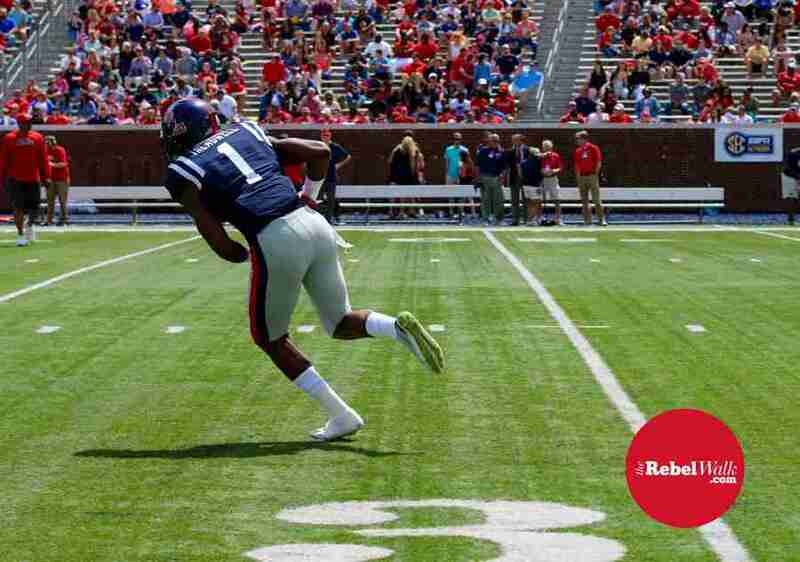 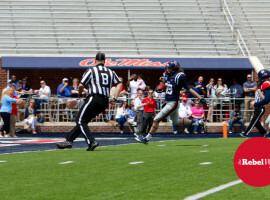 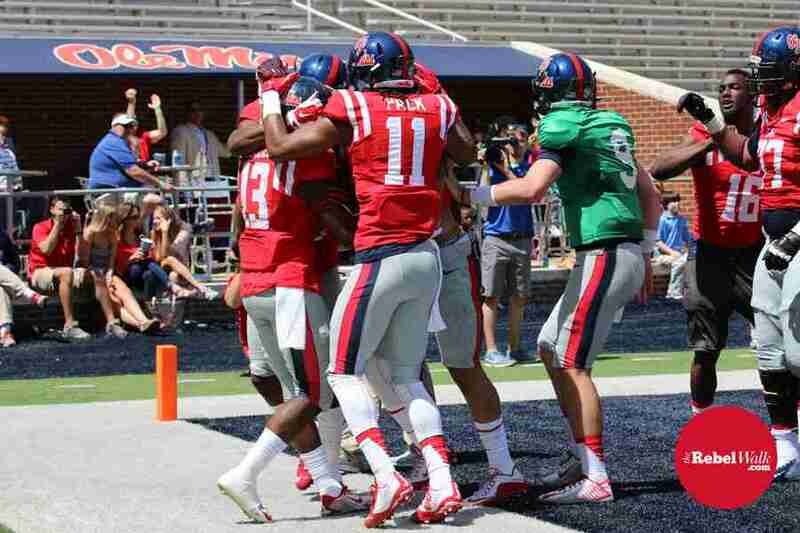 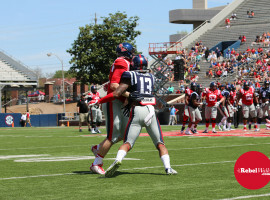 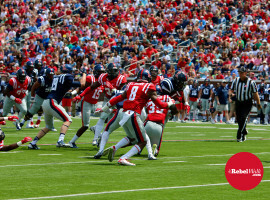 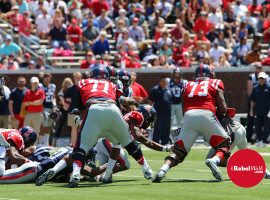 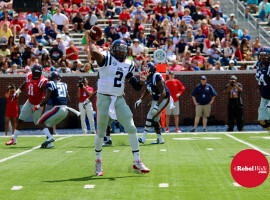 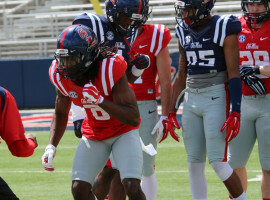 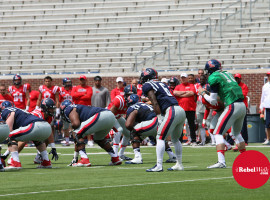 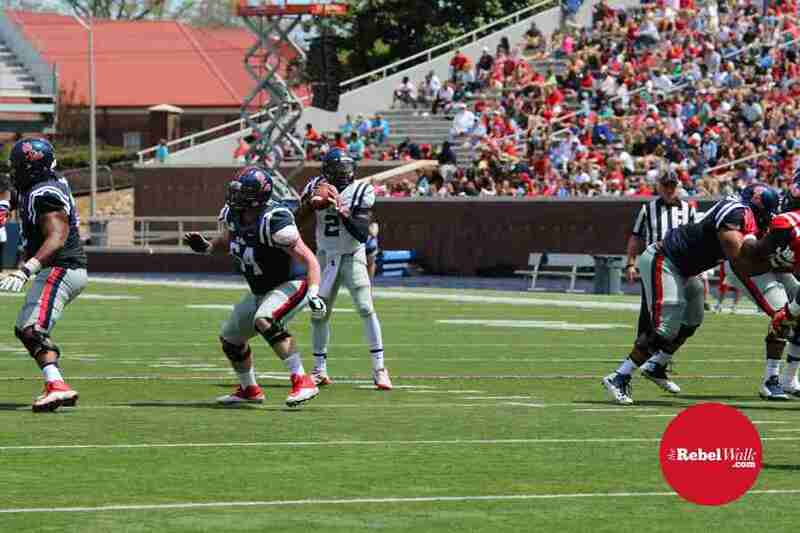 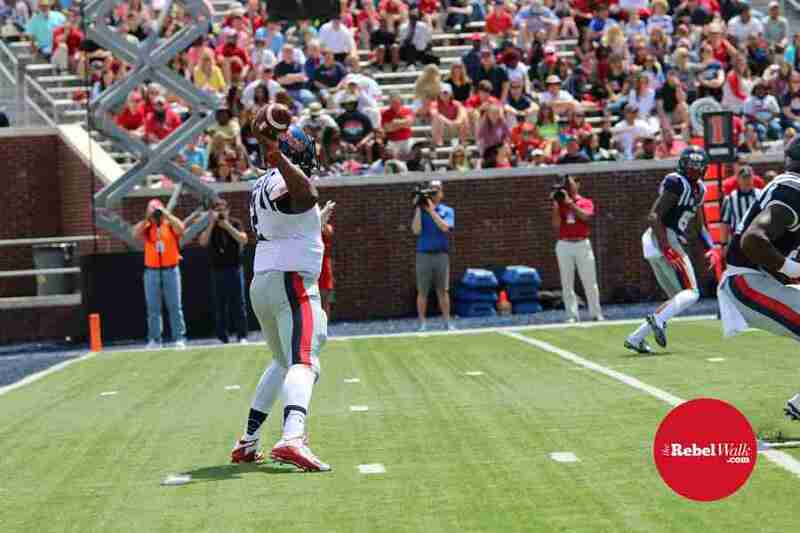 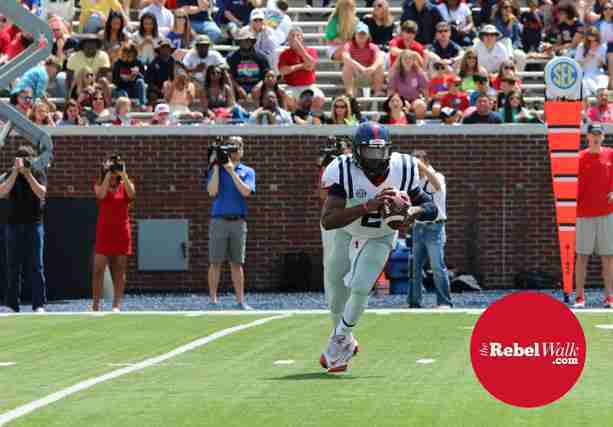 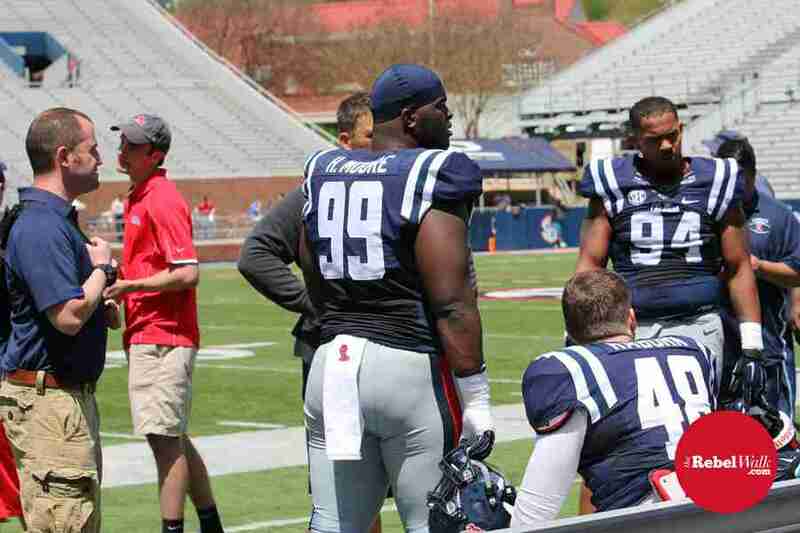 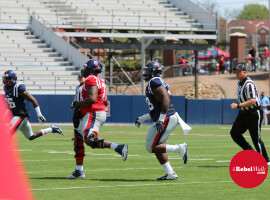 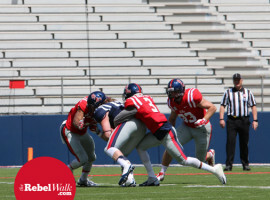 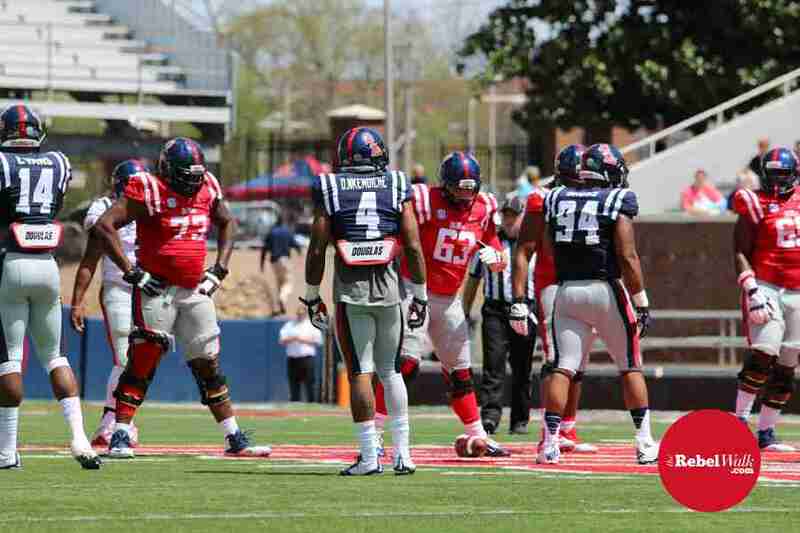 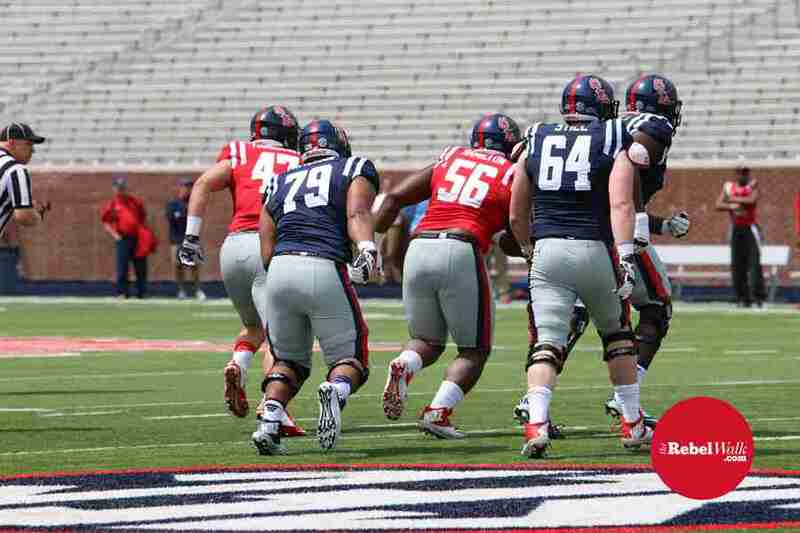 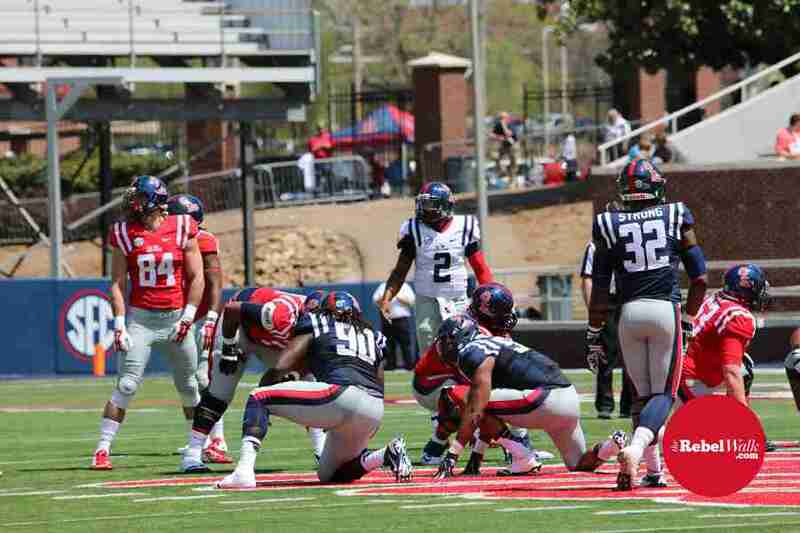 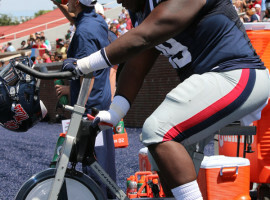 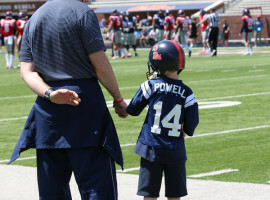 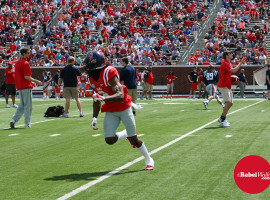 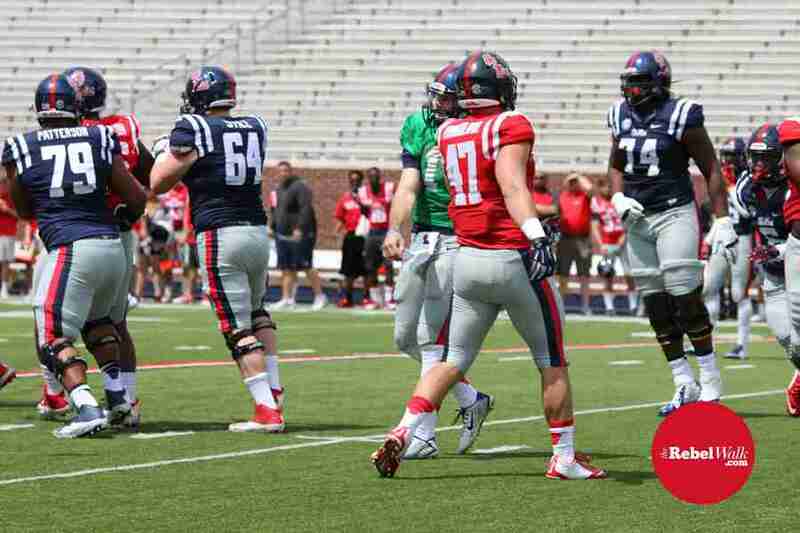 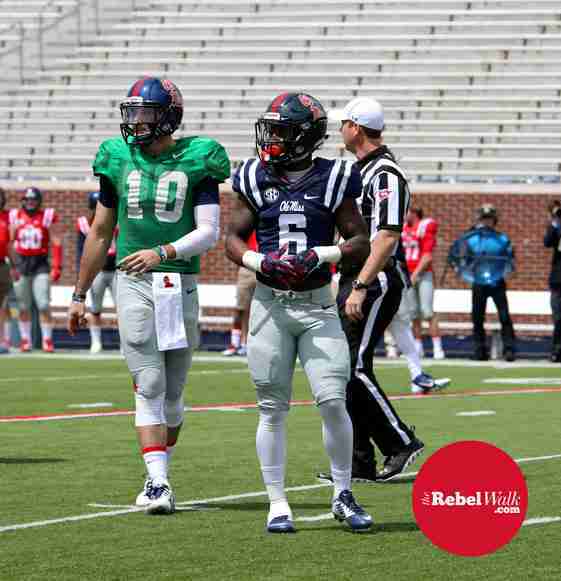 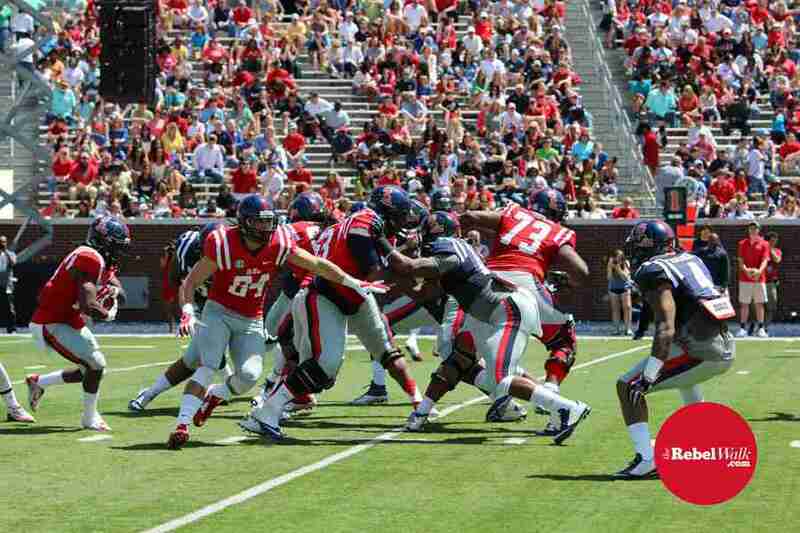 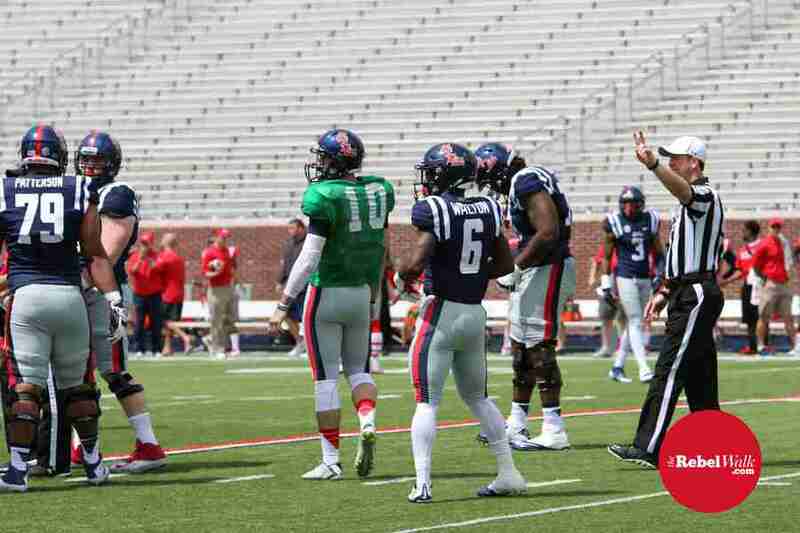 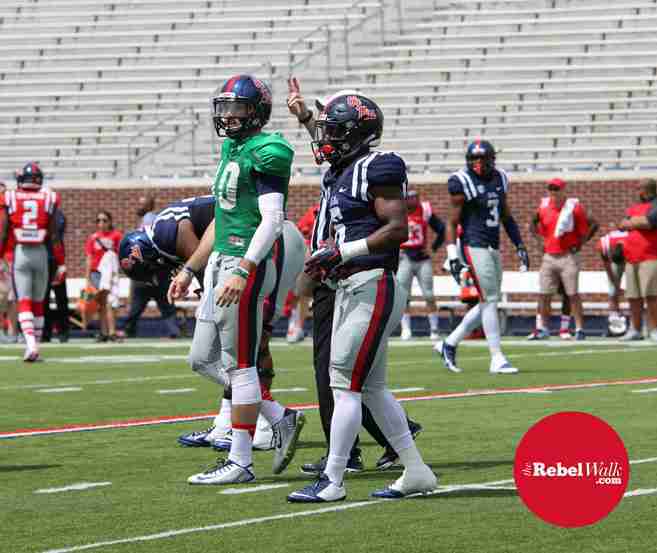 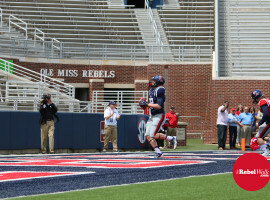 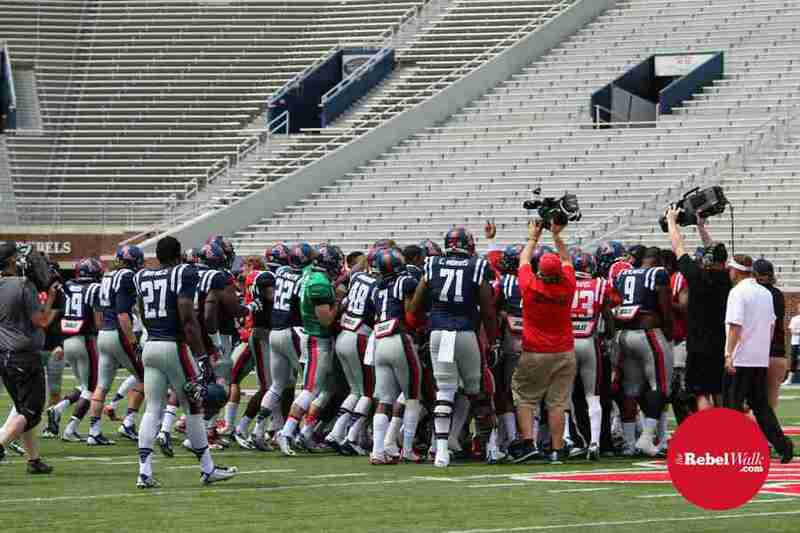 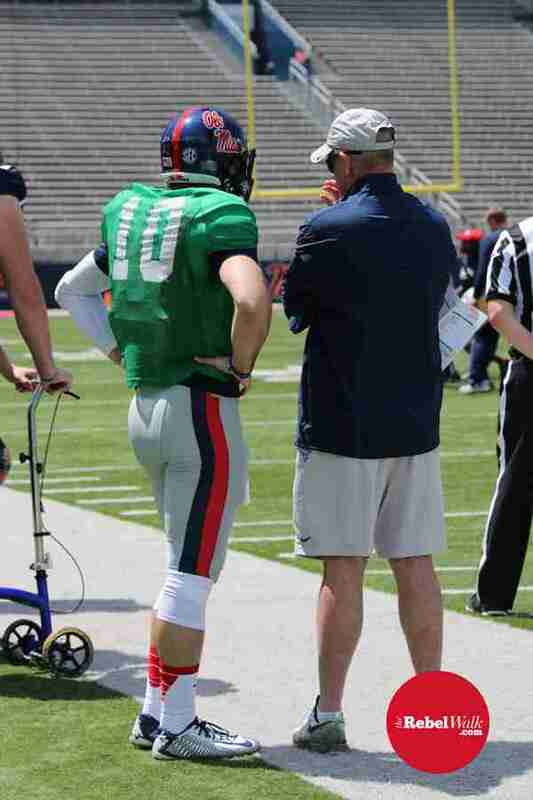 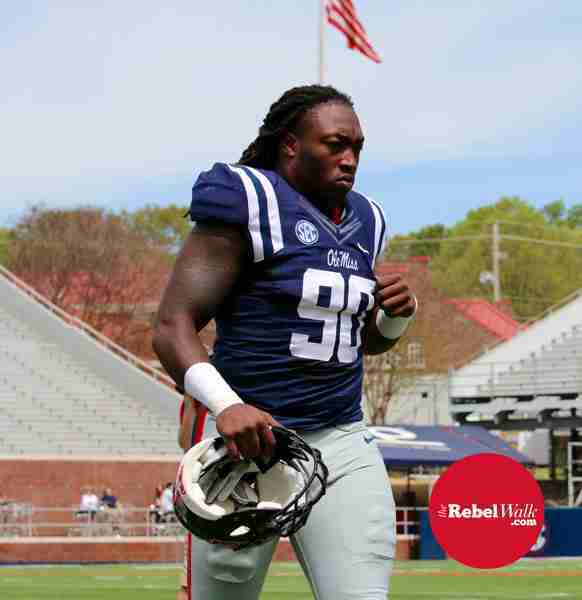 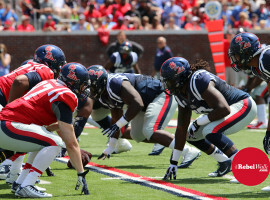 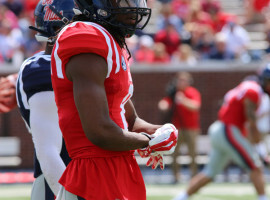 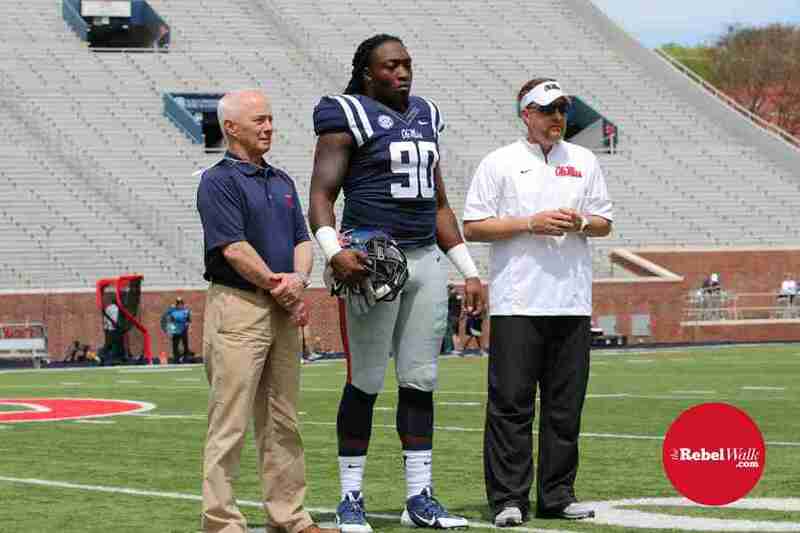 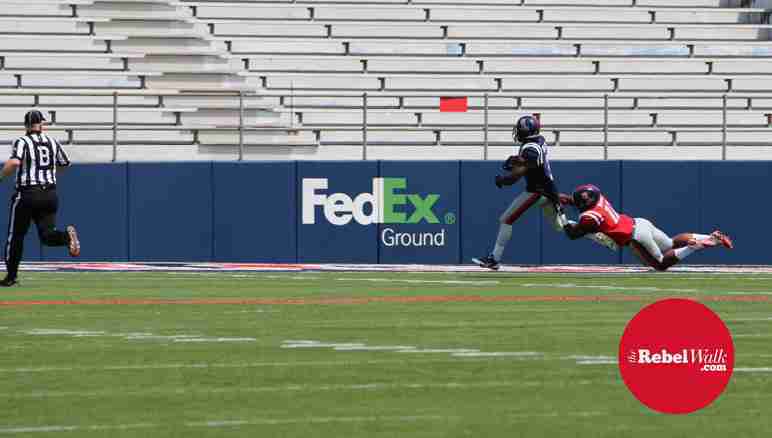 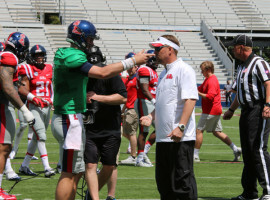 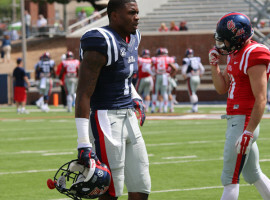 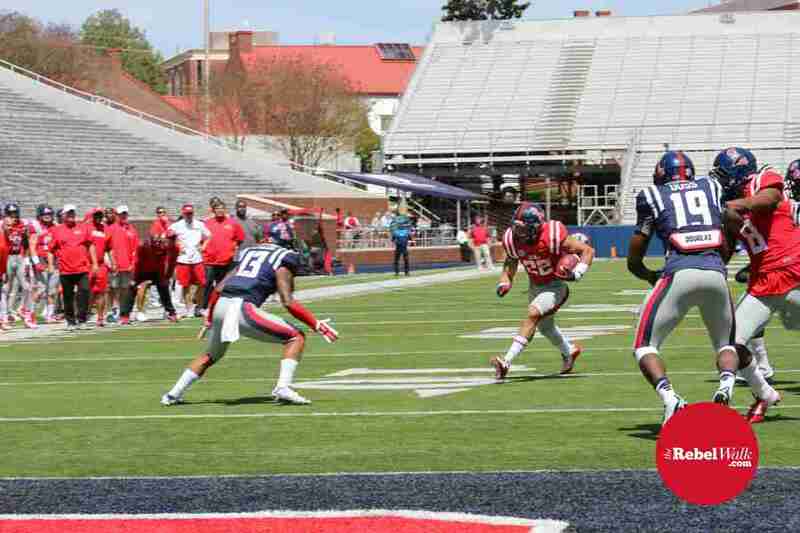 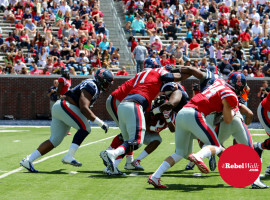 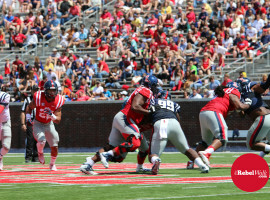 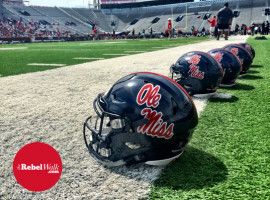 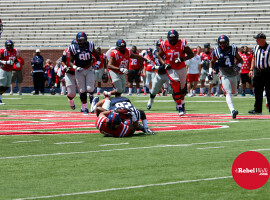 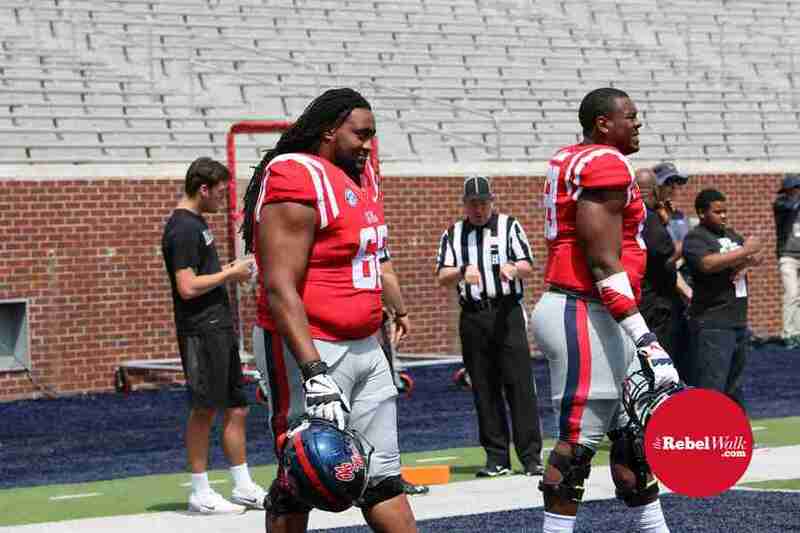 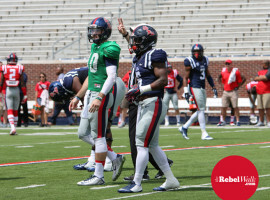 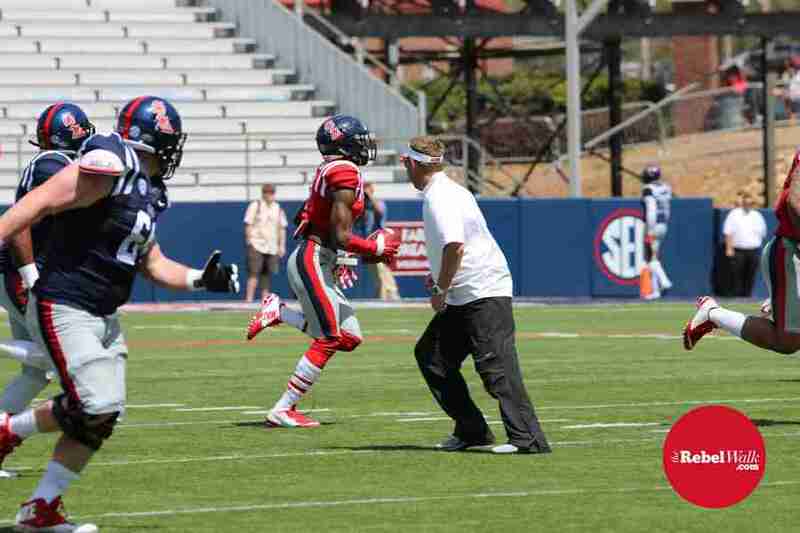 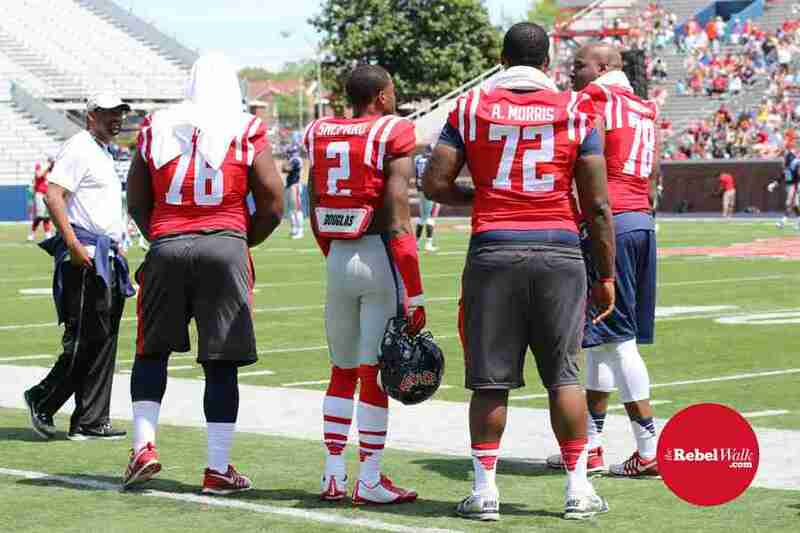 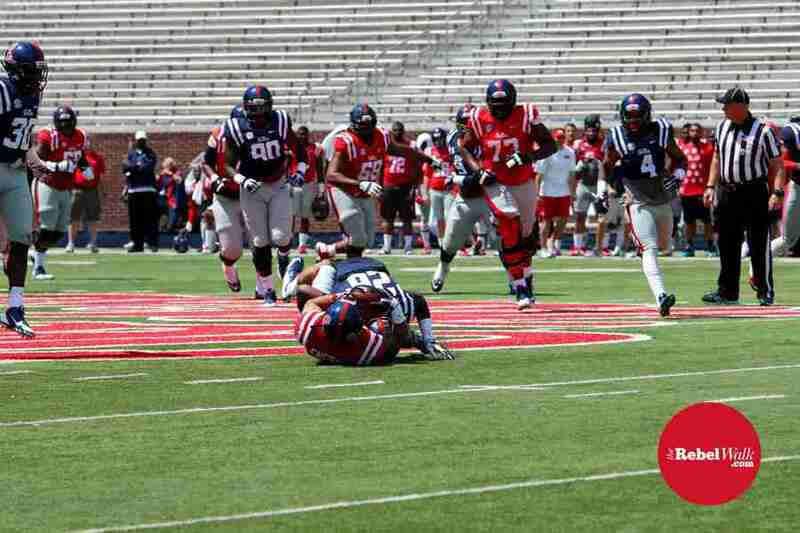 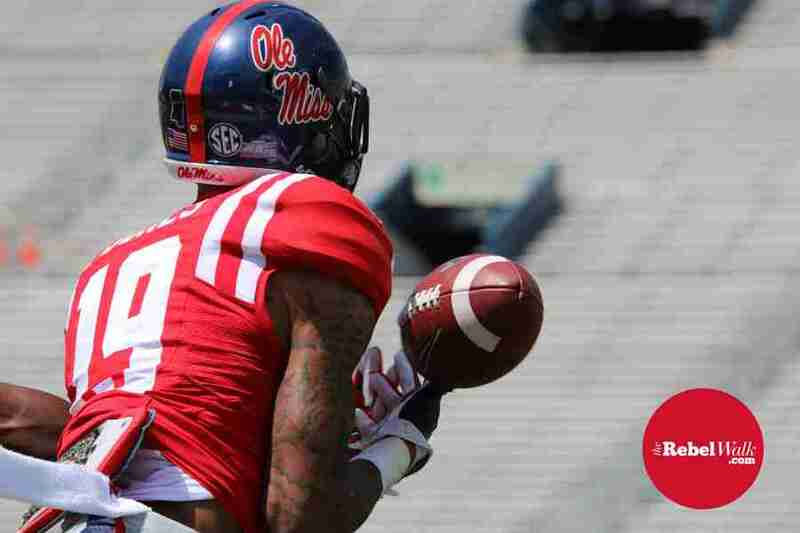 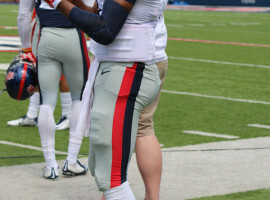 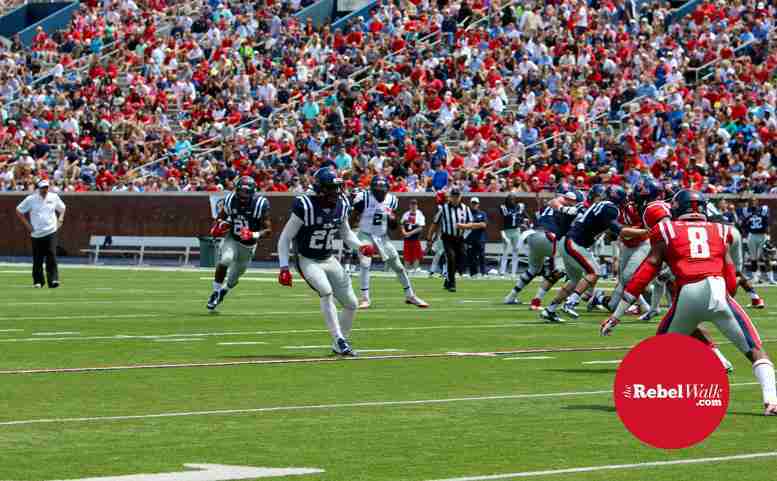 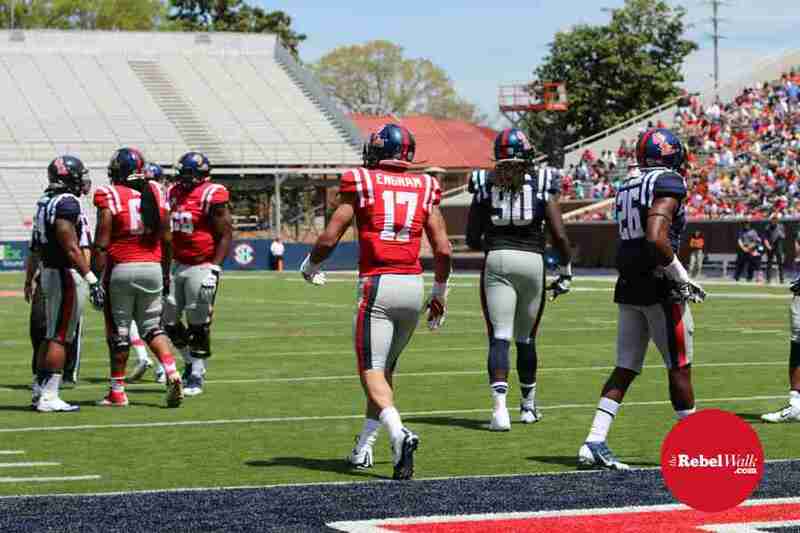 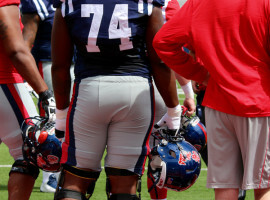 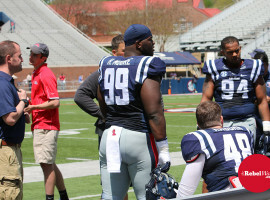 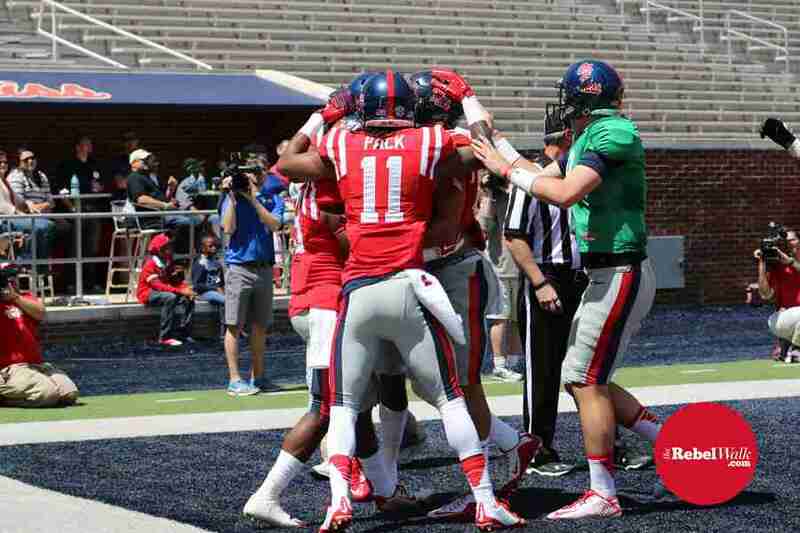 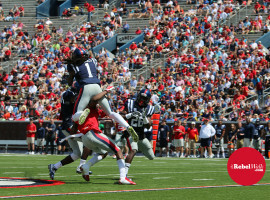 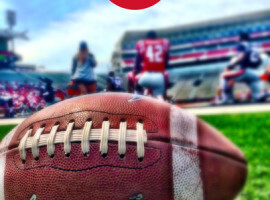 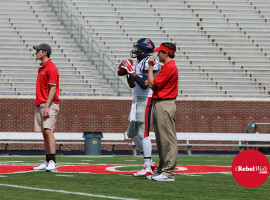 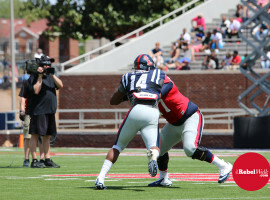 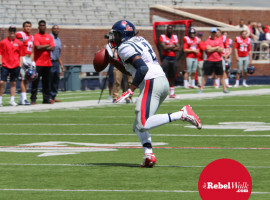 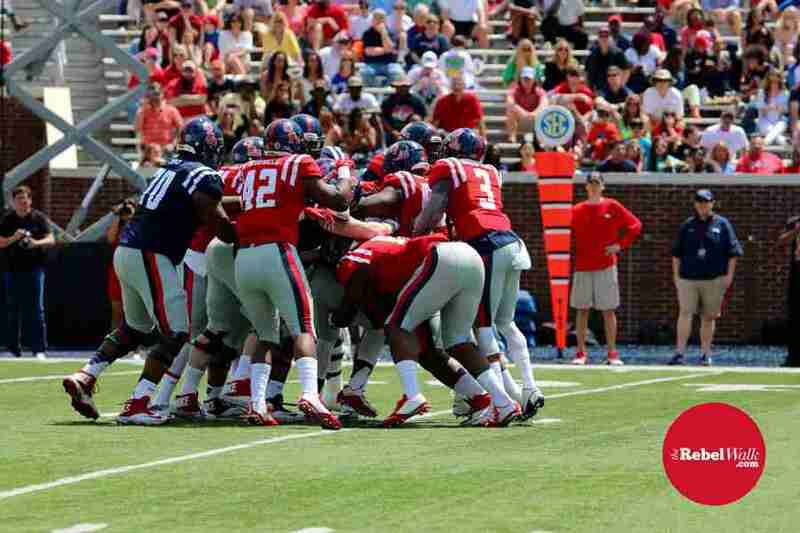 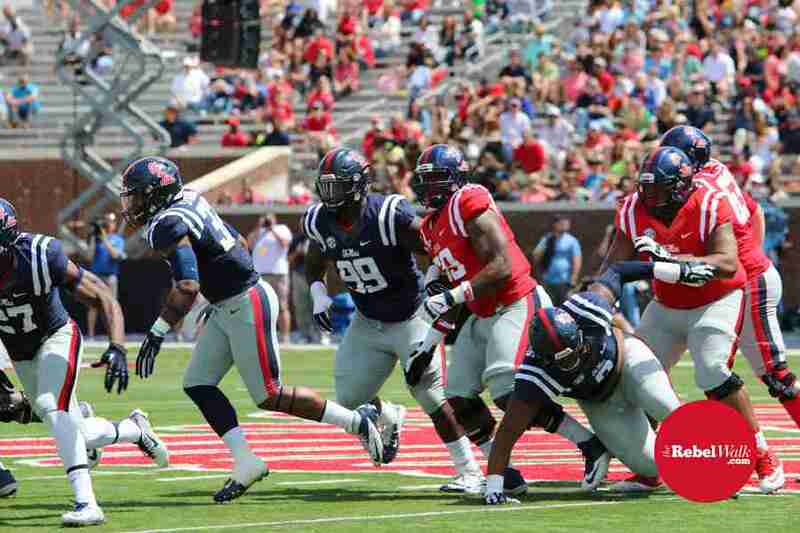 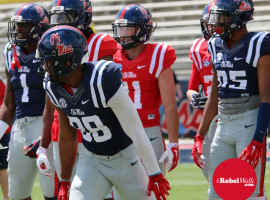 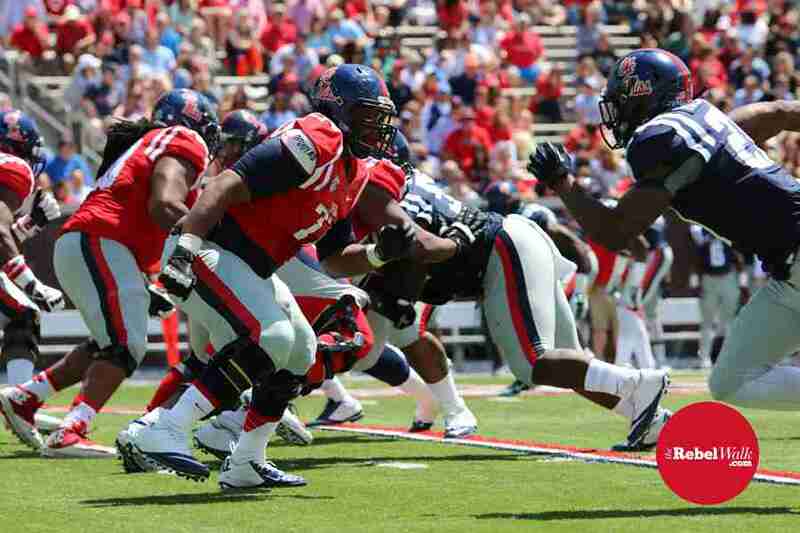 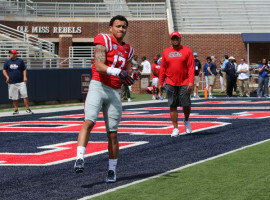 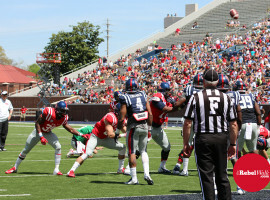 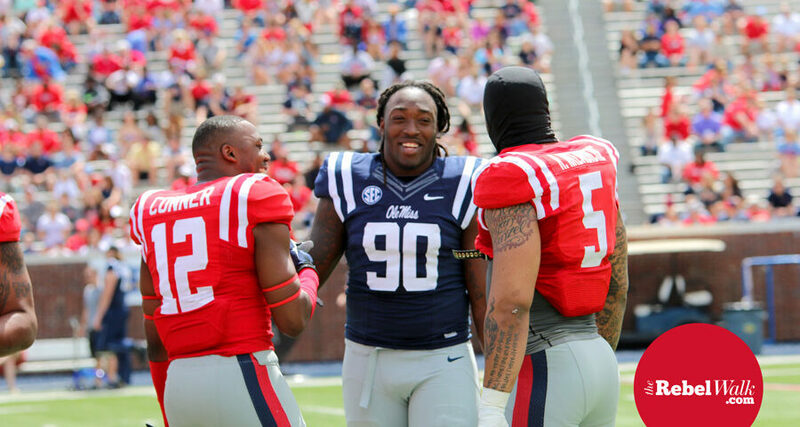 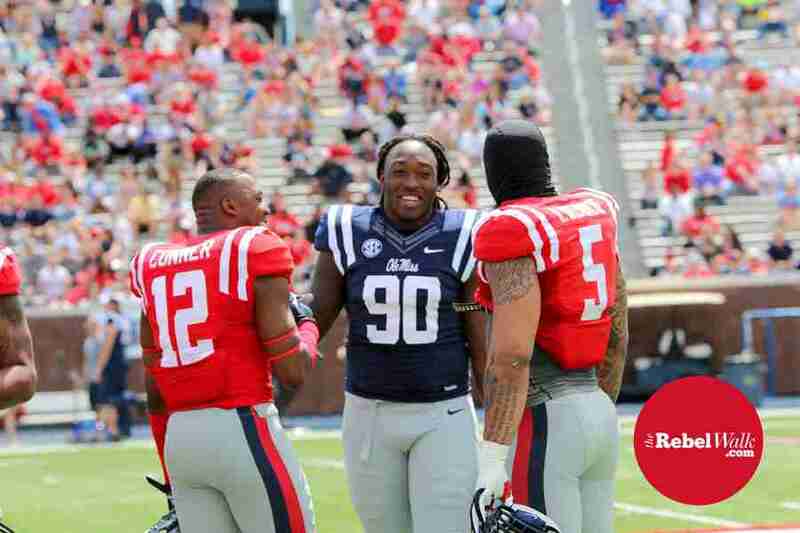 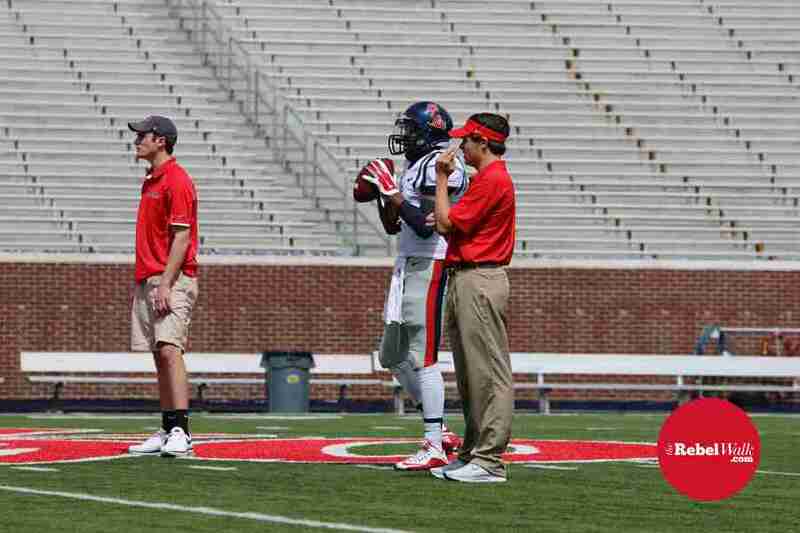 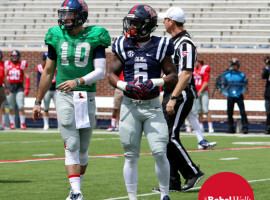 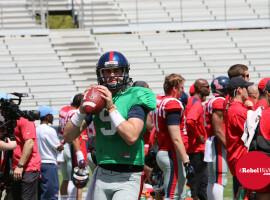 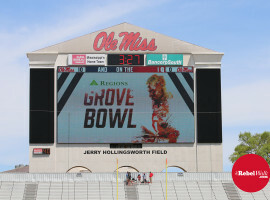 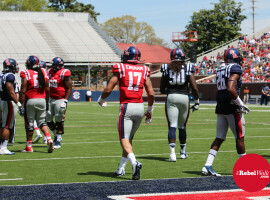 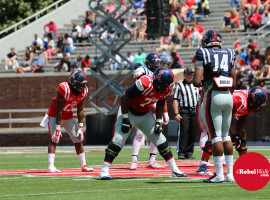 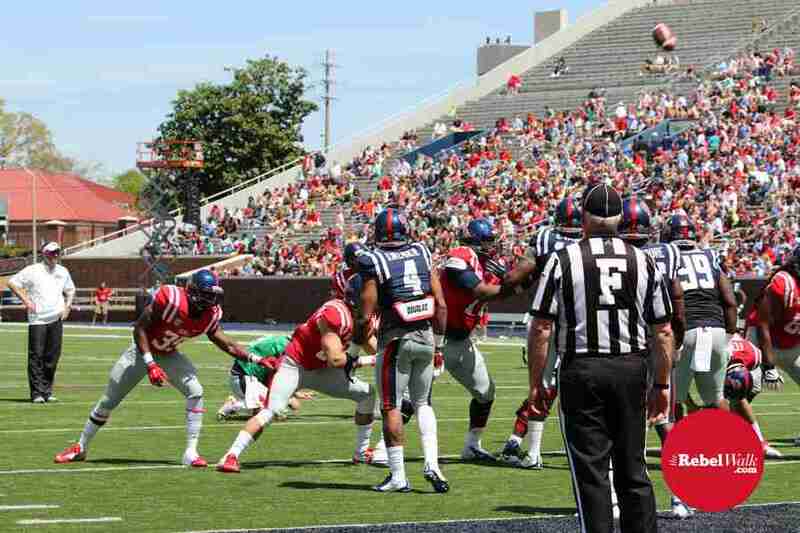 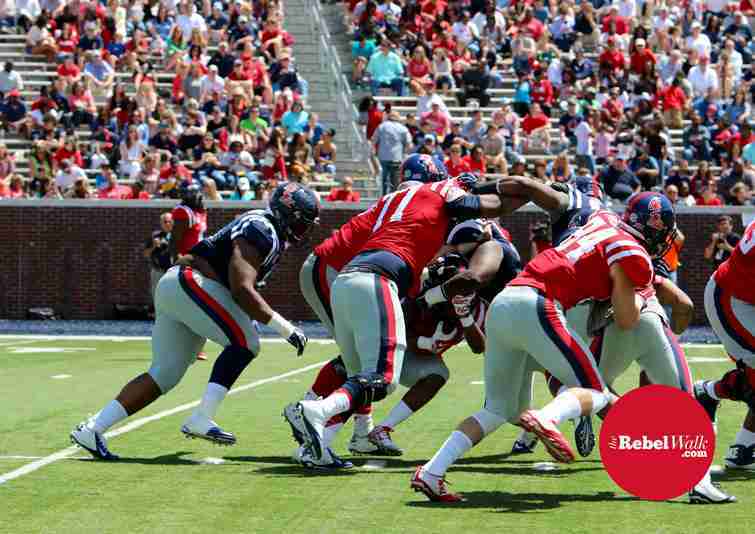 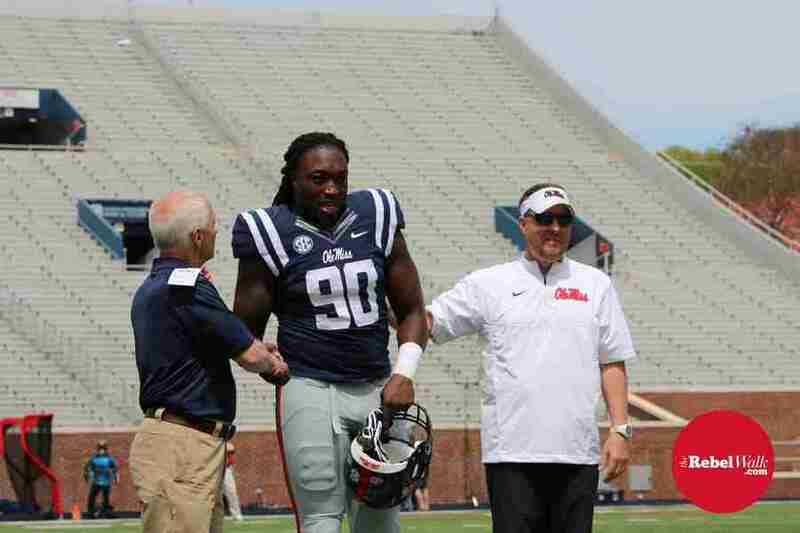 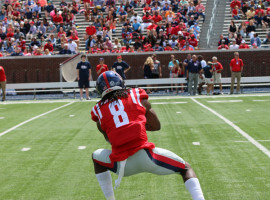 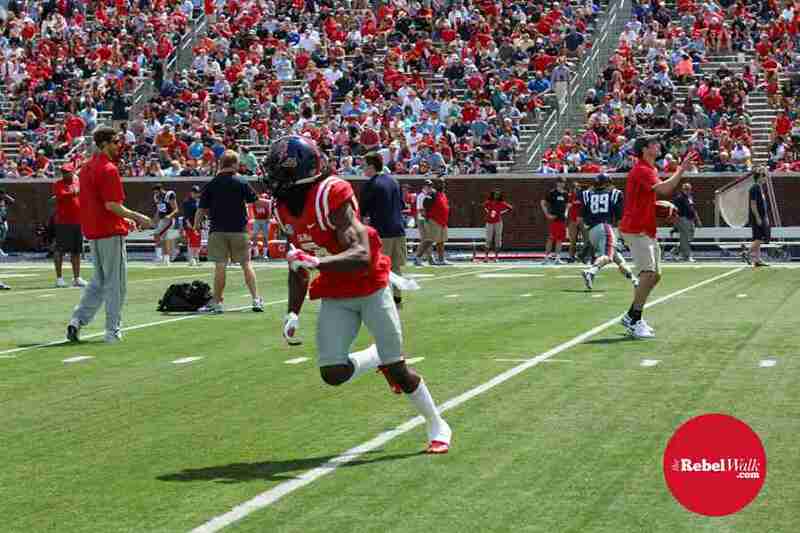 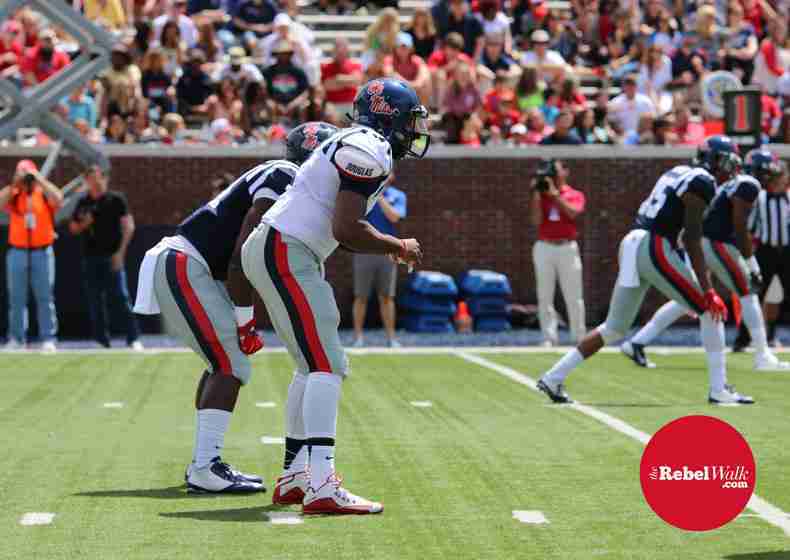 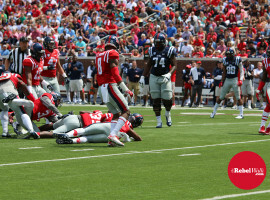 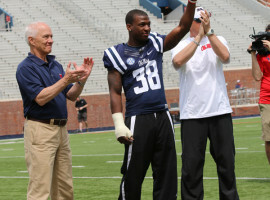 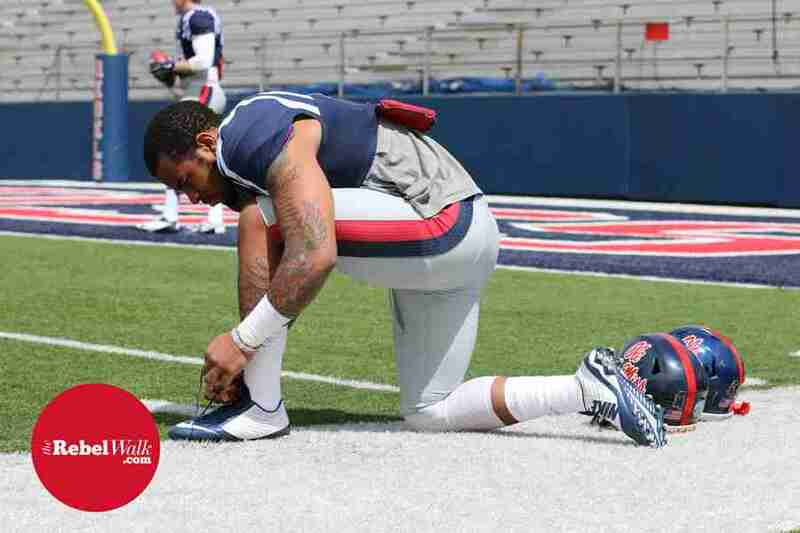 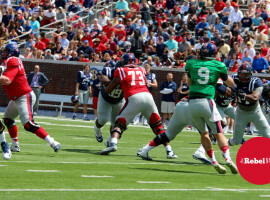 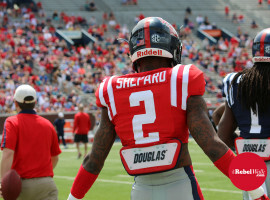 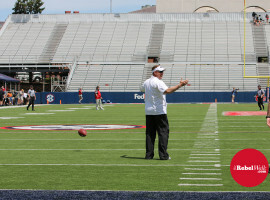 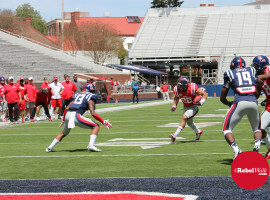 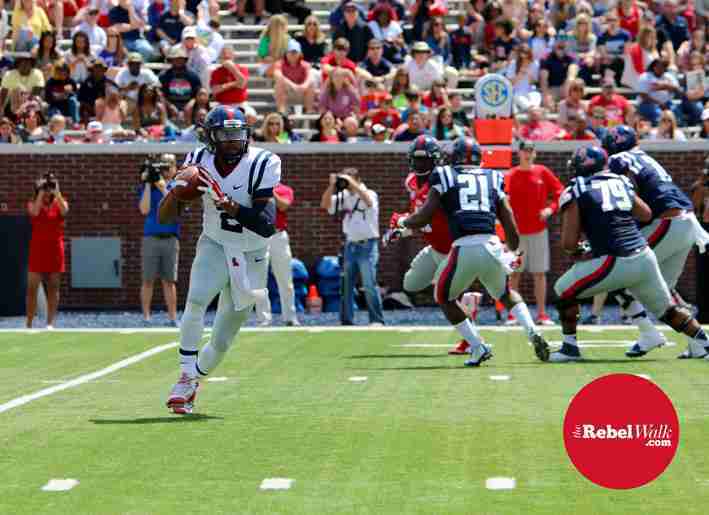 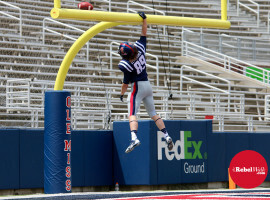 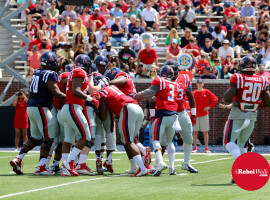 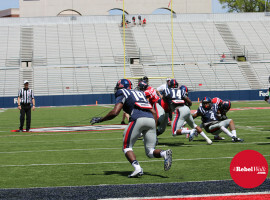 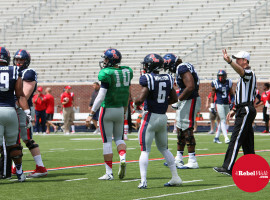 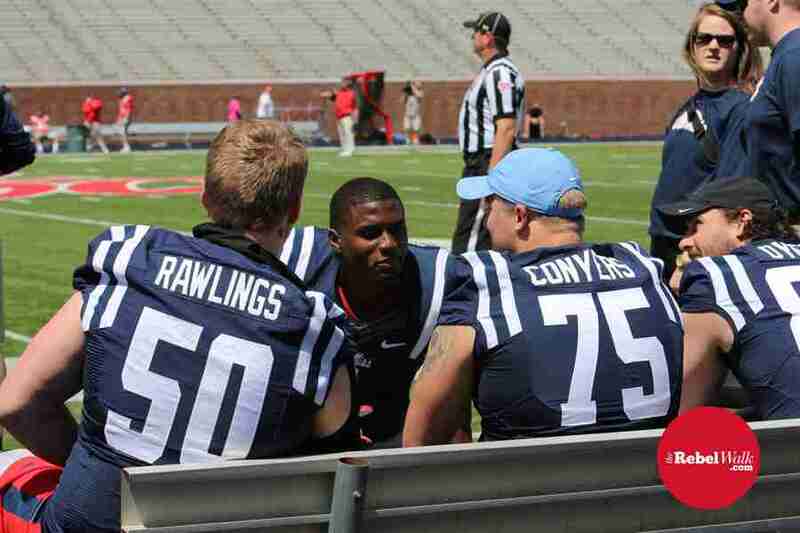 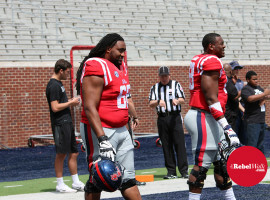 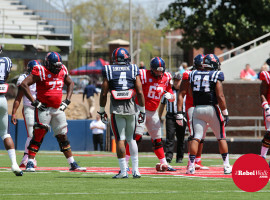 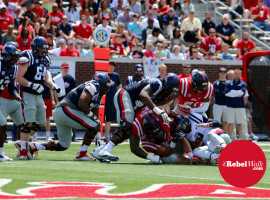 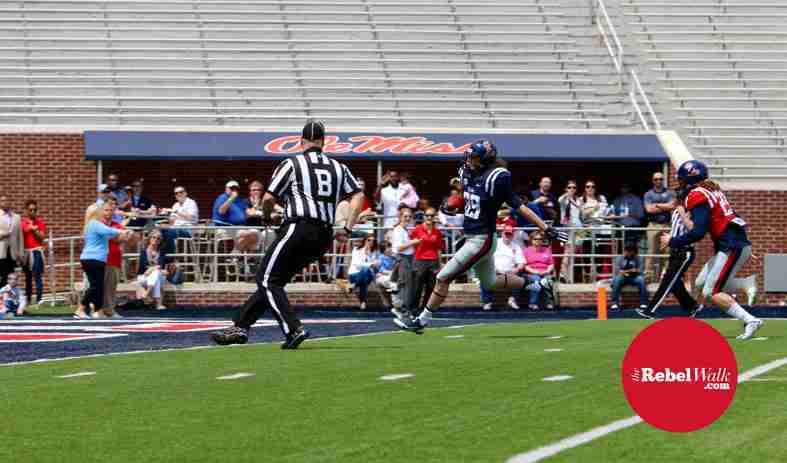 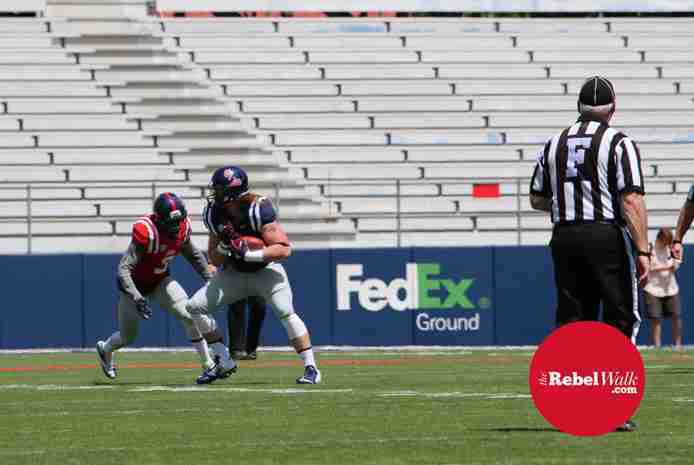 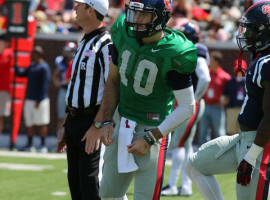 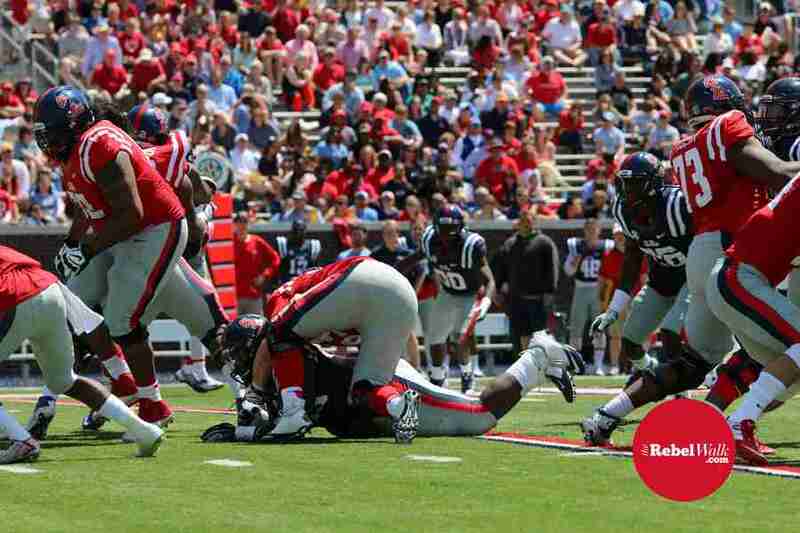 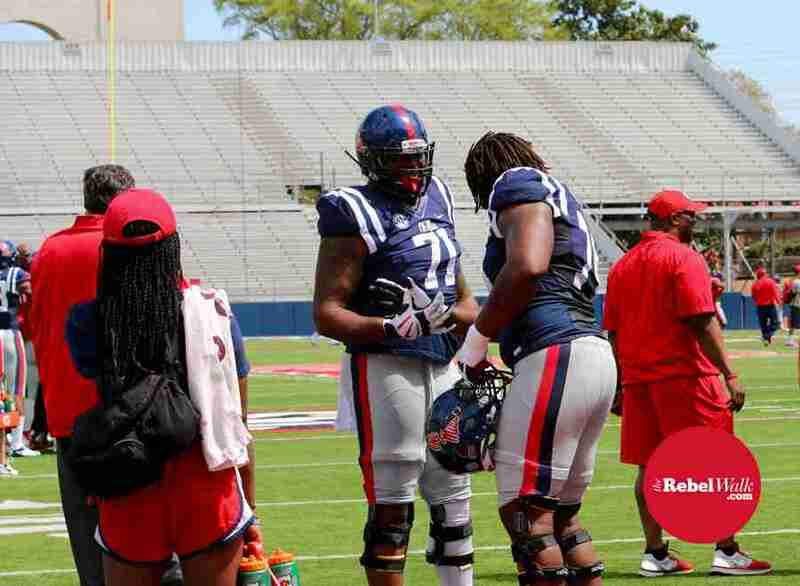 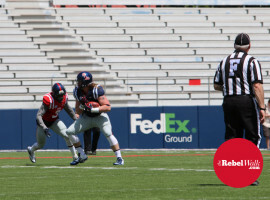 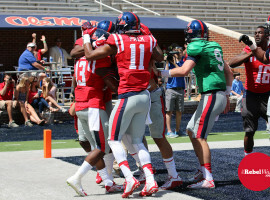 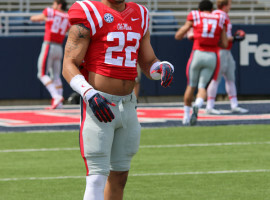 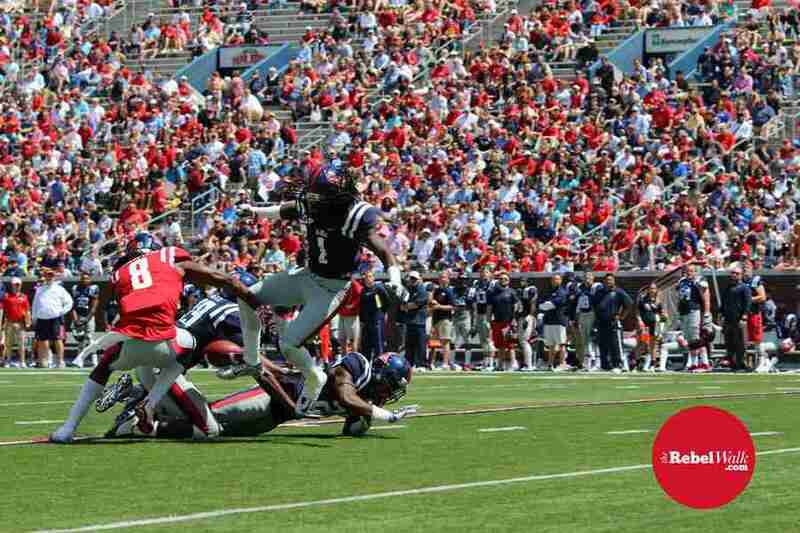 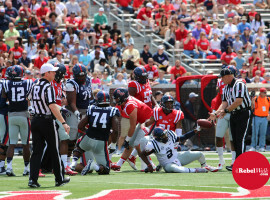 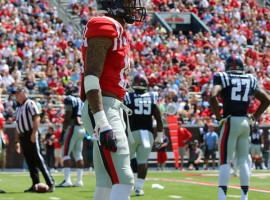 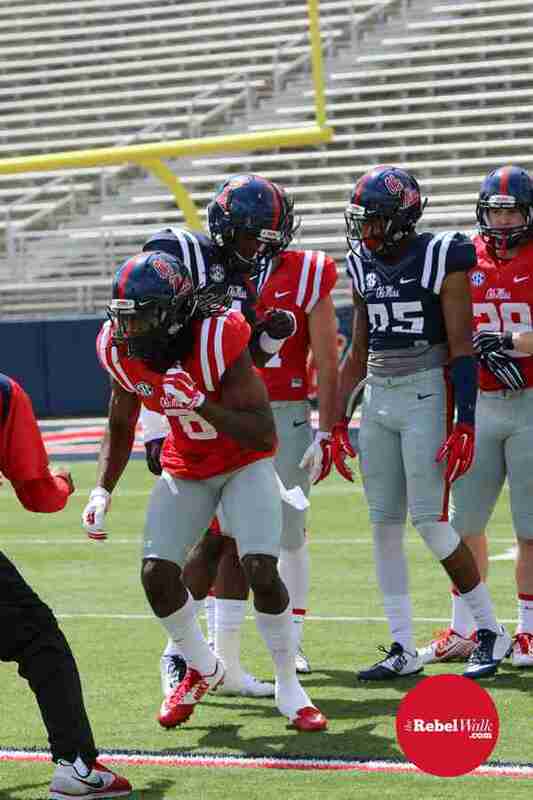 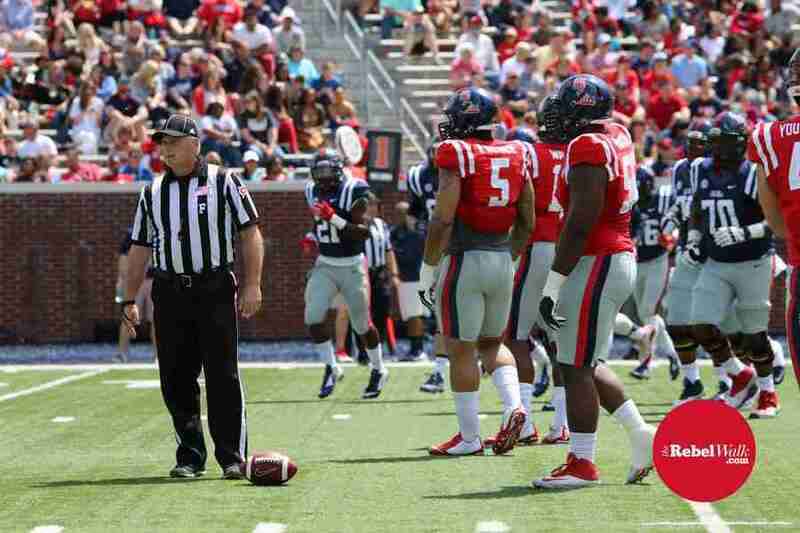 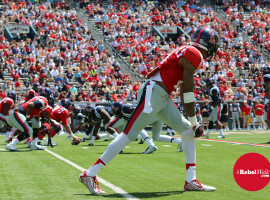 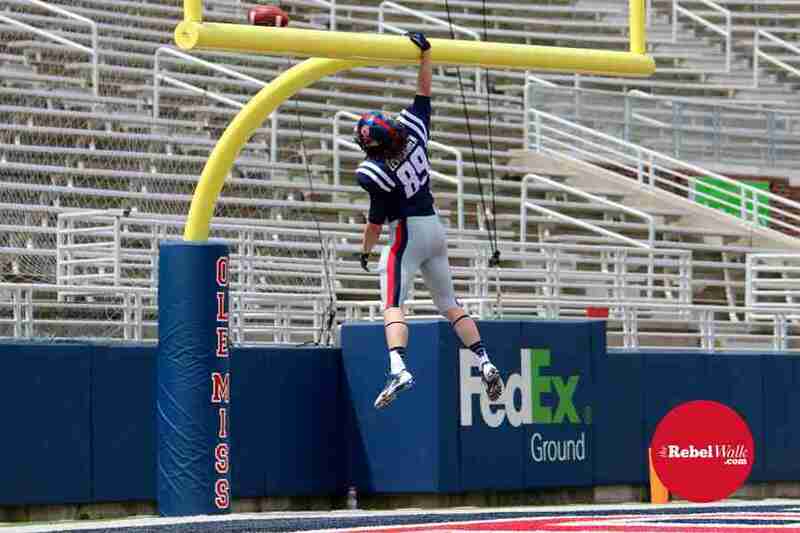 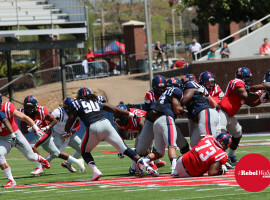 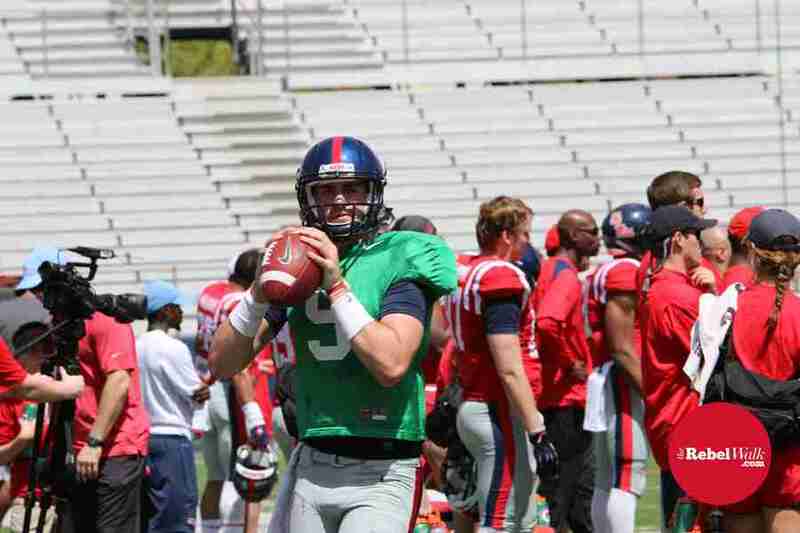 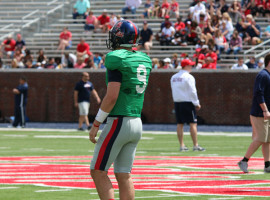 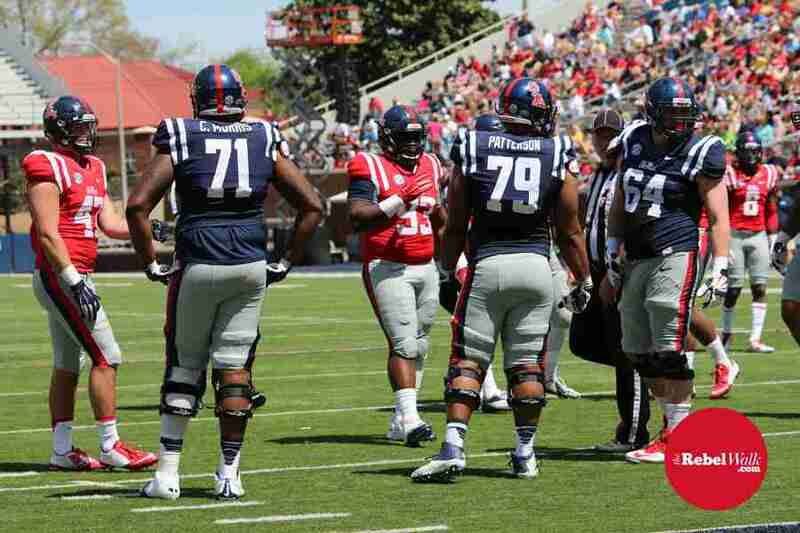 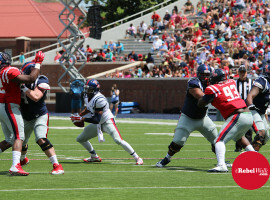 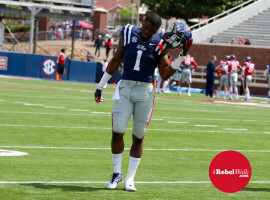 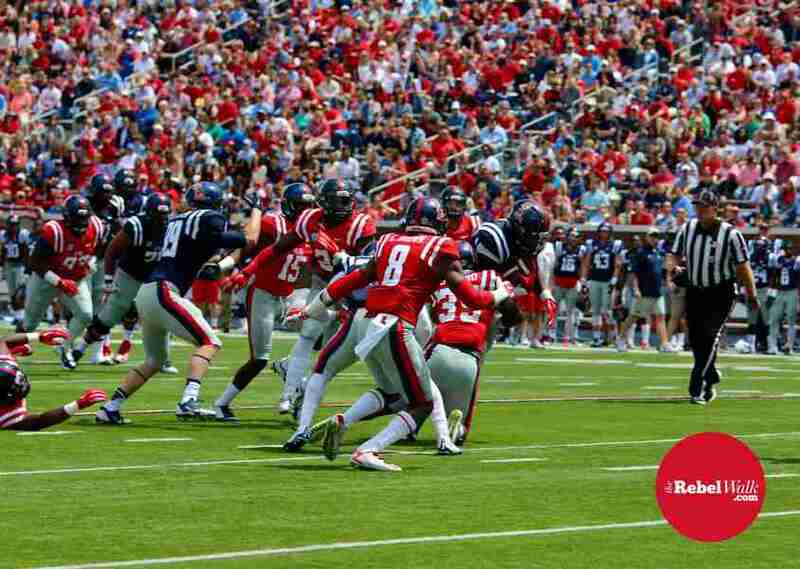 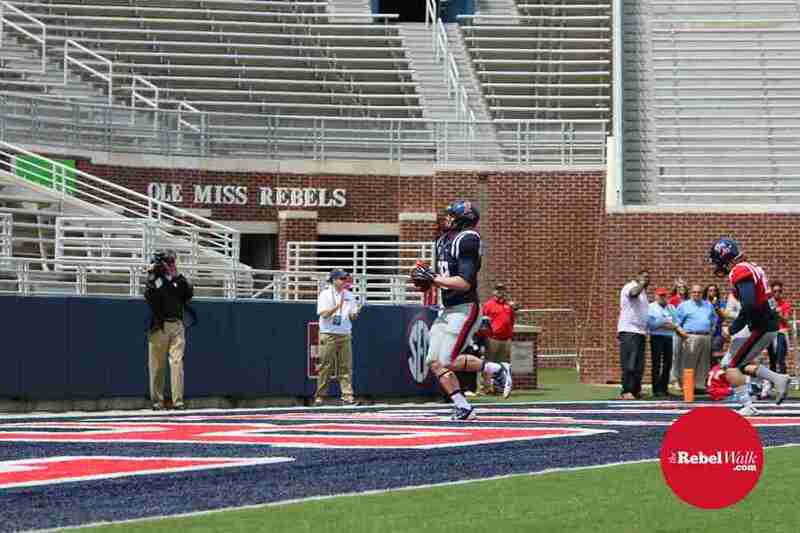 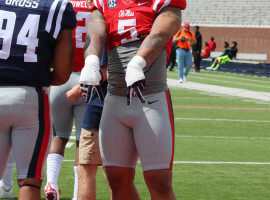 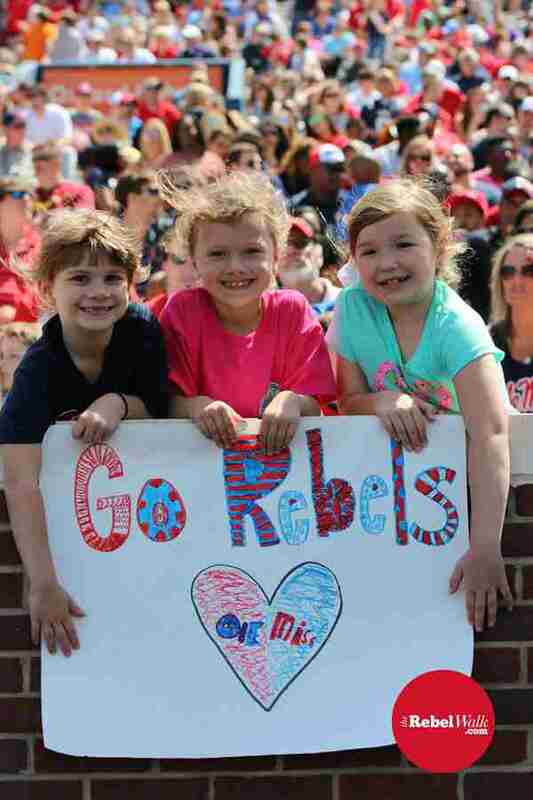 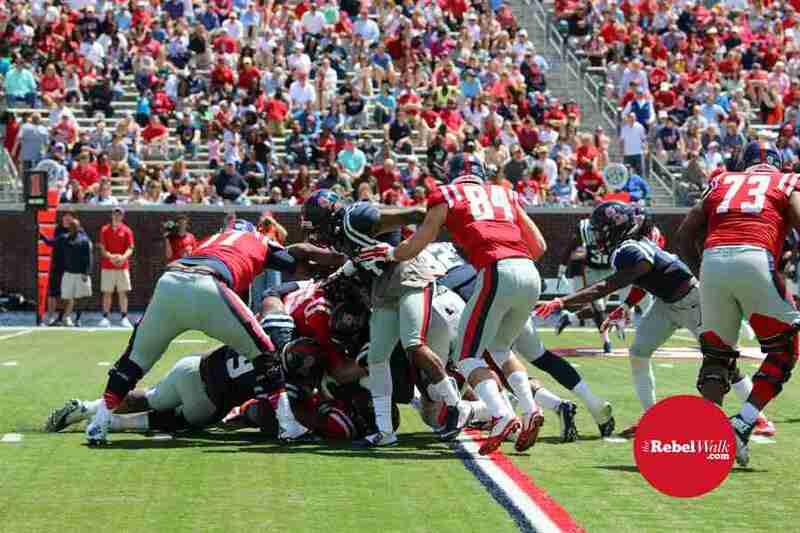 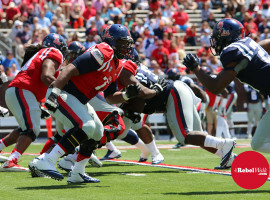 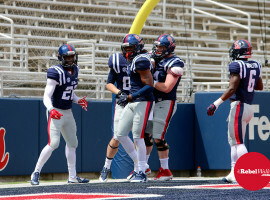 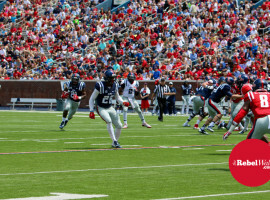 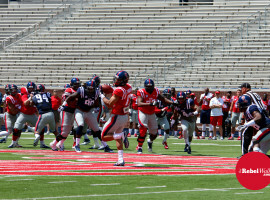 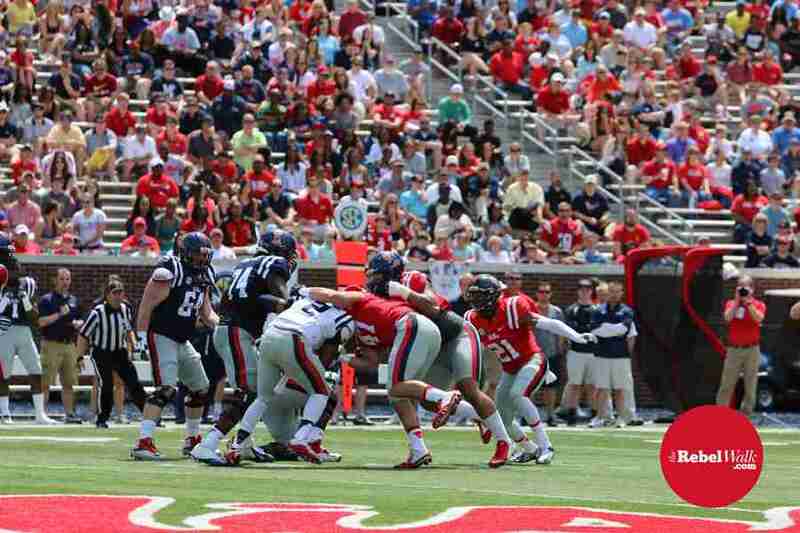 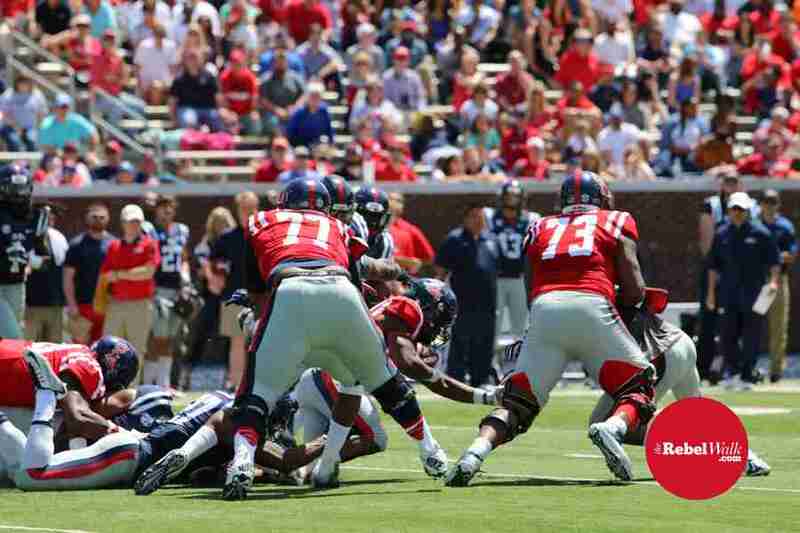 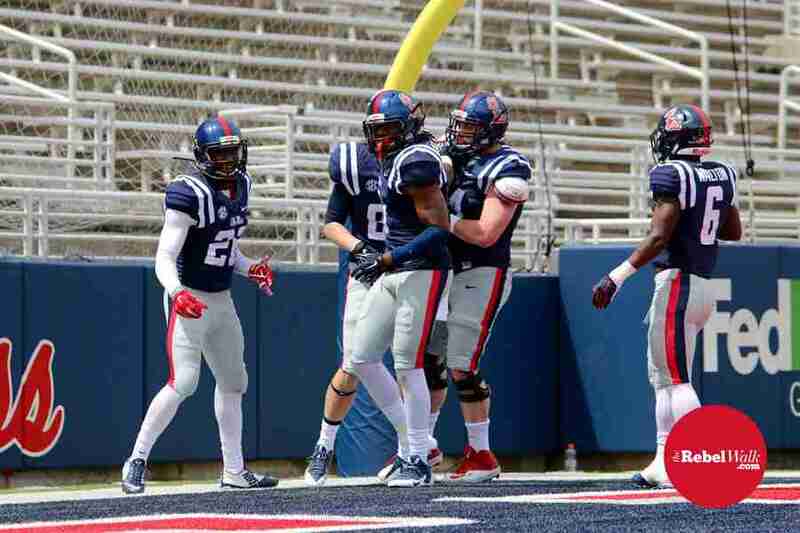 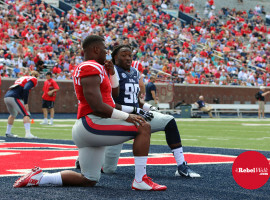 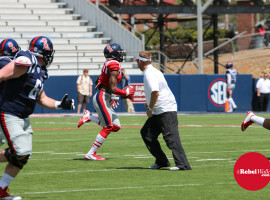 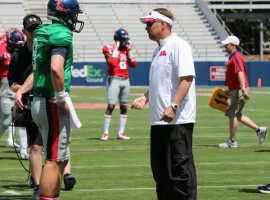 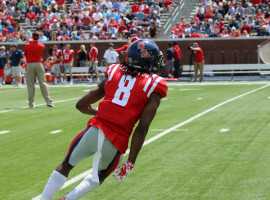 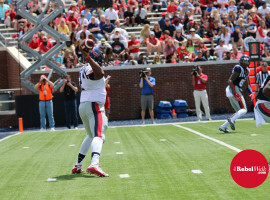 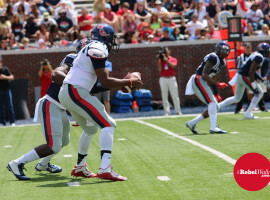 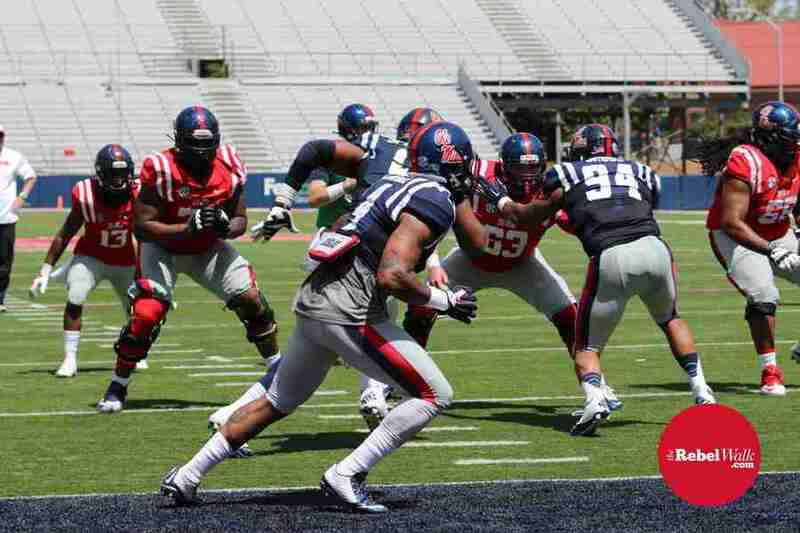 Ole Miss football concluded spring practices with the annual Regions Bank Grove Bowl Saturday, April 11 at Vaught-Hemingway stadium. 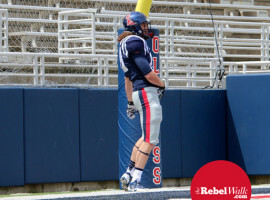 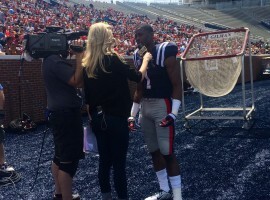 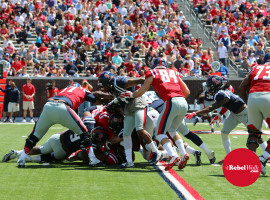 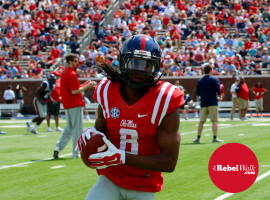 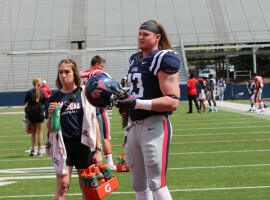 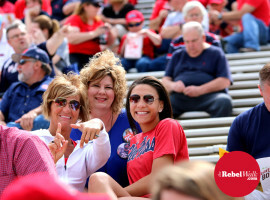 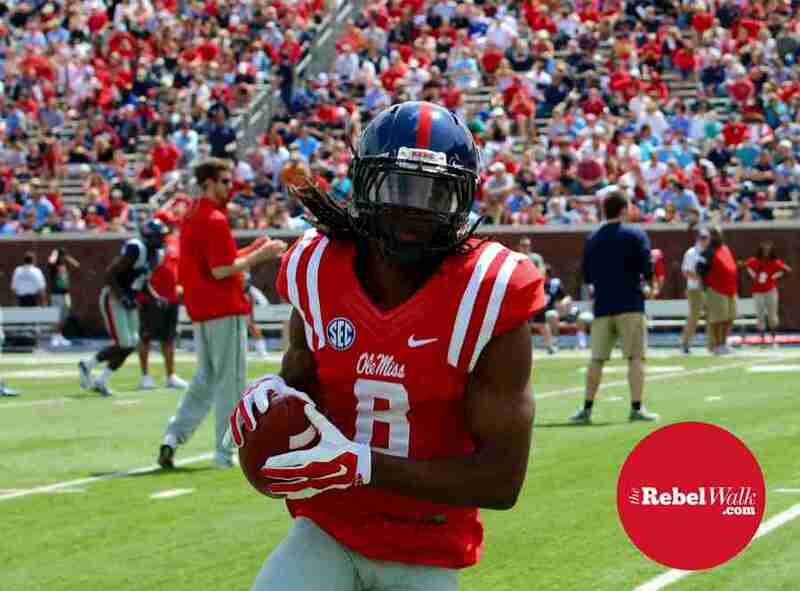 The Rebel Walk’s own Amanda Swain was on hand to capture all the action on the field, while Joel Jackson covered the game from the press box. 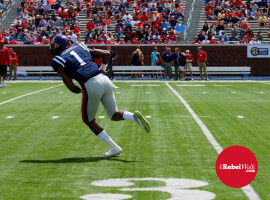 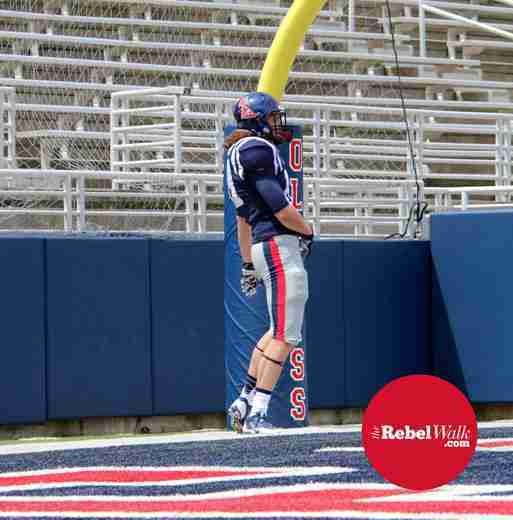 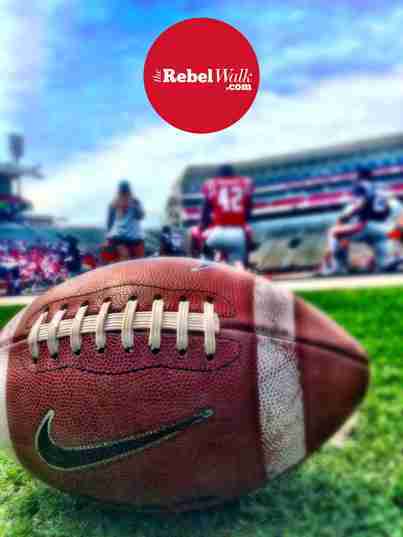 Last season, The Rebel Walk was proud to be the ONLY Ole Miss magazine, outside of the University of Mississippi, itself, that was on hand to photograph EACH and EVERY Ole Miss football game–home AND away. 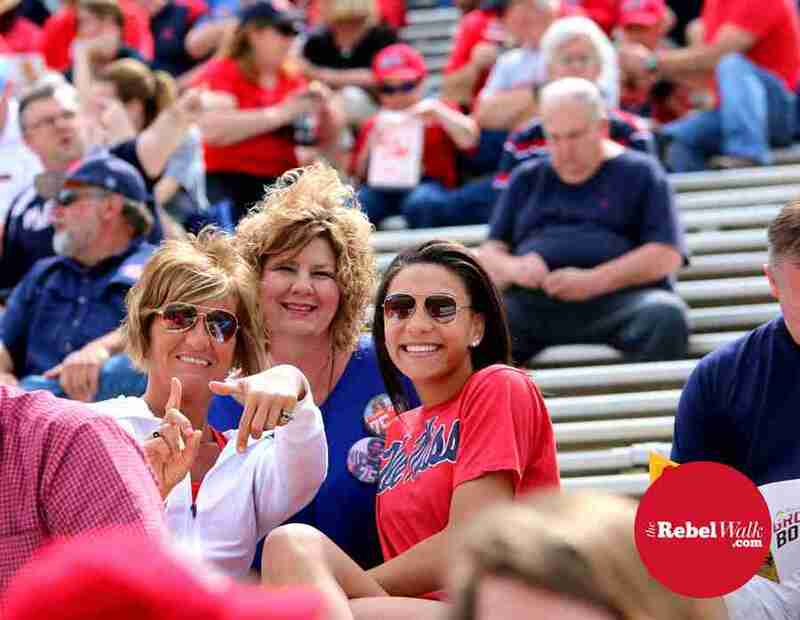 Thank you to our photographer Bentley Breland who was at all Ole Miss home games–and was a road warrior who took photos at Rebel away games including: Boise State, Arkansas, LSU, Vandy, and the Peach Bowl! 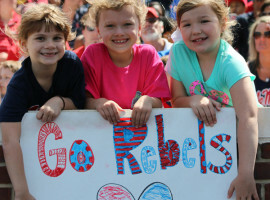 Thank you to Peter Rocha who was our photographer at the A&M game in College Station. 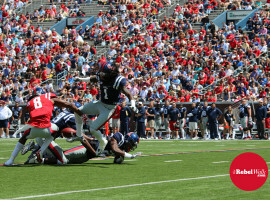 Thank you to Mike Bedgood who joined Bentley at the Egg Bowl and helped capture double the great photos of the win over State! 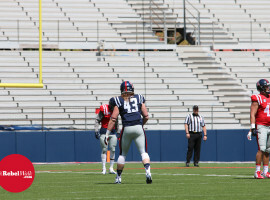 And thank you to Amanda Swain who traveled to Mobile to take pictures of Cody Prewitt and Senquez Golson in the Reese’s Senior Bowl. 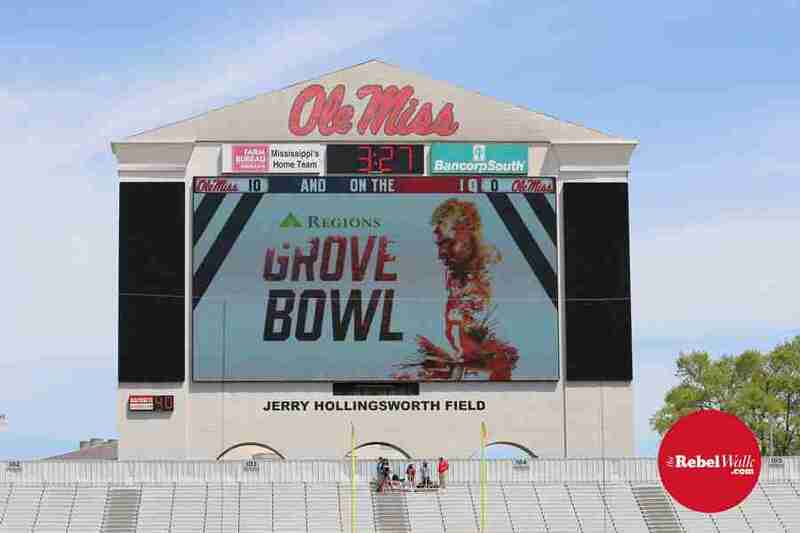 Our Gridiron Gallery for the Grove Bowl is the first installment of what will be many fantastic pictures to come for the 2015 season. 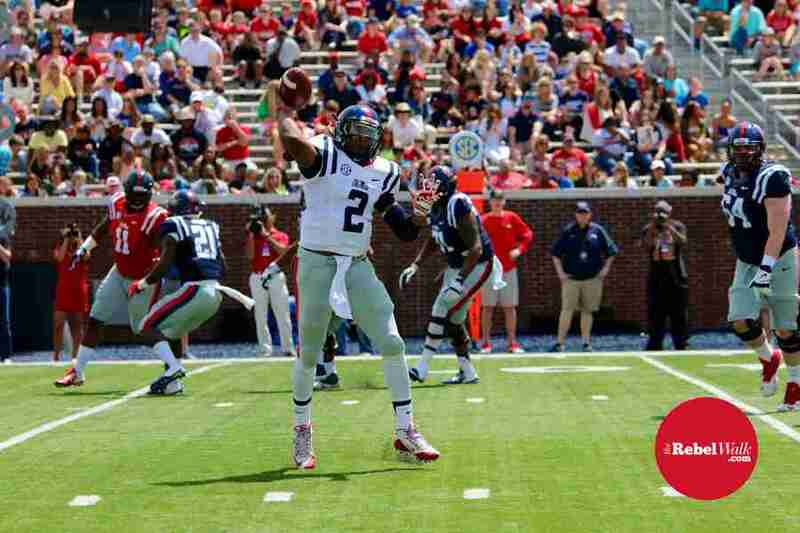 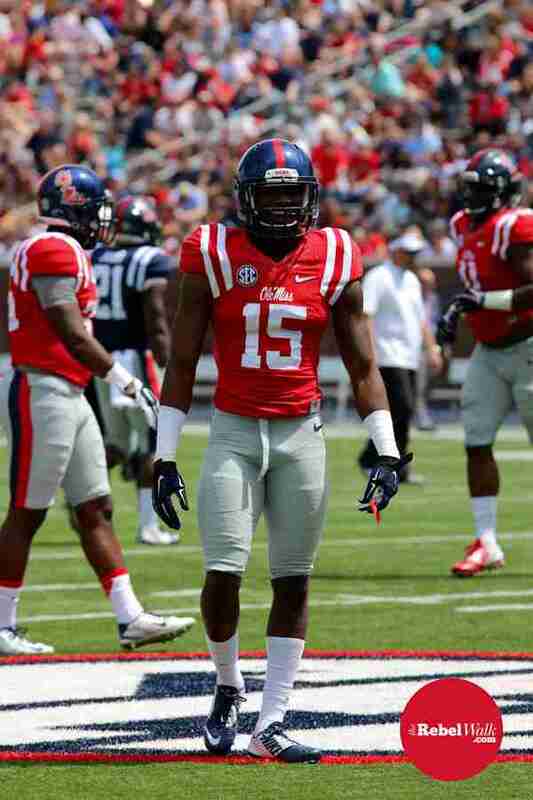 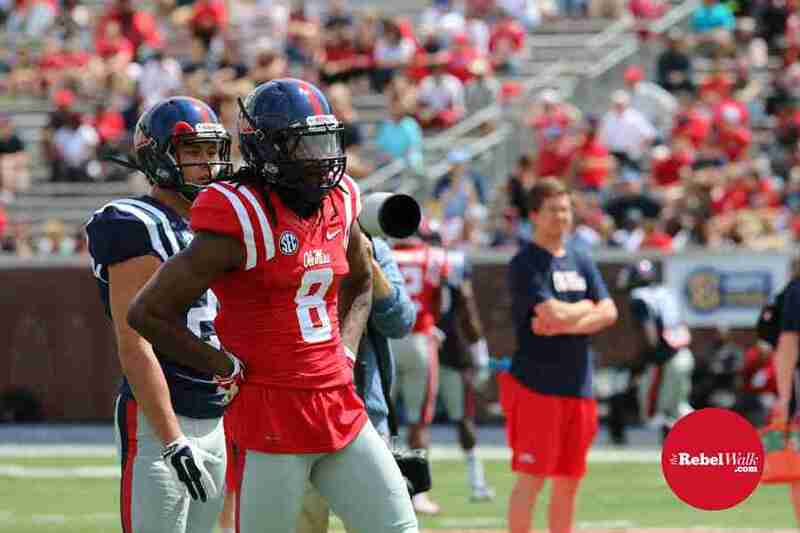 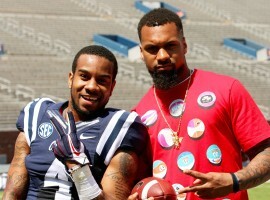 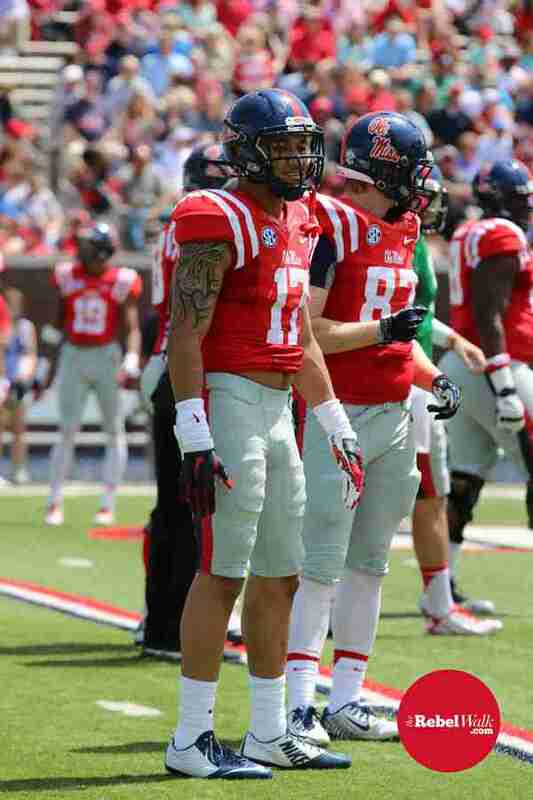 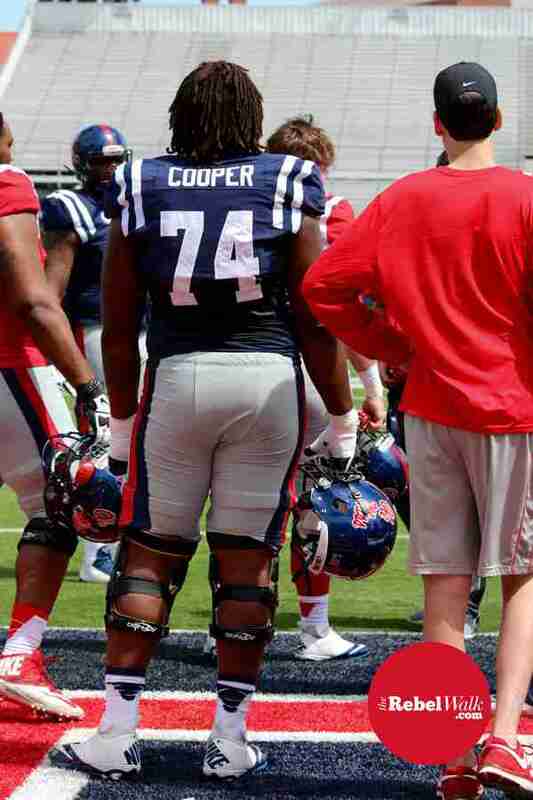 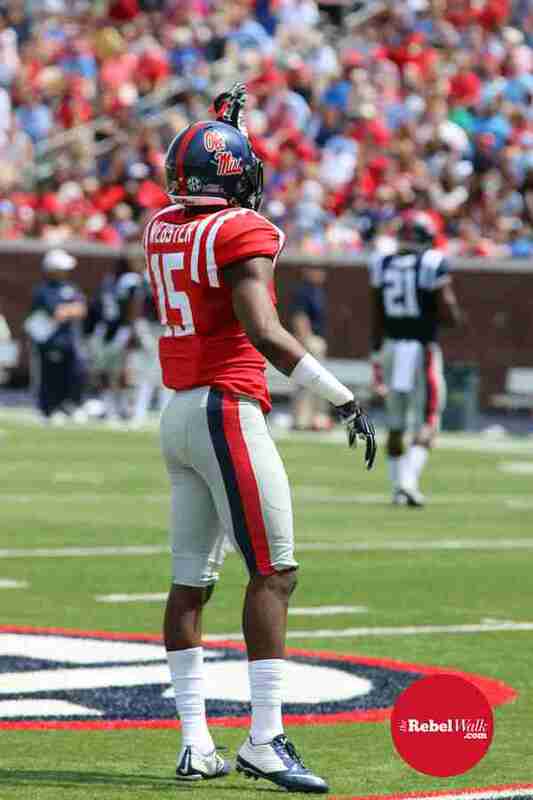 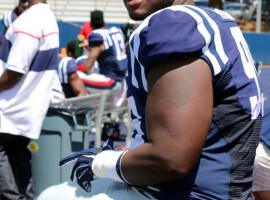 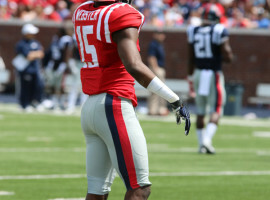 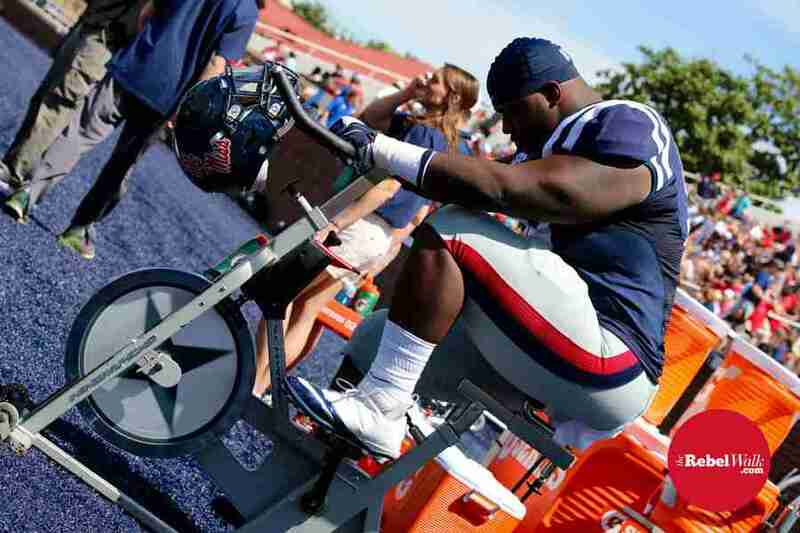 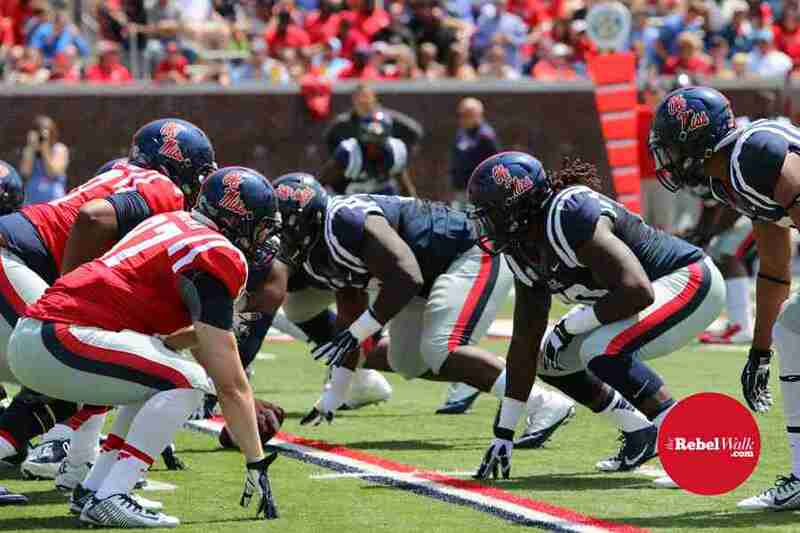 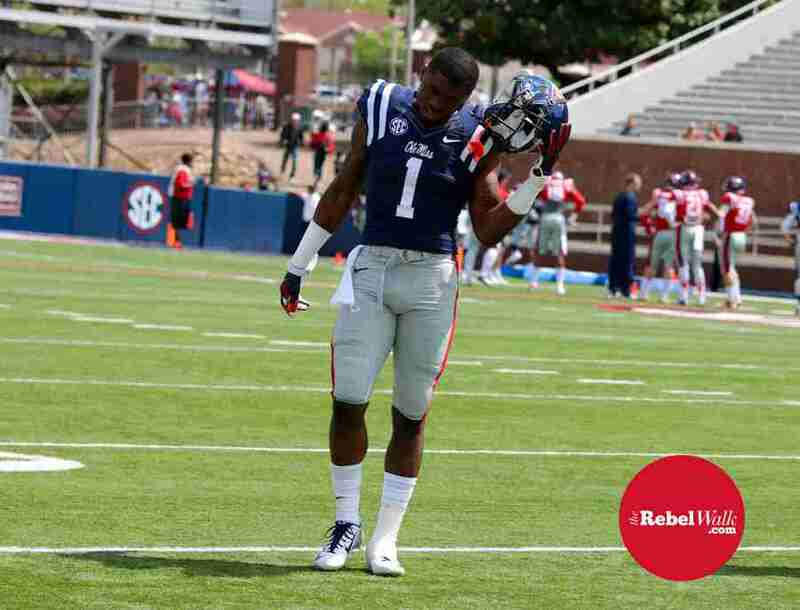 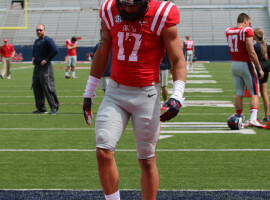 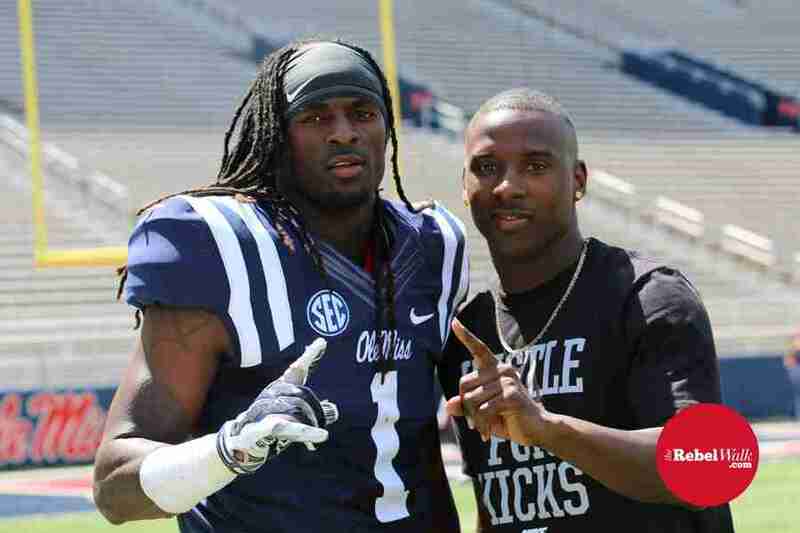 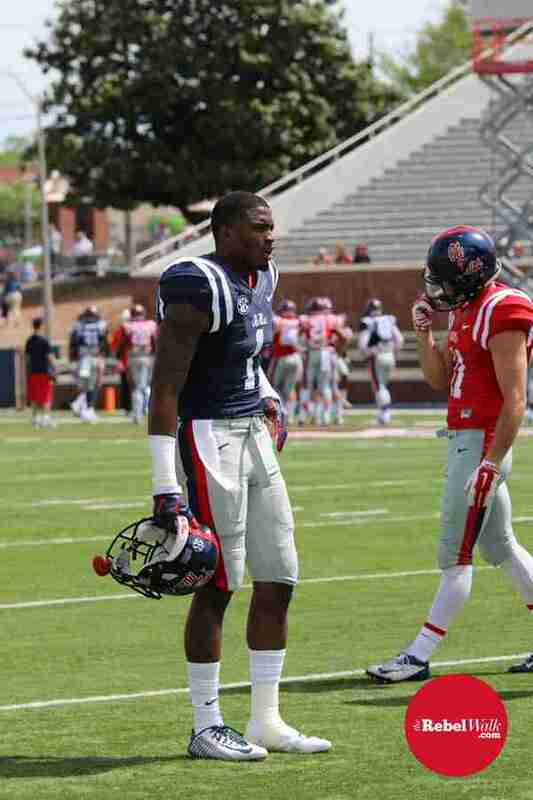 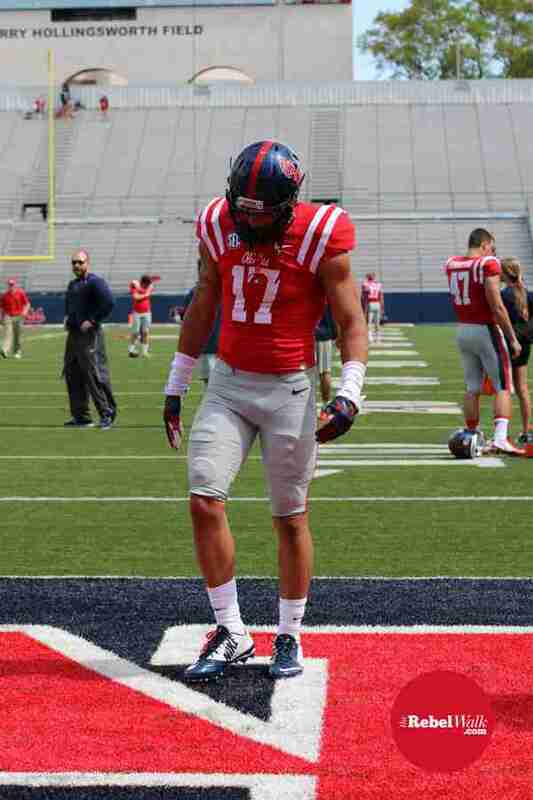 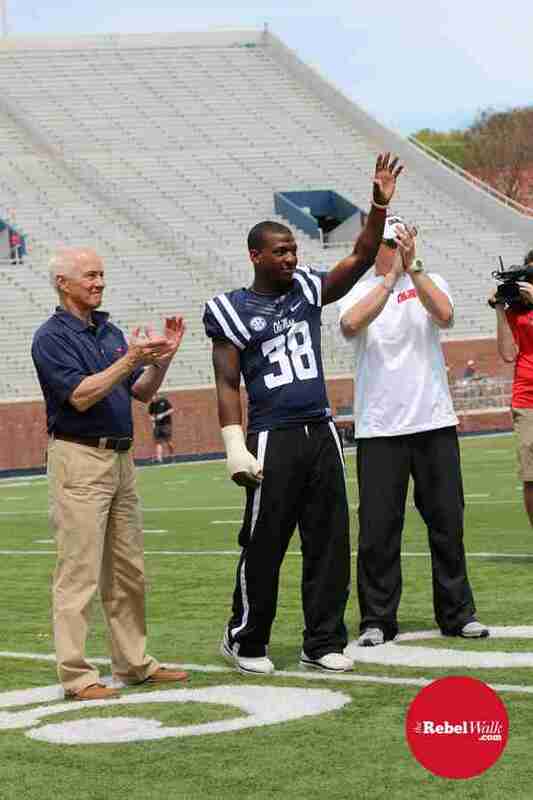 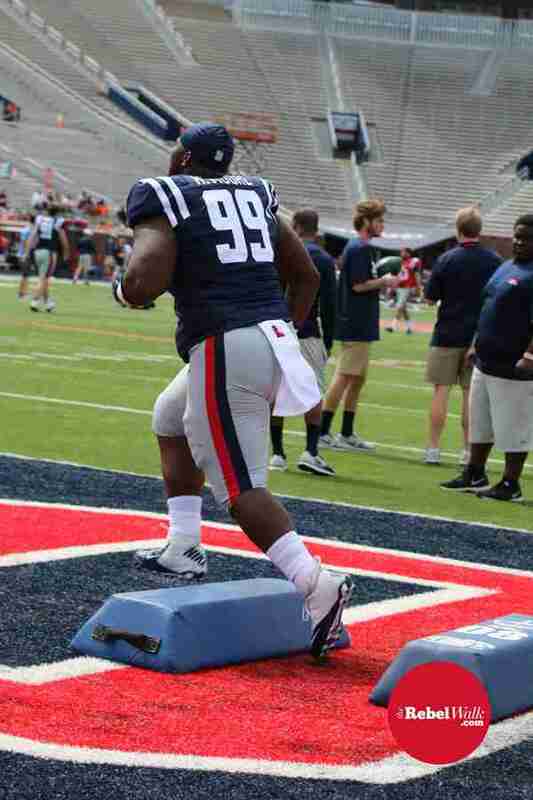 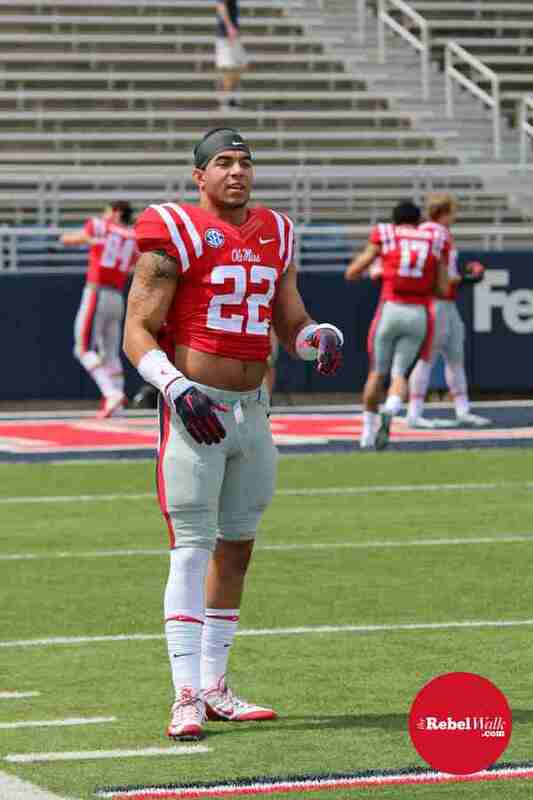 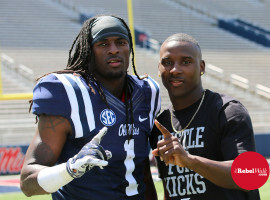 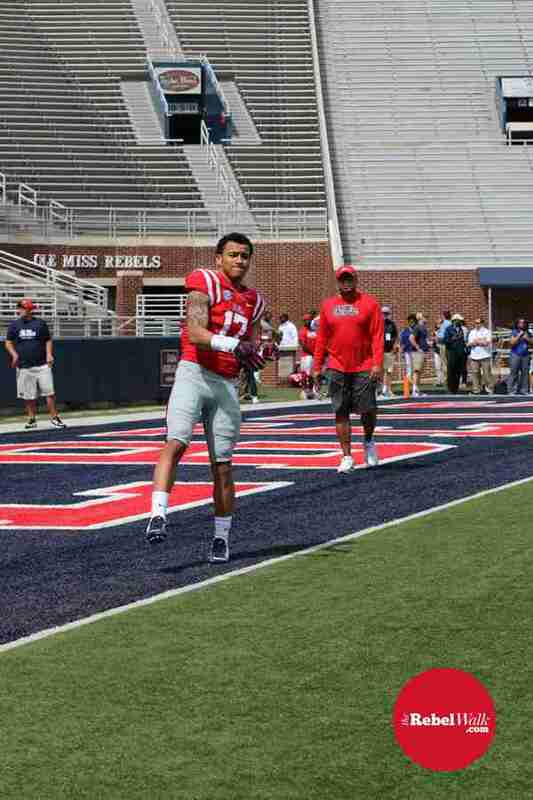 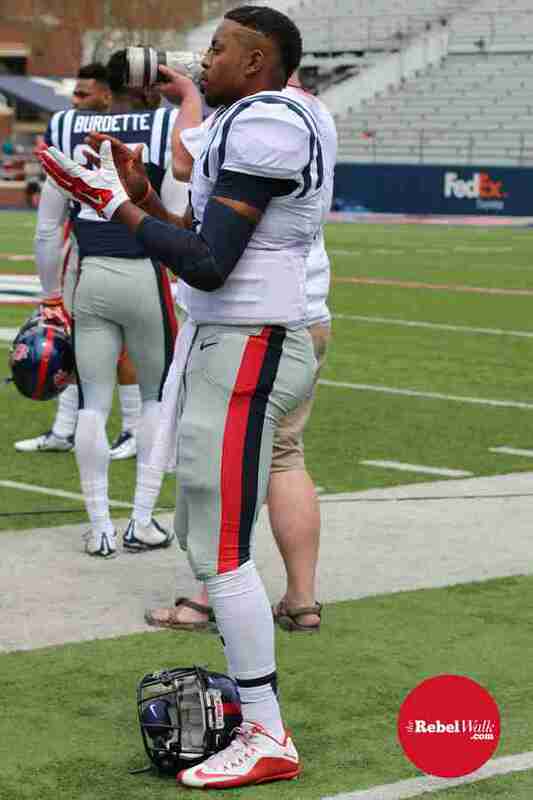 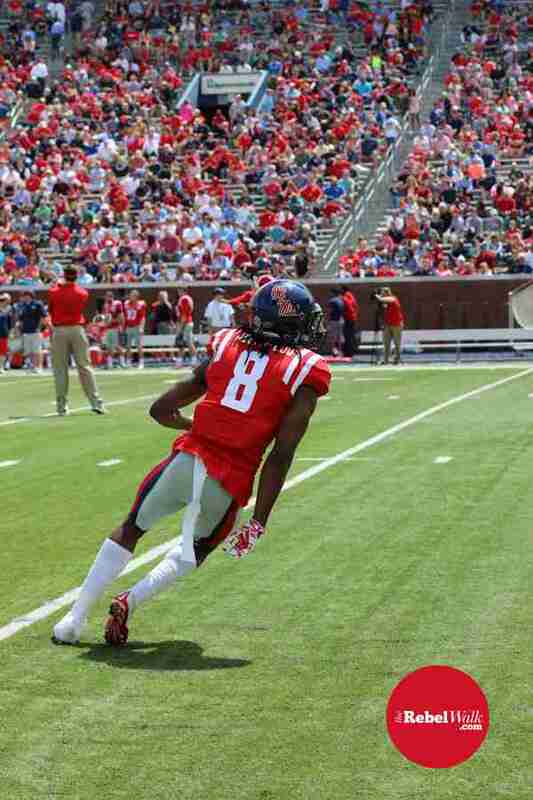 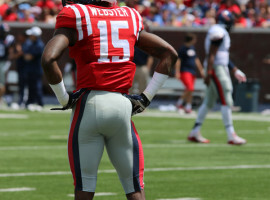 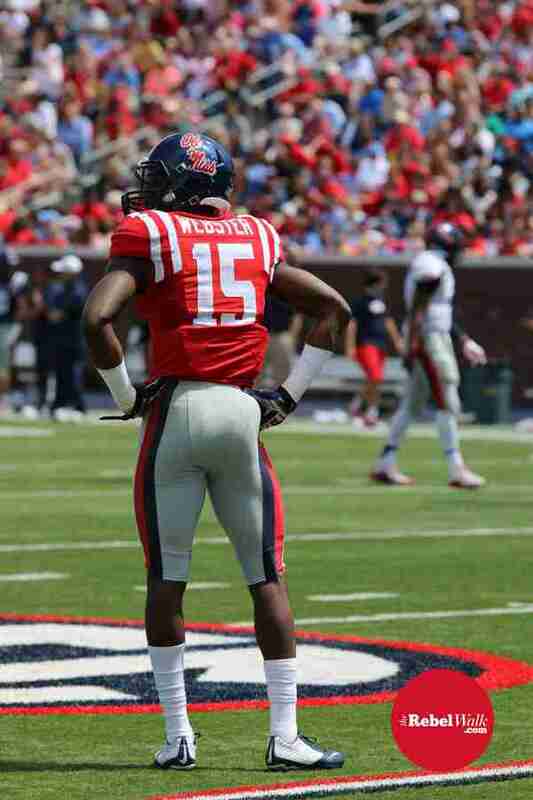 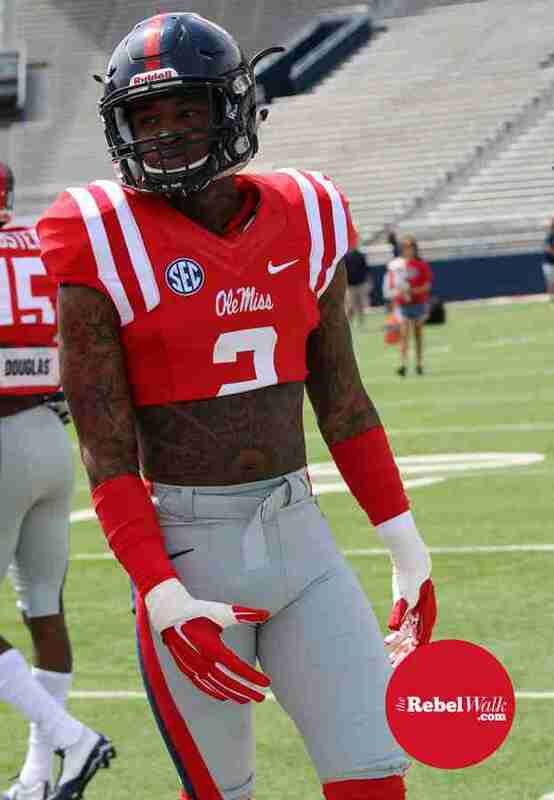 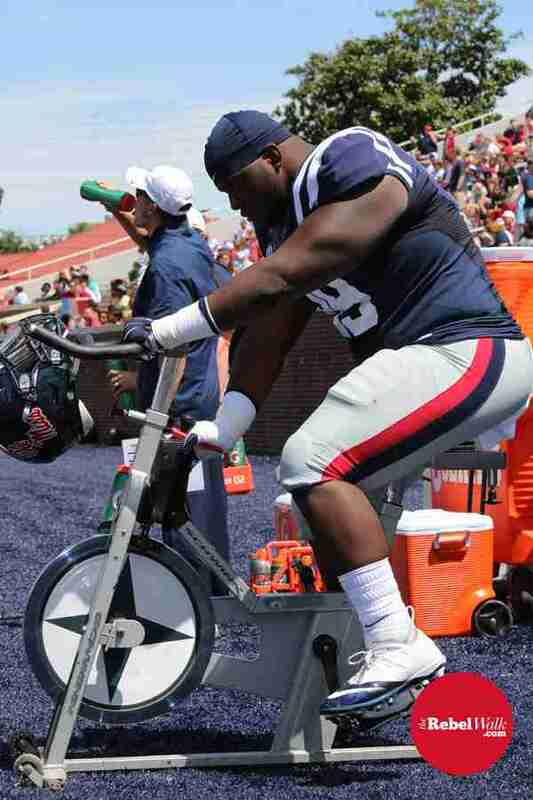 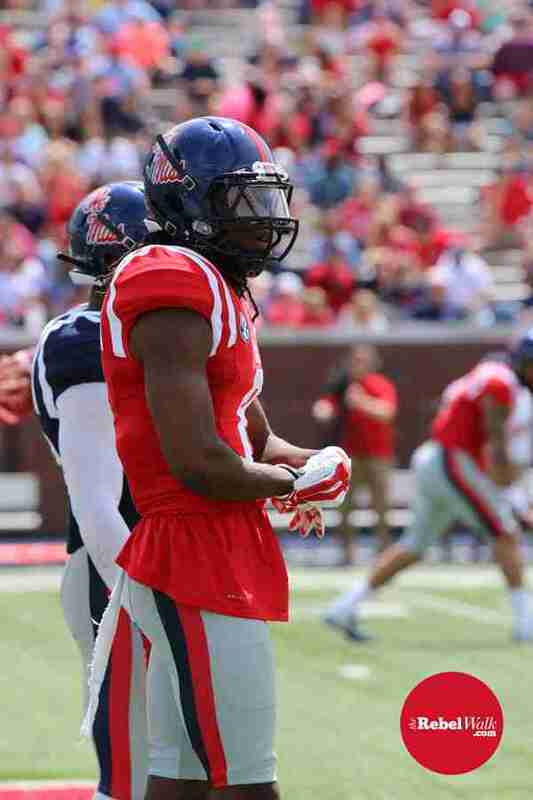 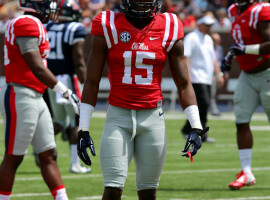 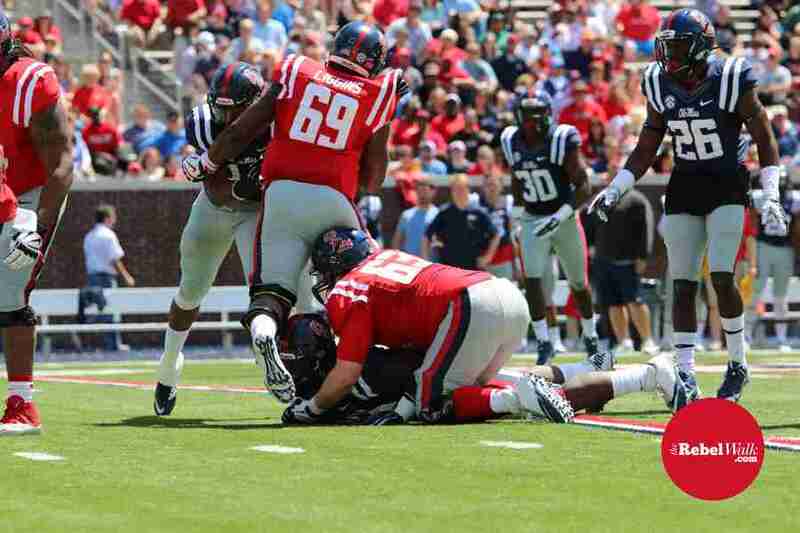 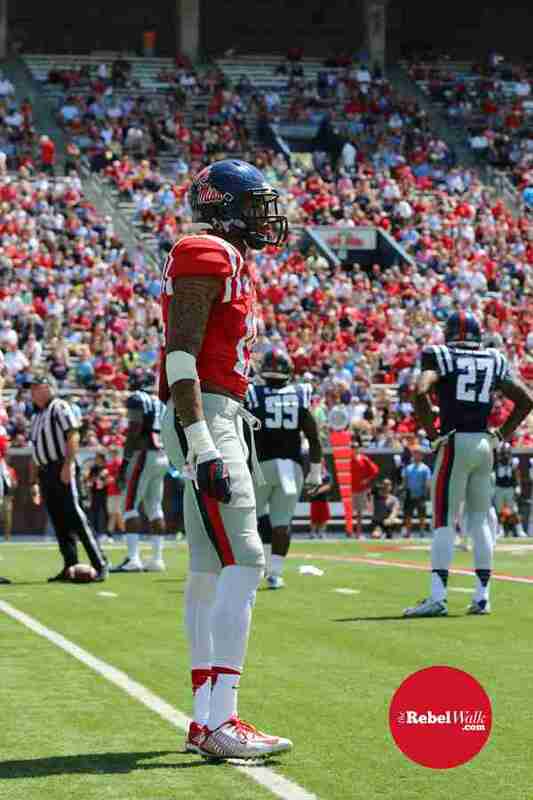 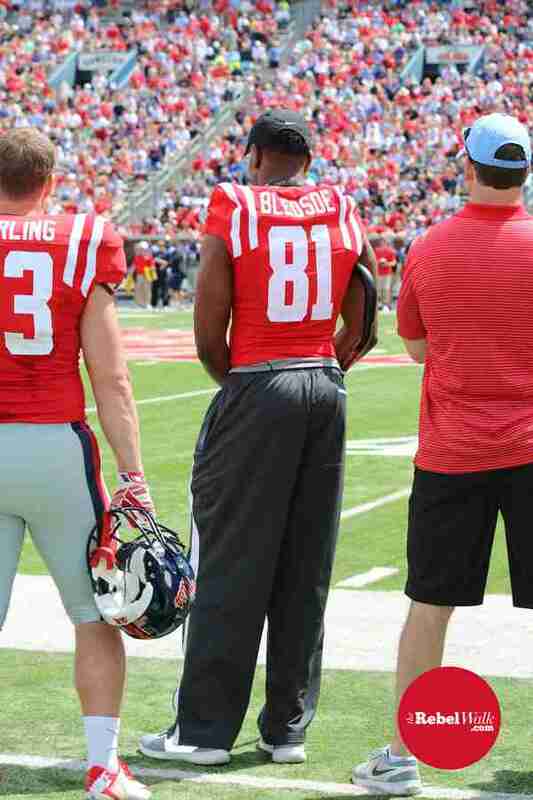 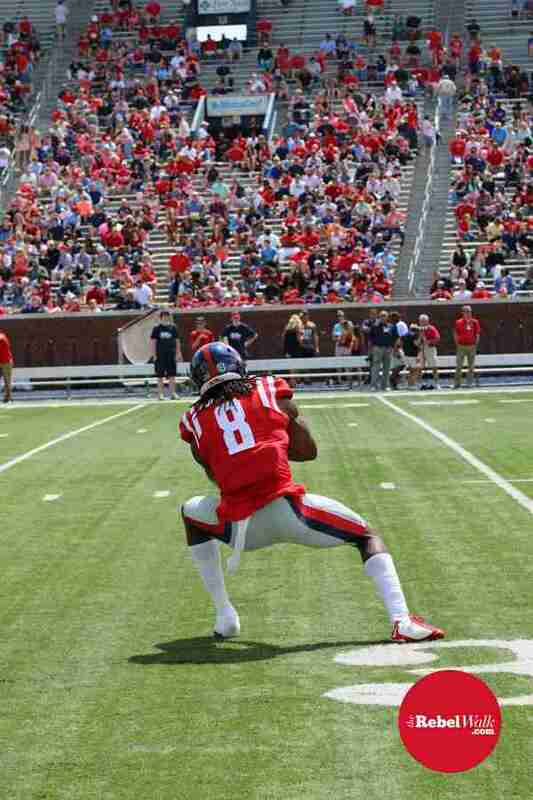 Hotty Toddy! 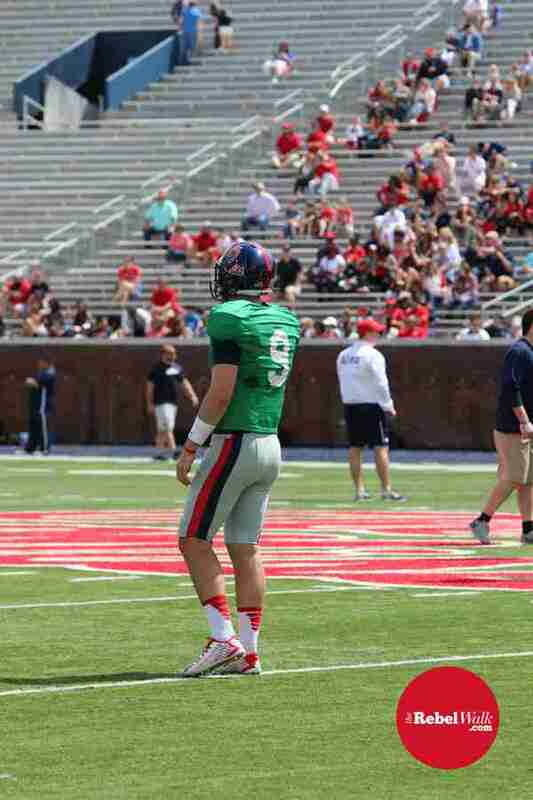 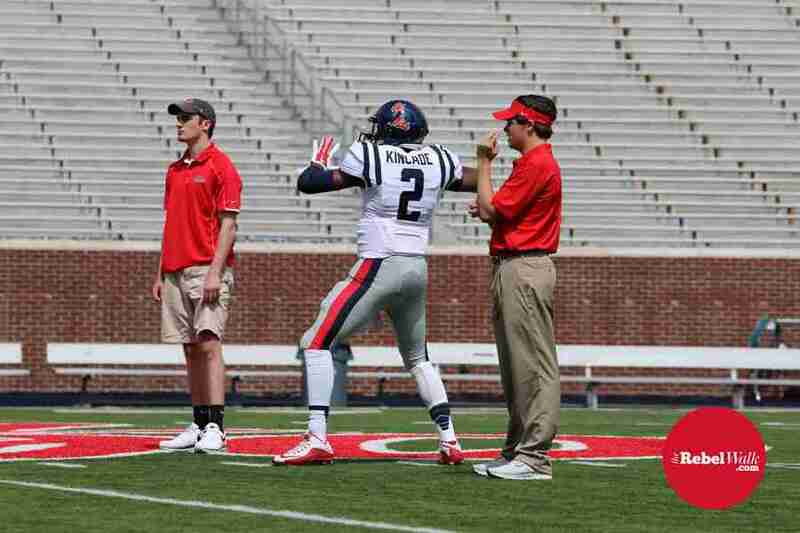 Ryan Buchanan warms up for Red team.